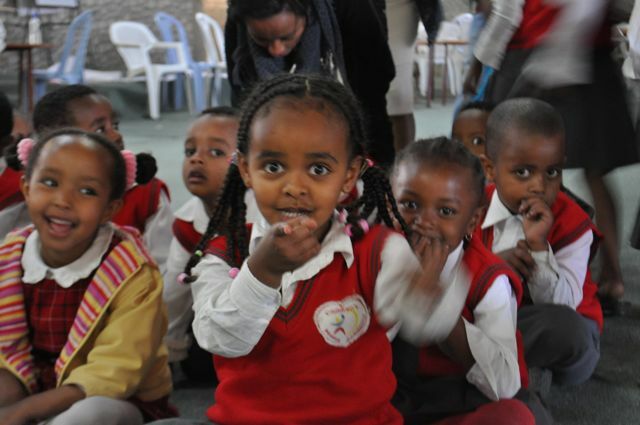 The vision of Thinking Schools Ethiopia is for all Ethiopian children to have an opportunity for access to high quality education led by trained and certified Ethiopian educators that becomes a multi-directional model of education nationally and internationally. 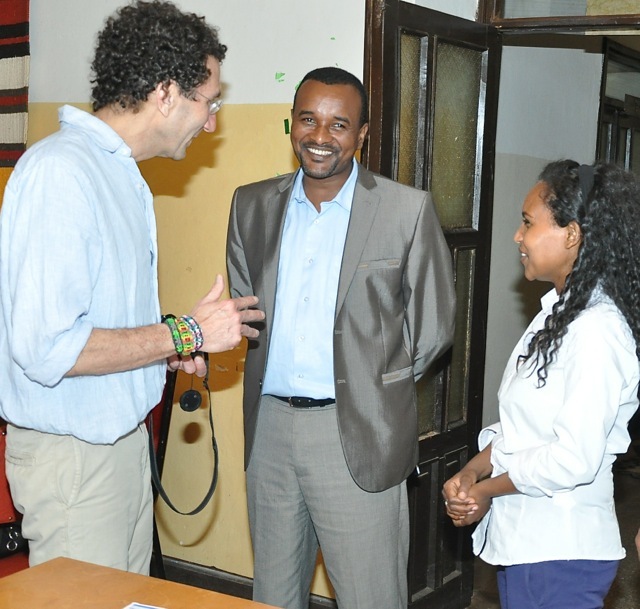 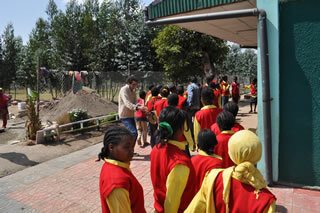 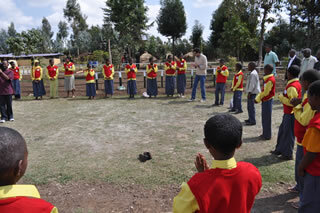 Thinking Schools Ethiopia was started with a grass roots beginnings by Robert Seth Price in 2009 initially in collaboration with Children’s Home Society and Family Services, which evolved to Eminence Social Enterprises. 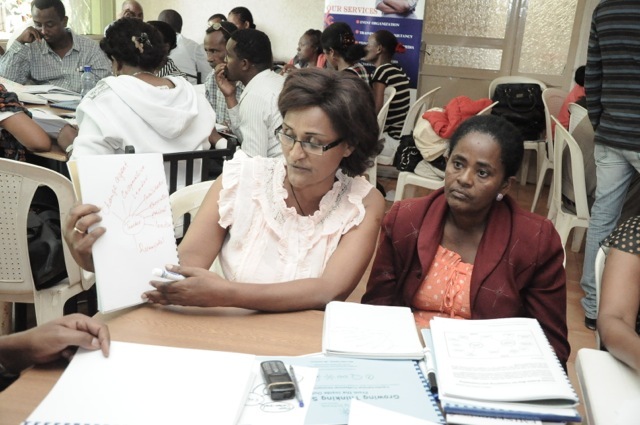 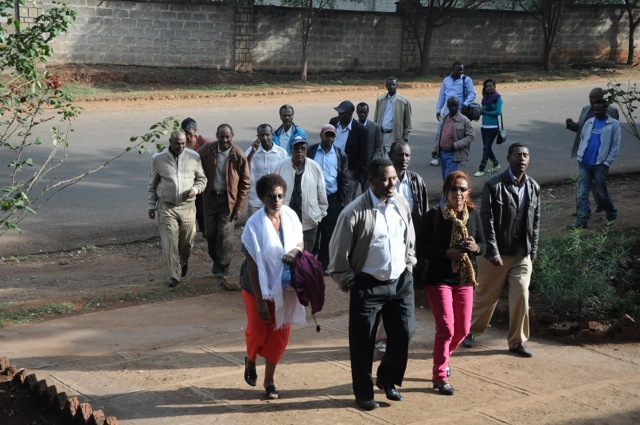 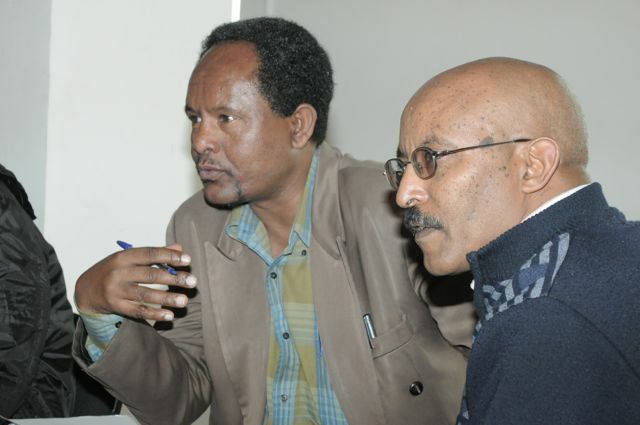 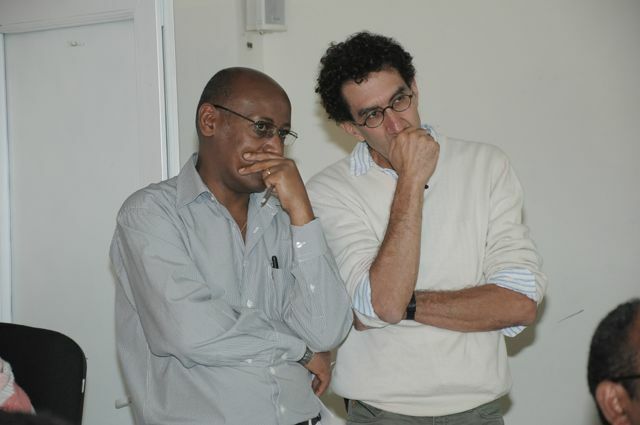 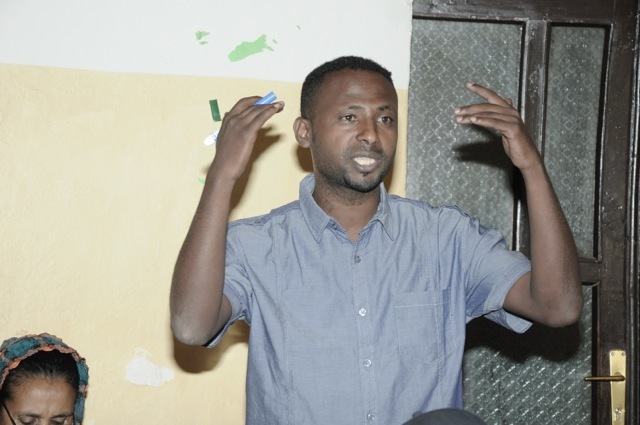 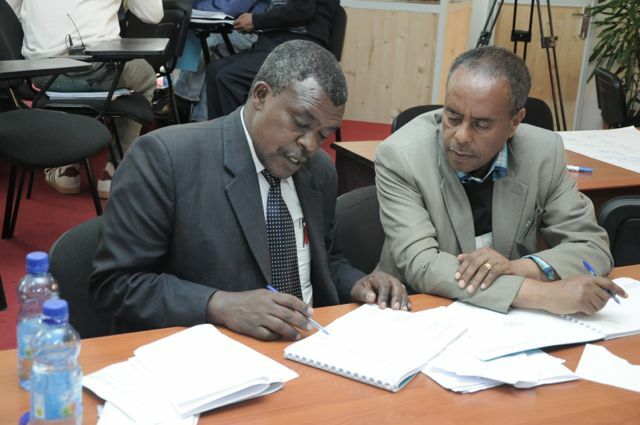 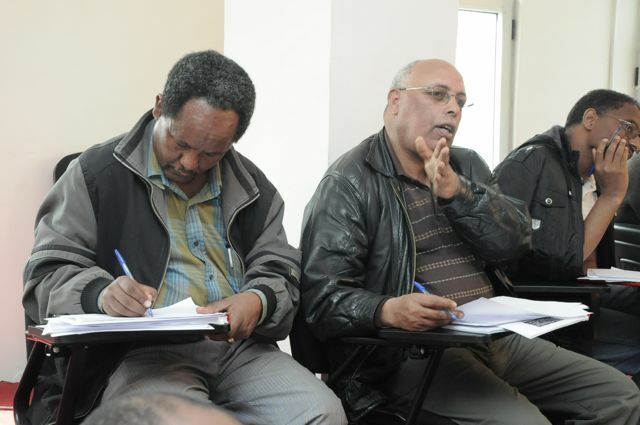 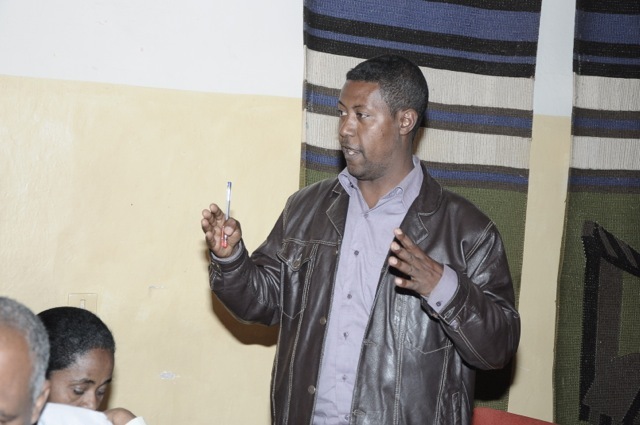 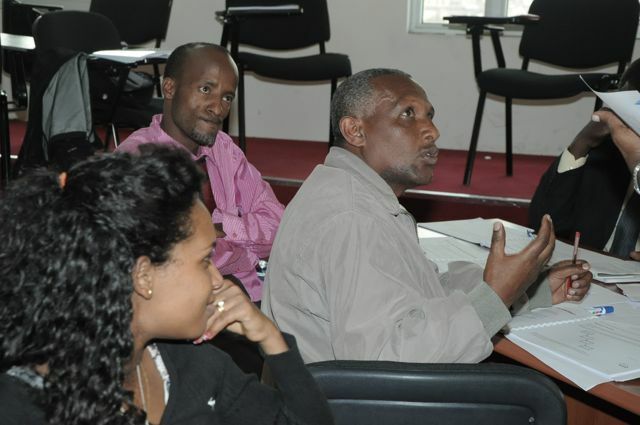 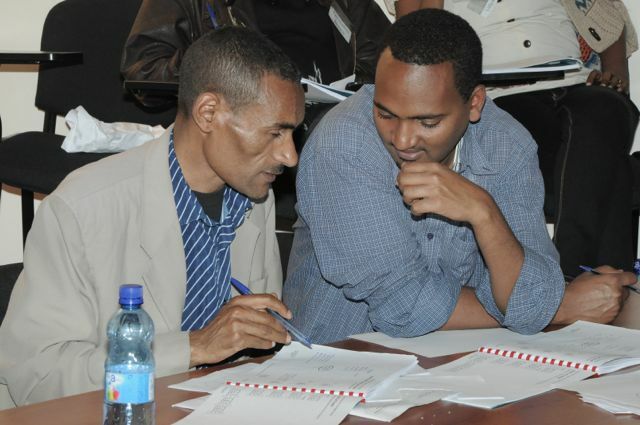 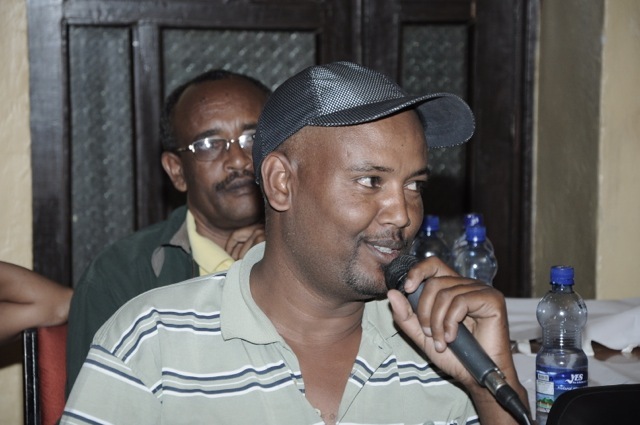 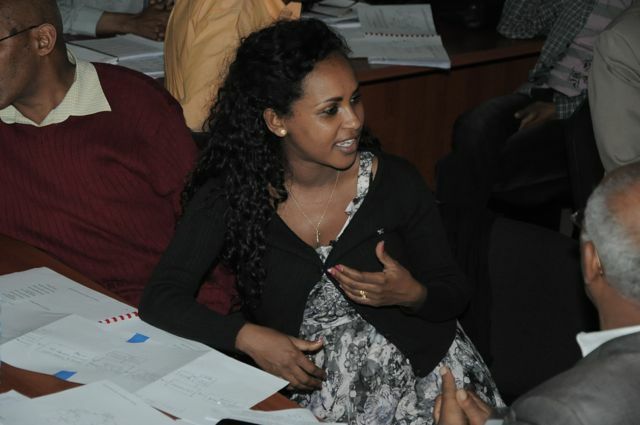 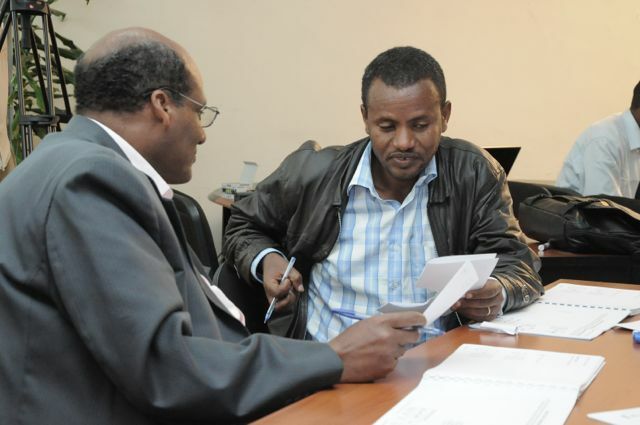 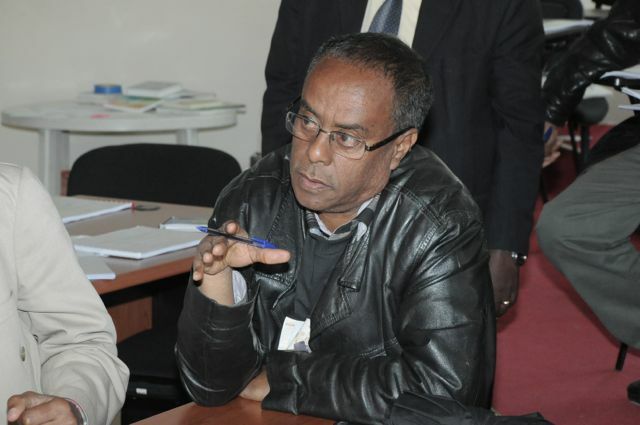 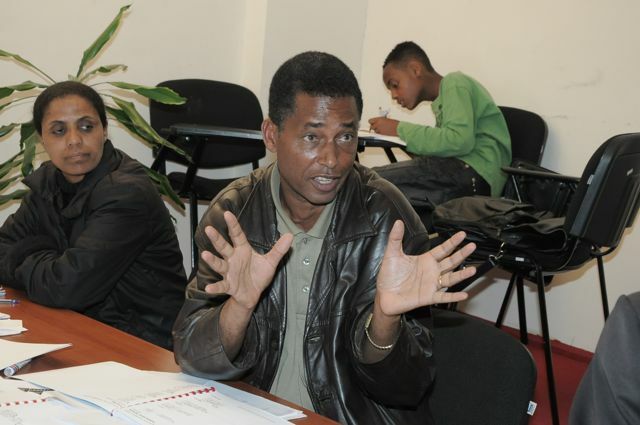 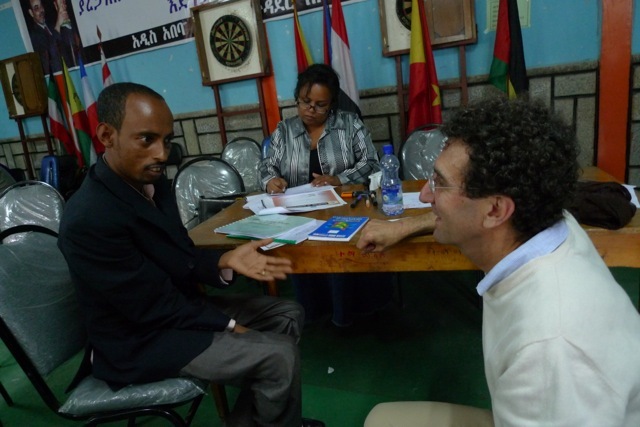 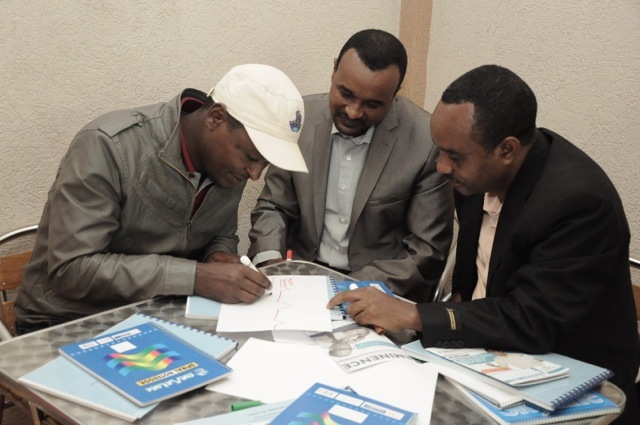 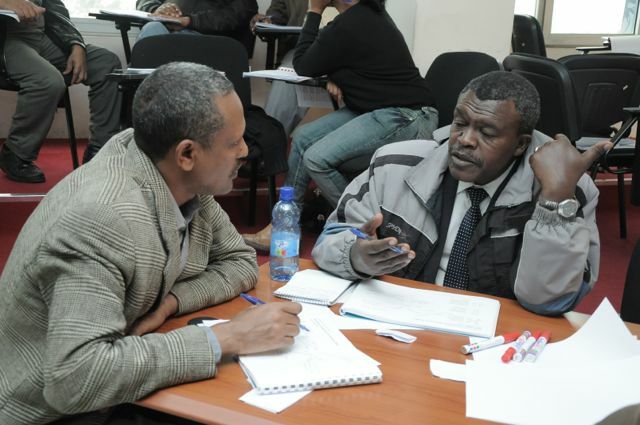 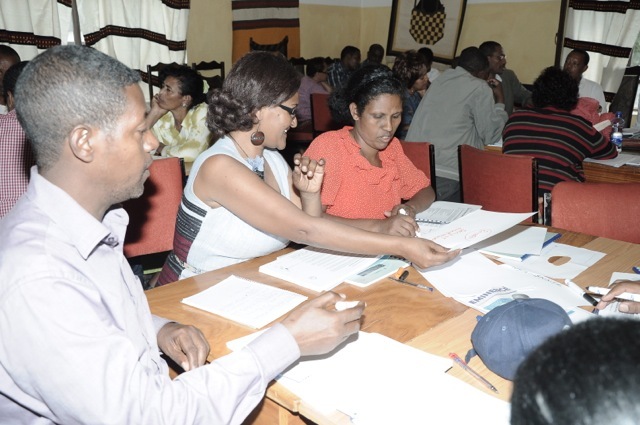 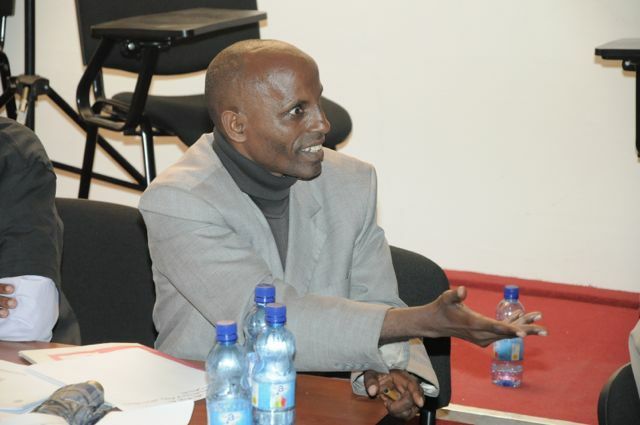 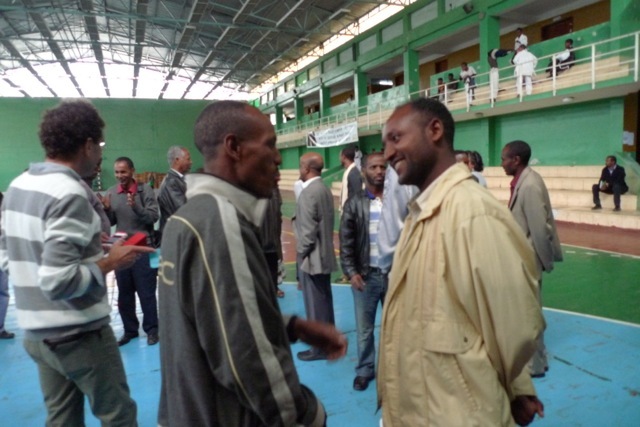 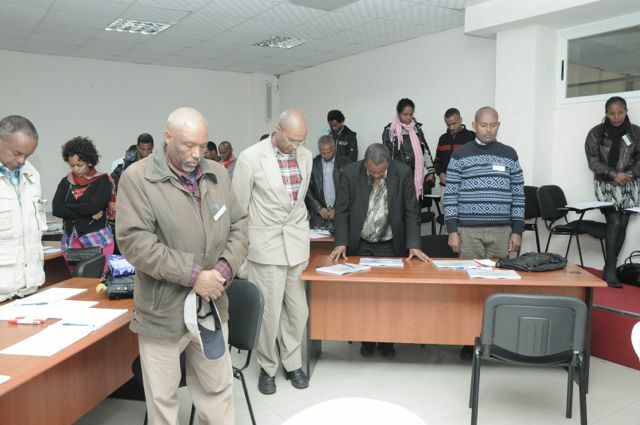 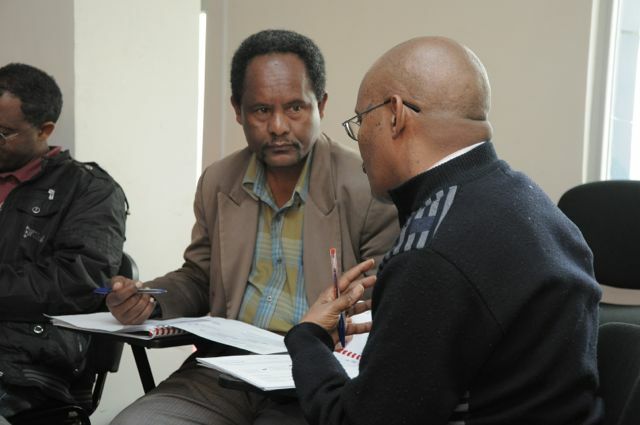 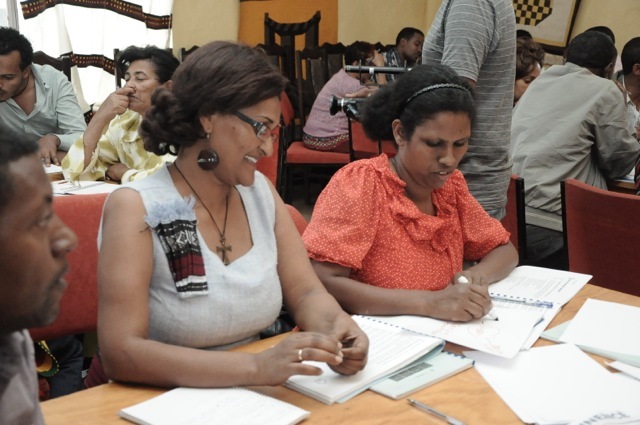 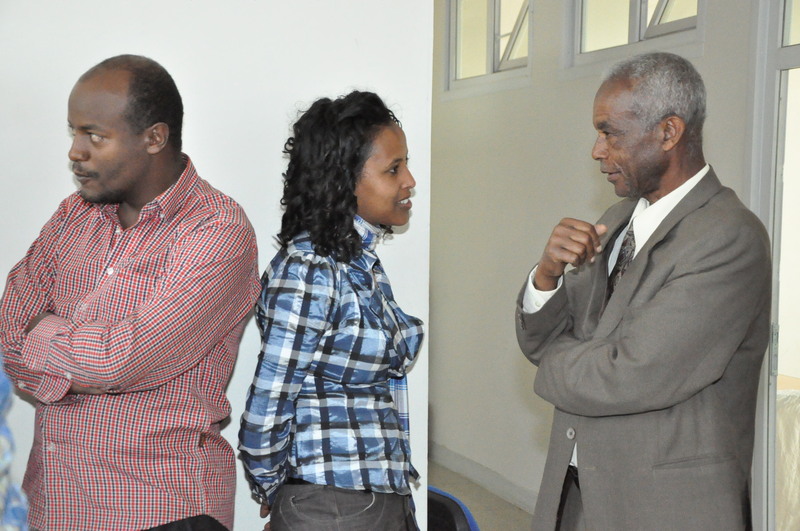 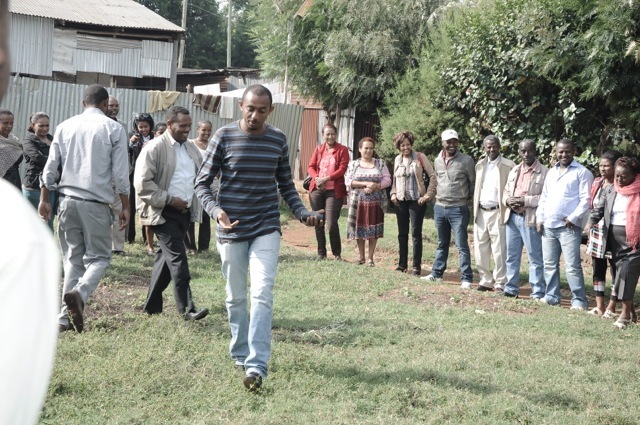 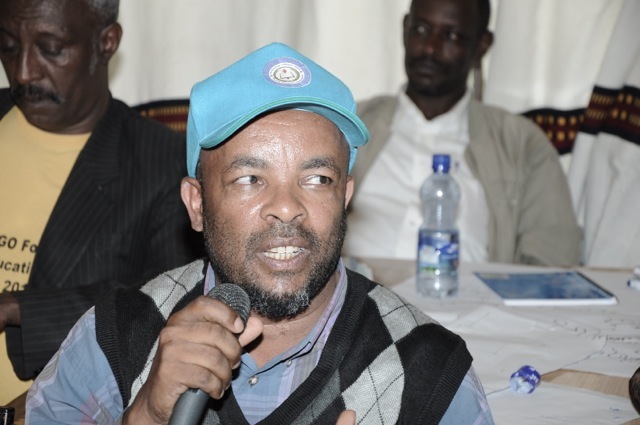 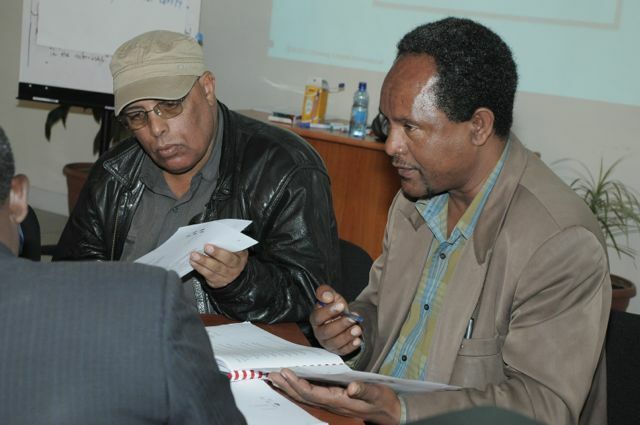 Two teachers at the first training, Atsede Teshayou and Dagim Melese, are now the co-country lead trainers for Thinking Schools Ethiopia (TSE). 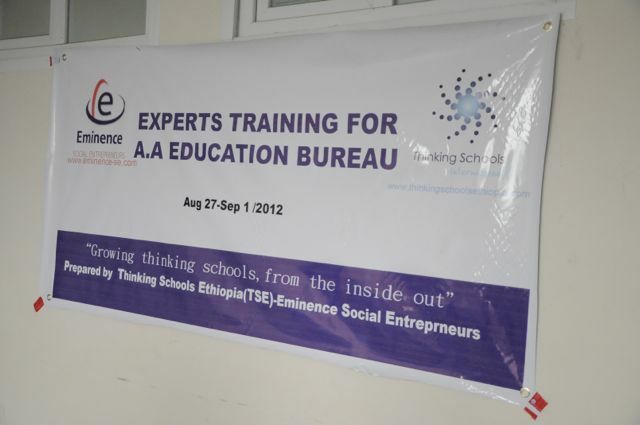 TSE is currently a collaboration between Thinking Schools Ethiopia and Thinking Foundation.. TSE is for teachers, whole schools, educational bodies and countries who want to develop 21st Century learning and thinking environments using thinking skills with proven impact across the globe. 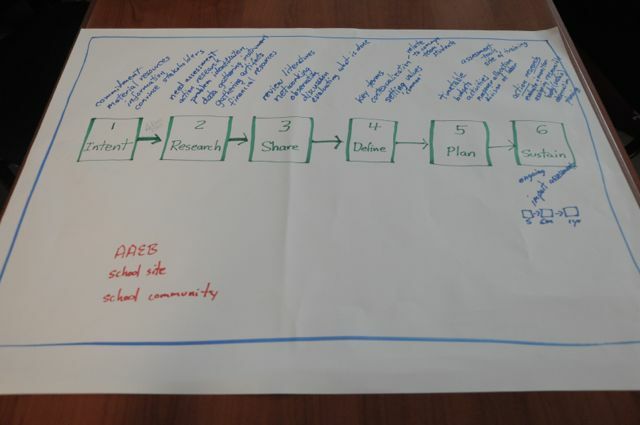 Adopting different pathways for thinking, this is a unique, sustainable, whole school approach to learning with student centred thinking at its heart. 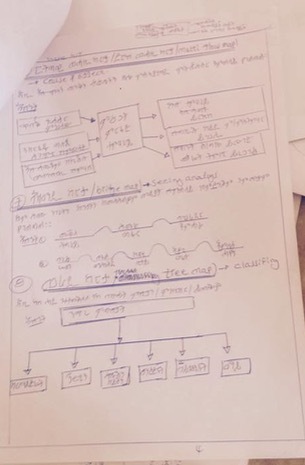 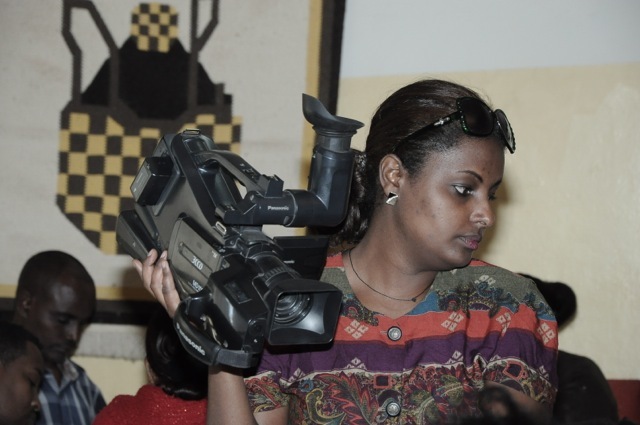 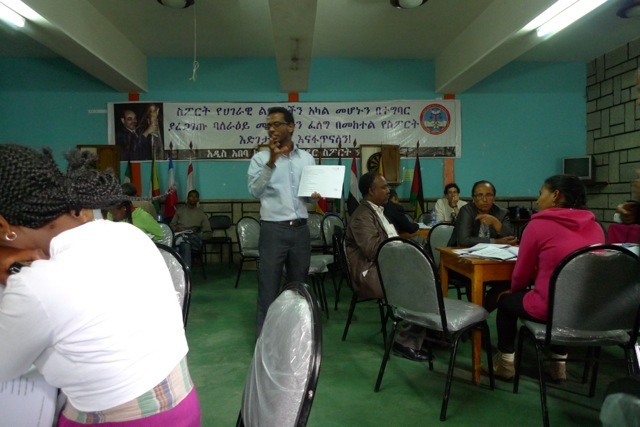 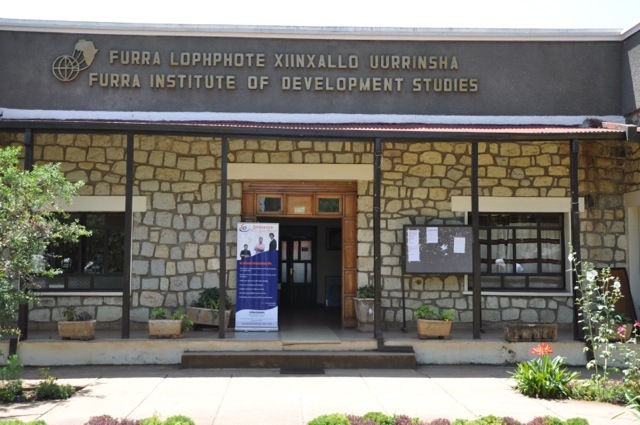 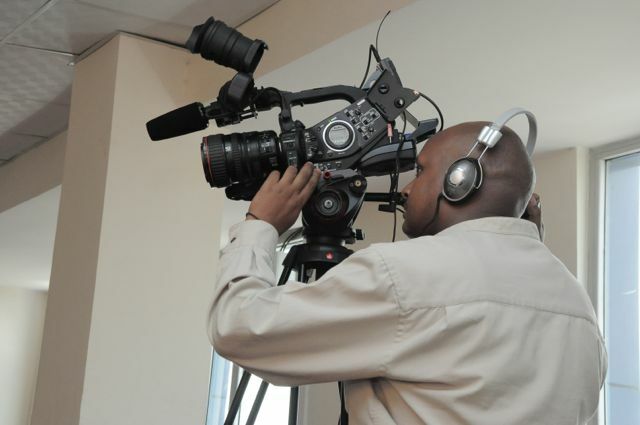 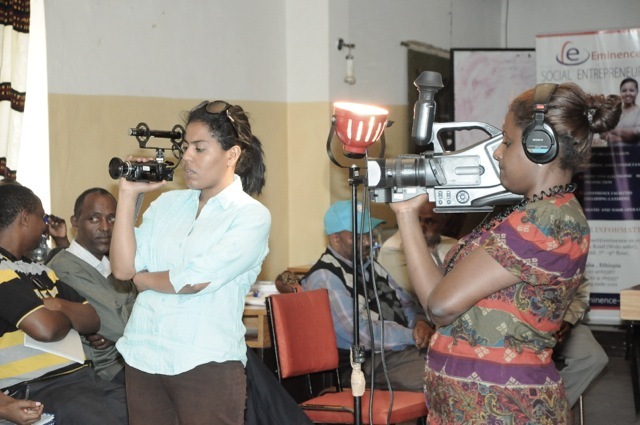 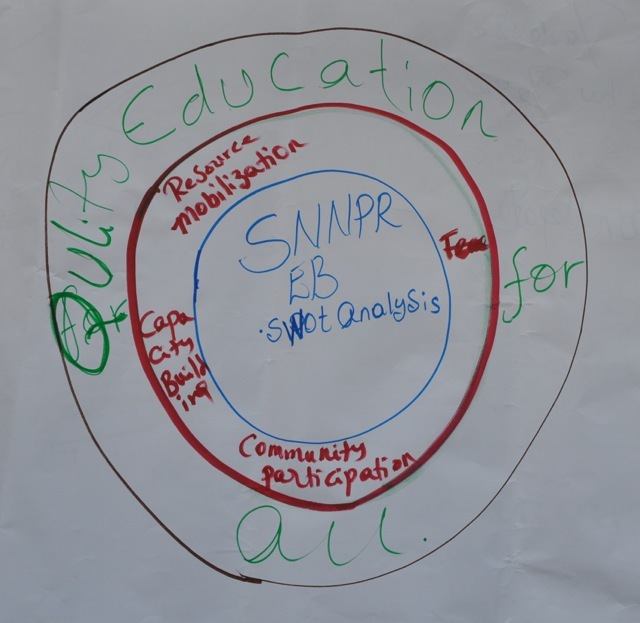 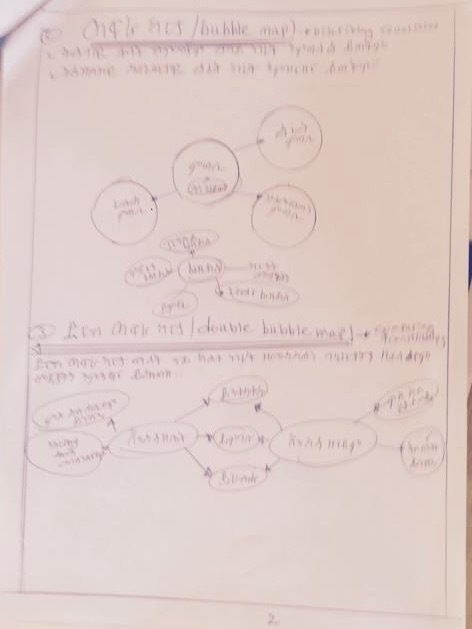 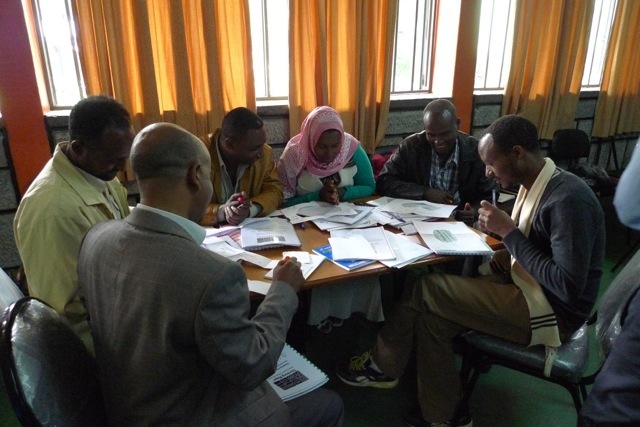 building a body of research and documentation within Ethiopia by Ethiopian educators on the implementation and success of the Thinking Schools Ethiopia approach. 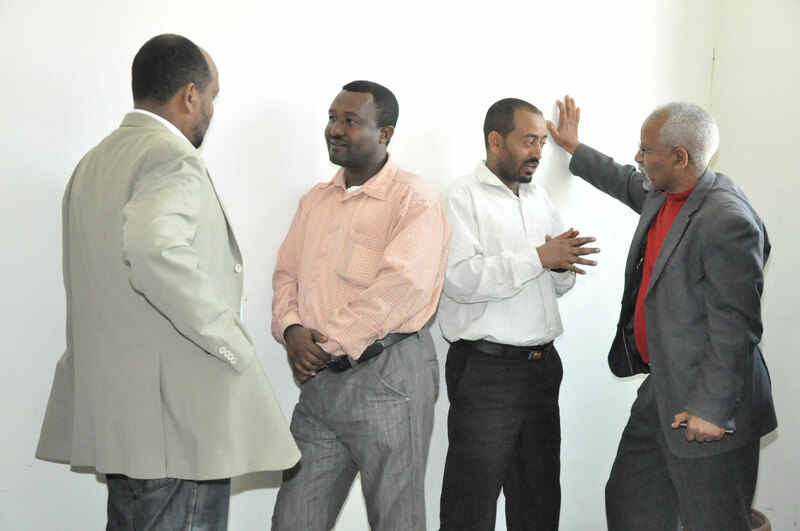 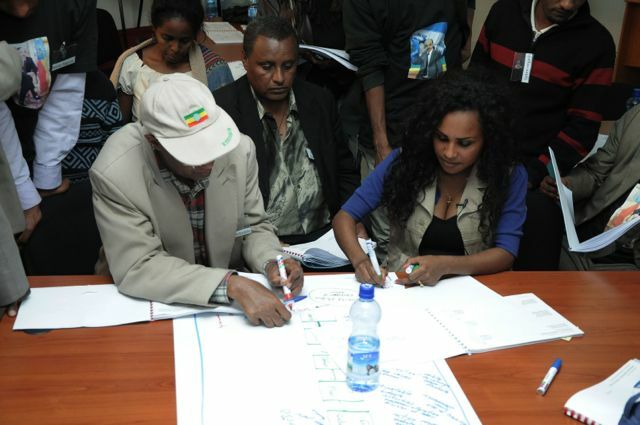 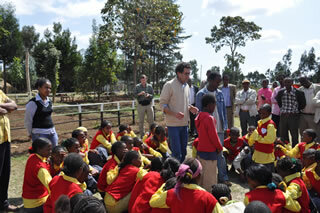 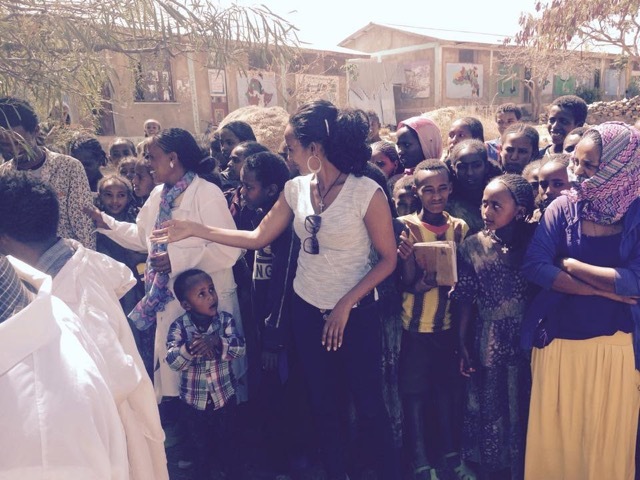 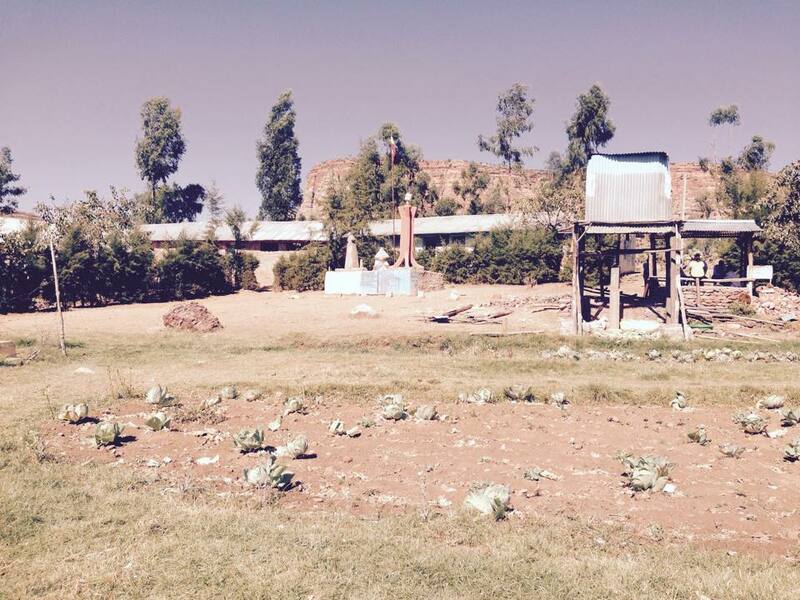 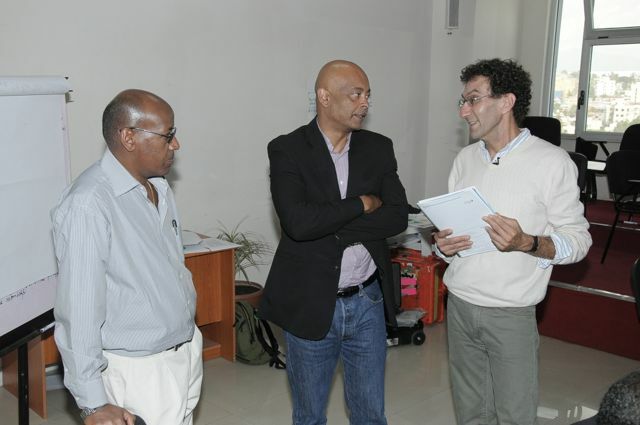 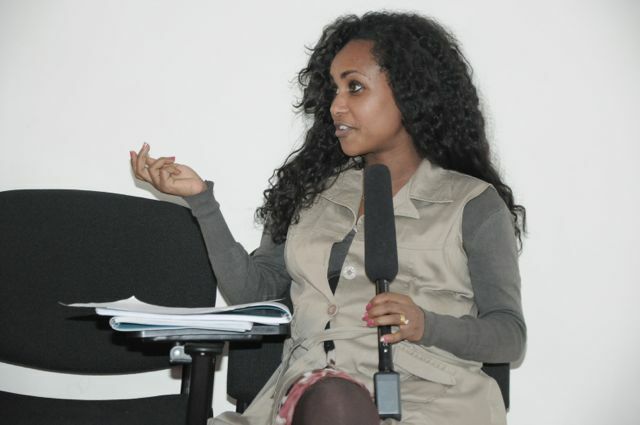 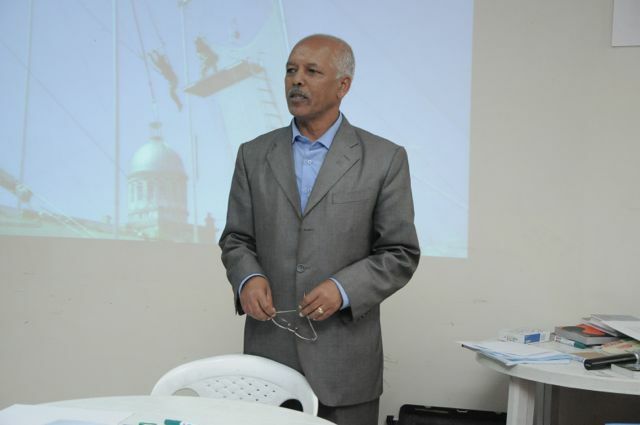 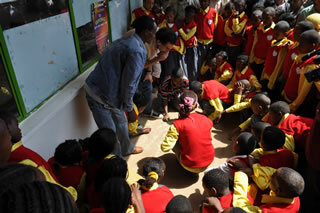 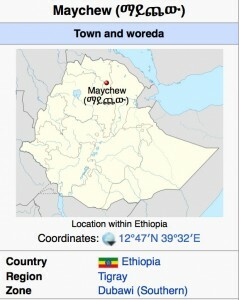 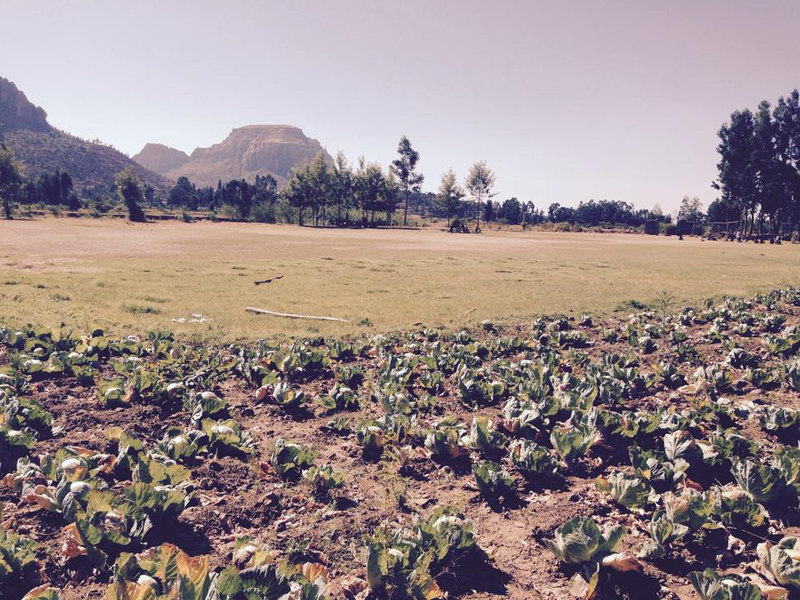 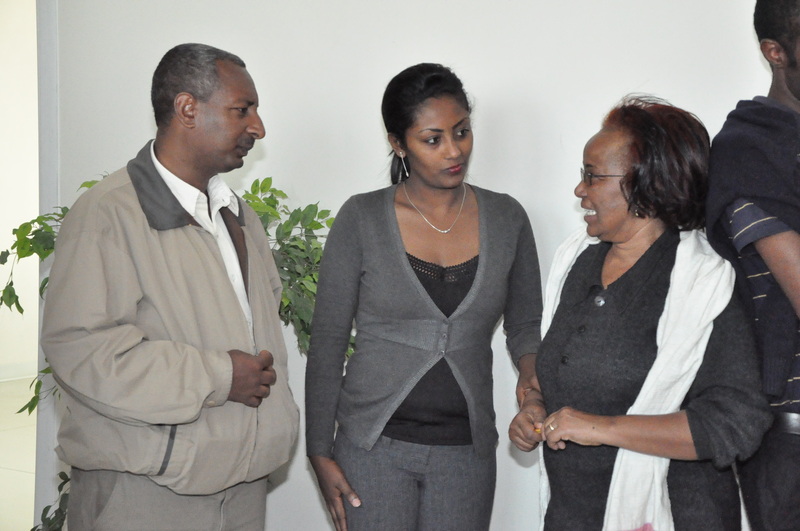 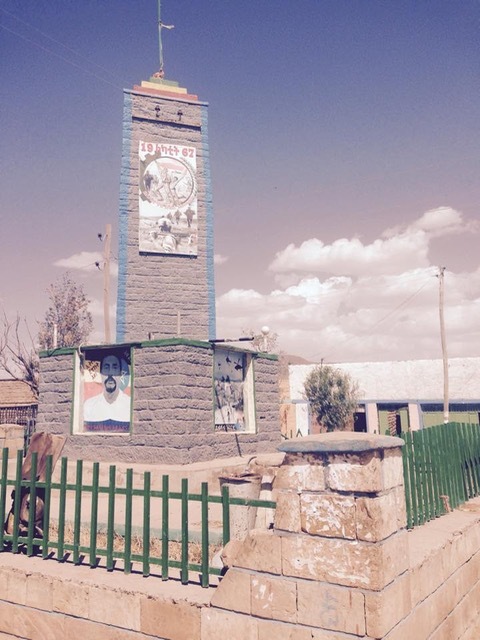 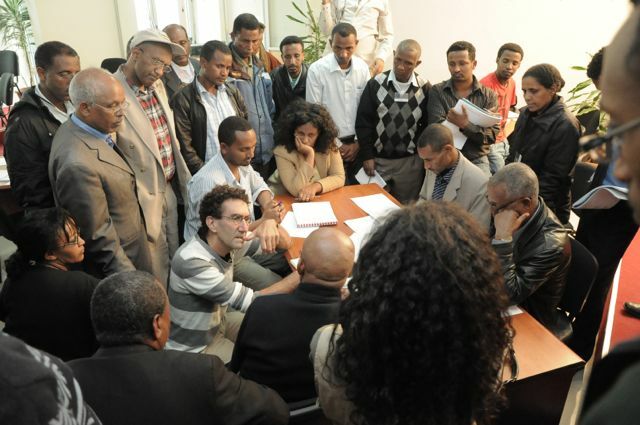 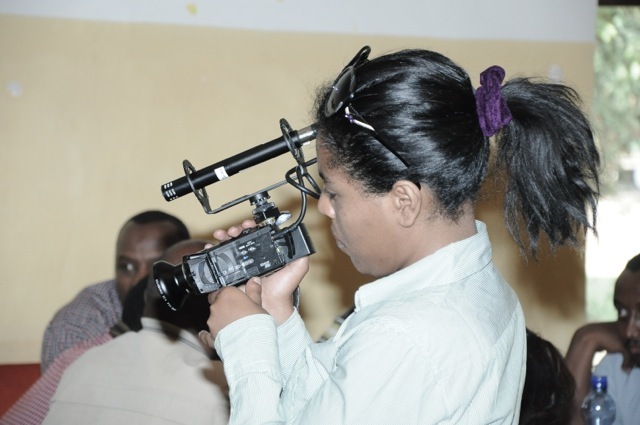 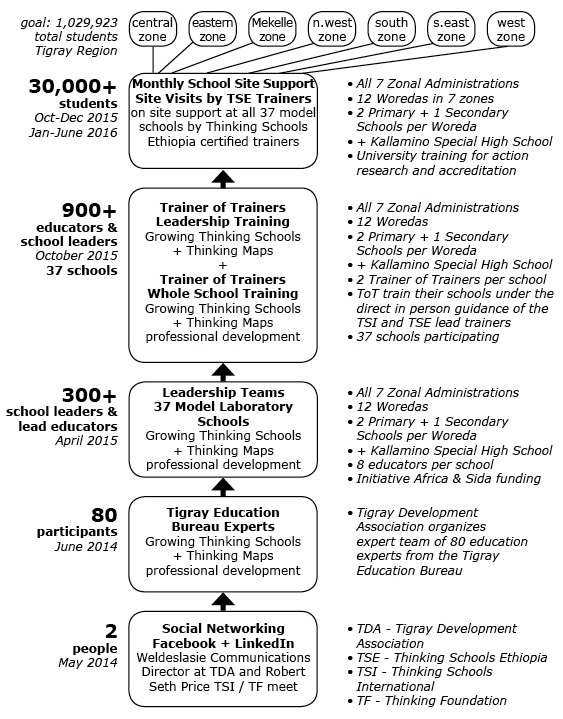 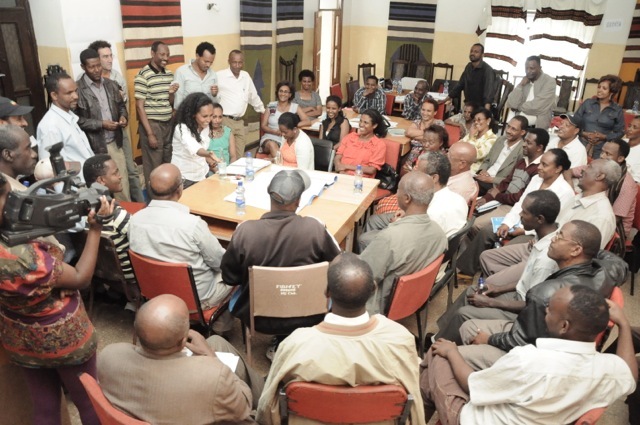 TSE model for the Tigray project that is a collaboration with Tigray Development Association and Initiative Africa. 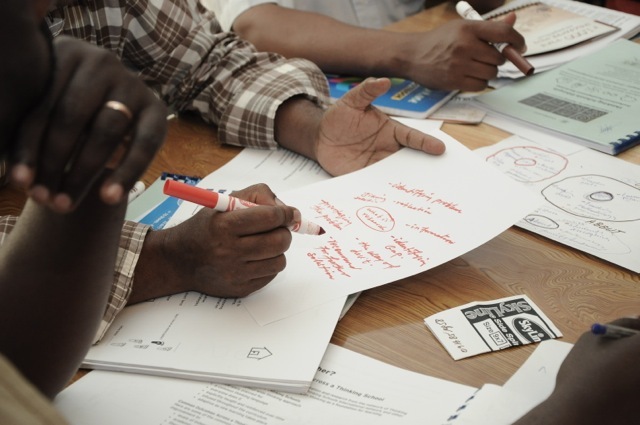 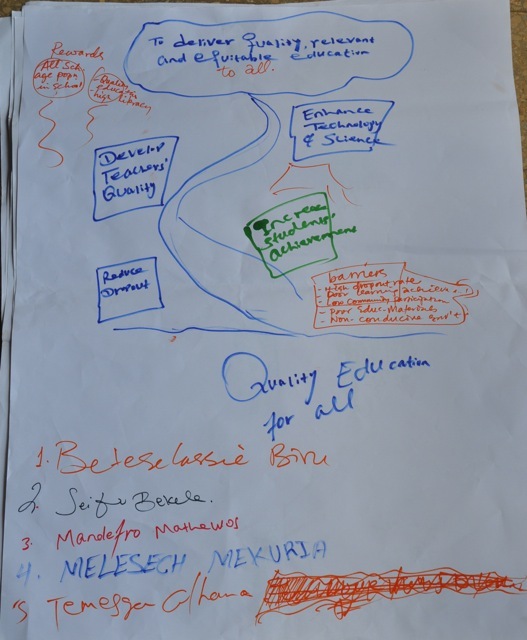 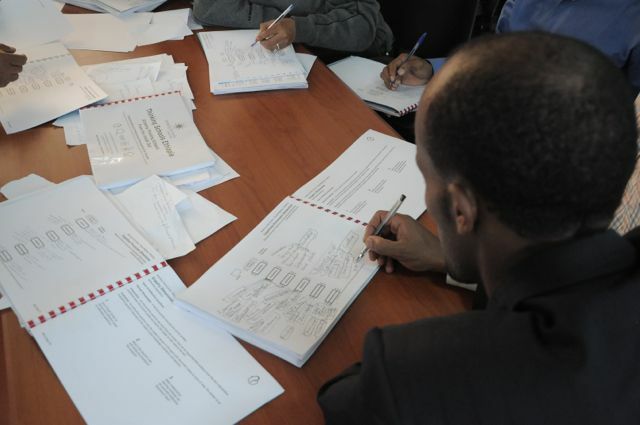 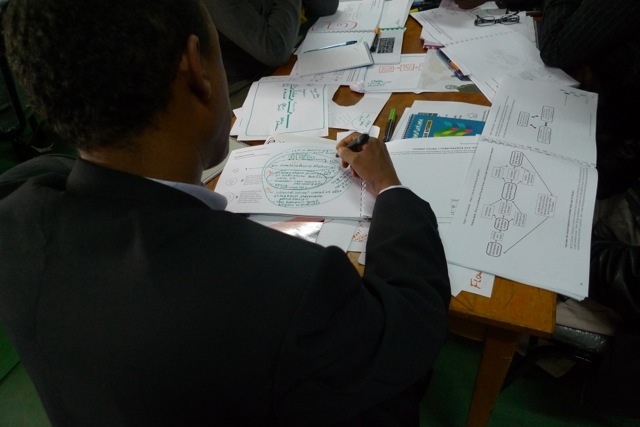 Thinking Schools Ethiopia is focused on facilitating expertise within schools, school systems, and across Addis Ababa and Ethiopia building a sustainable transformative design. 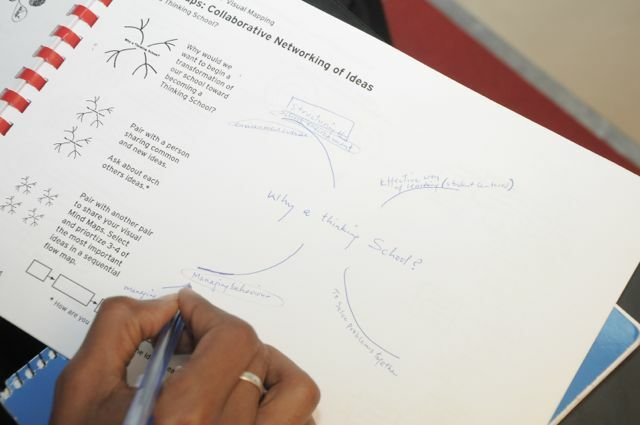 Thinking Schools transforms the practice of education through the collaborative development of a wide range of thinking processes of all members of learning organizations. 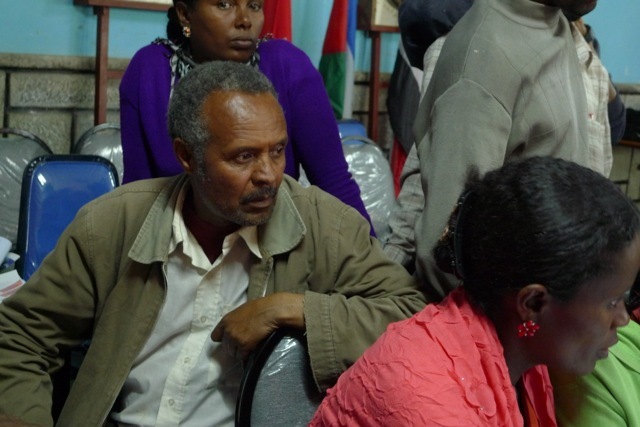 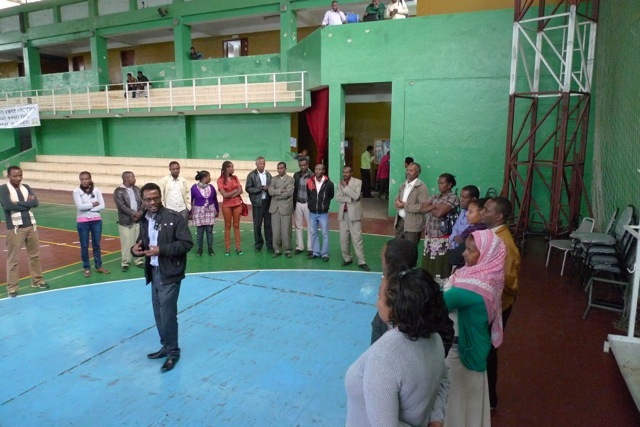 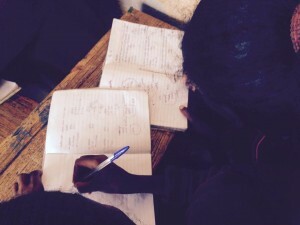 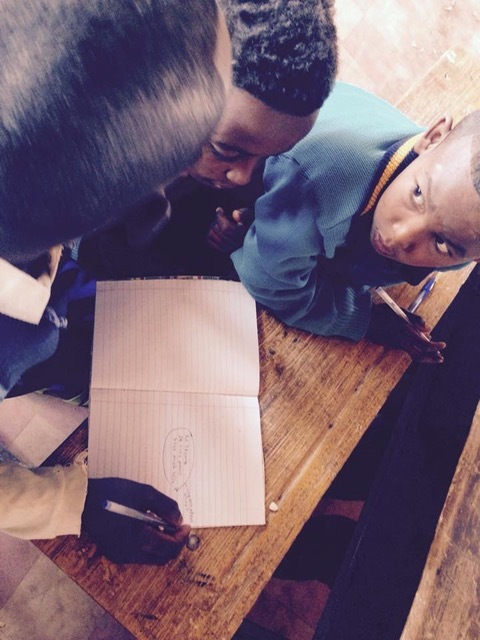 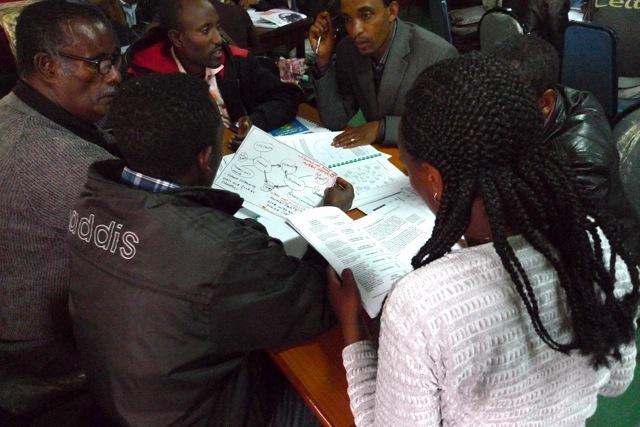 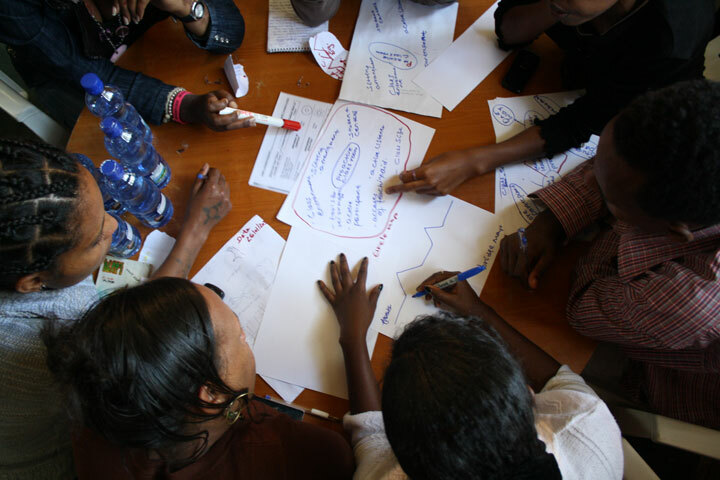 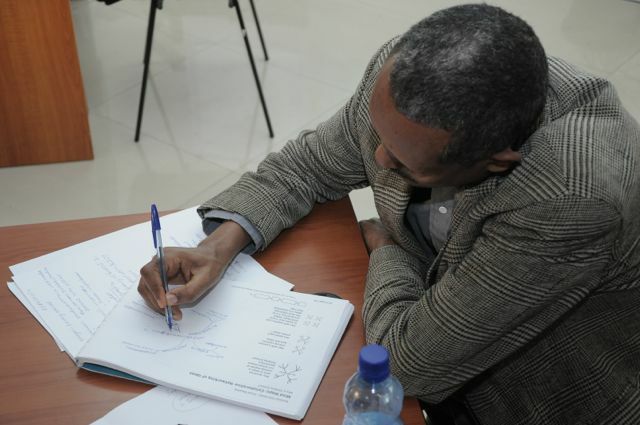 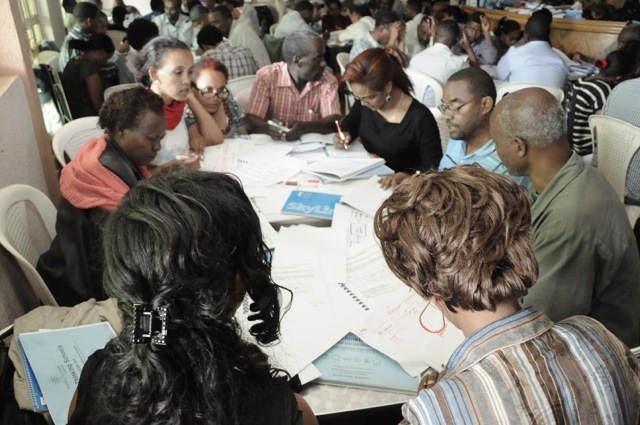 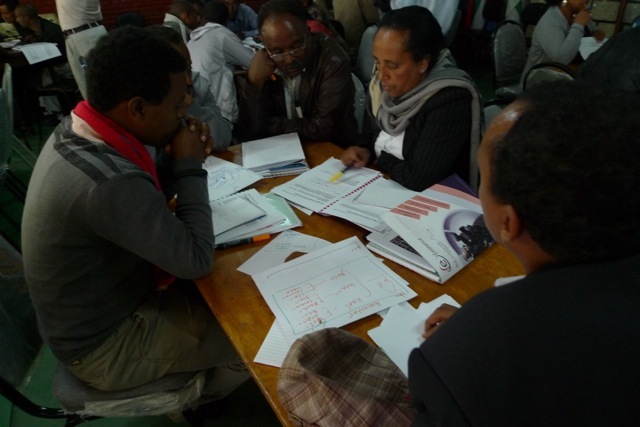 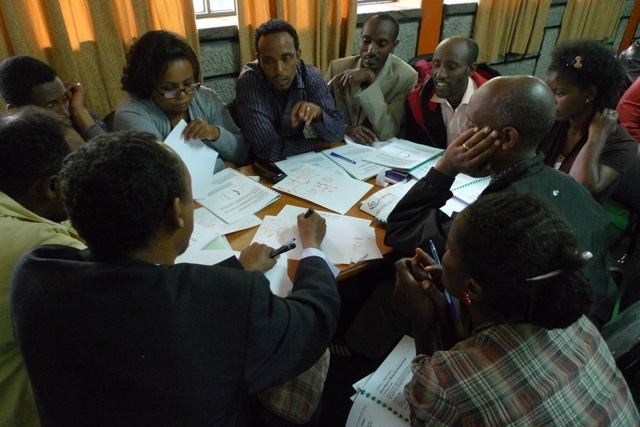 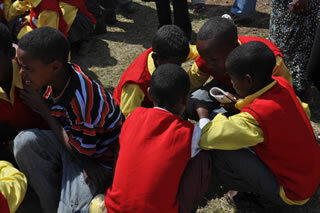 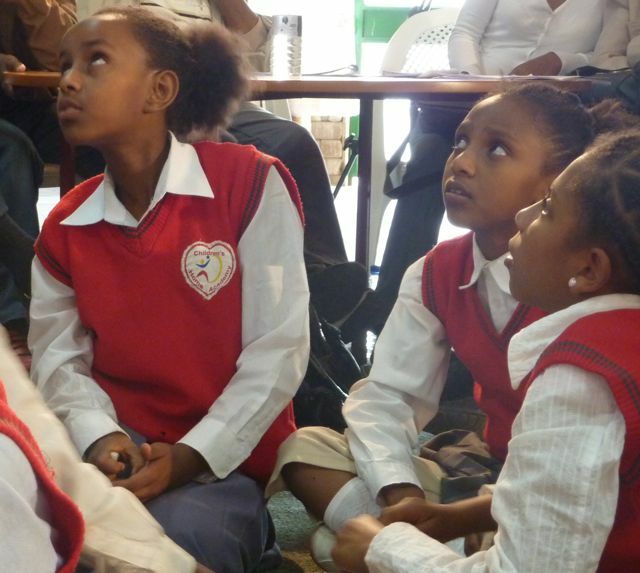 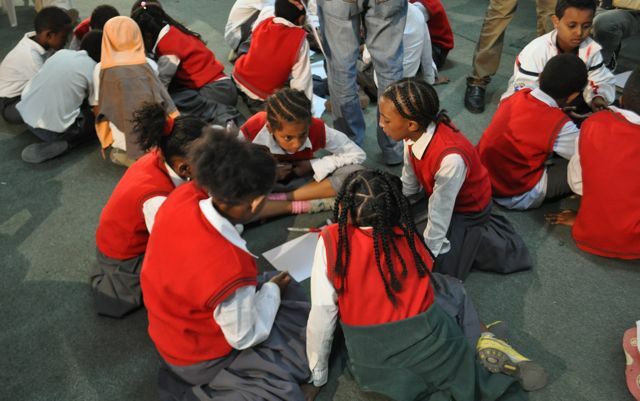 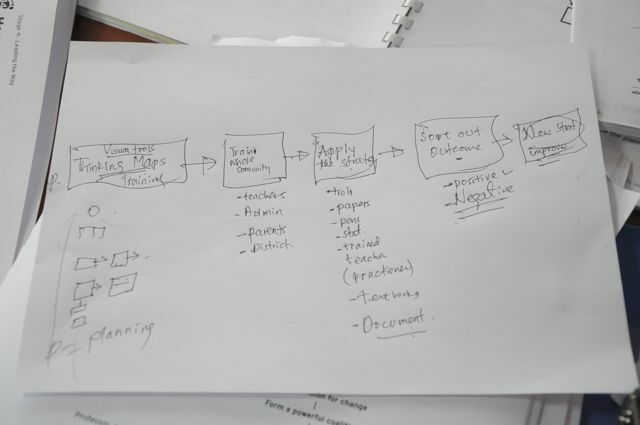 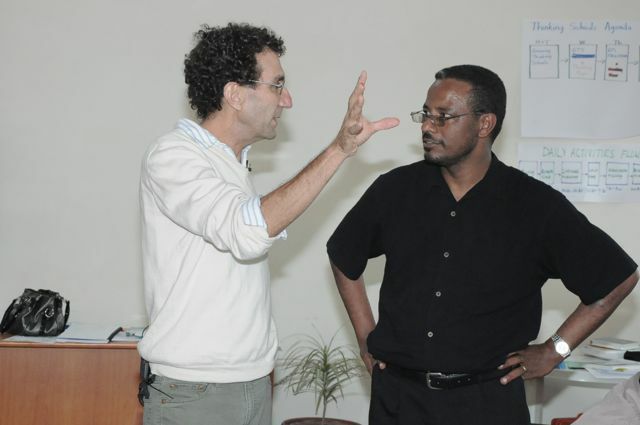 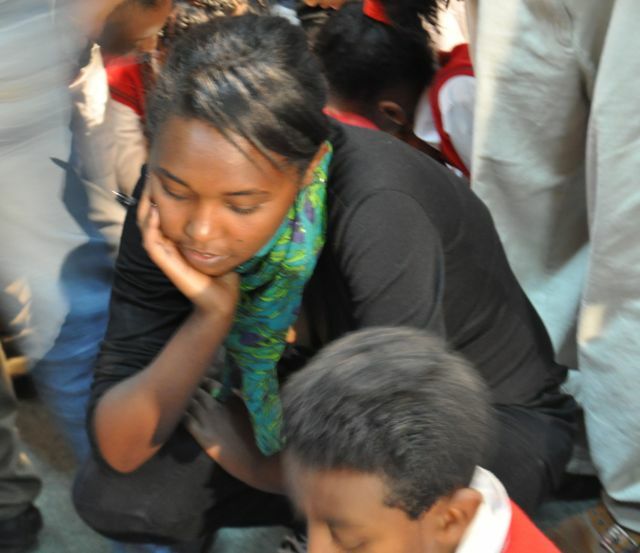 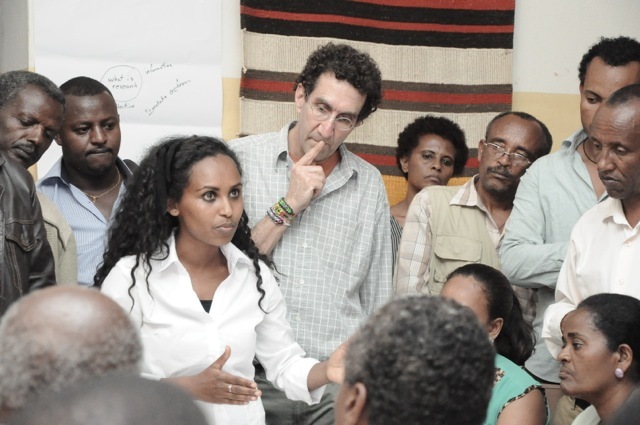 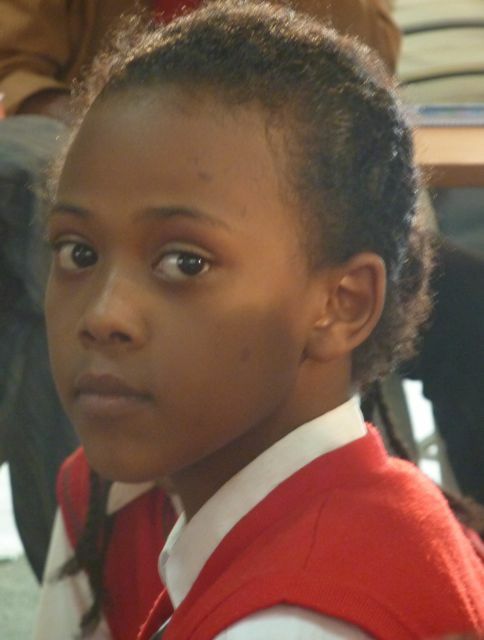 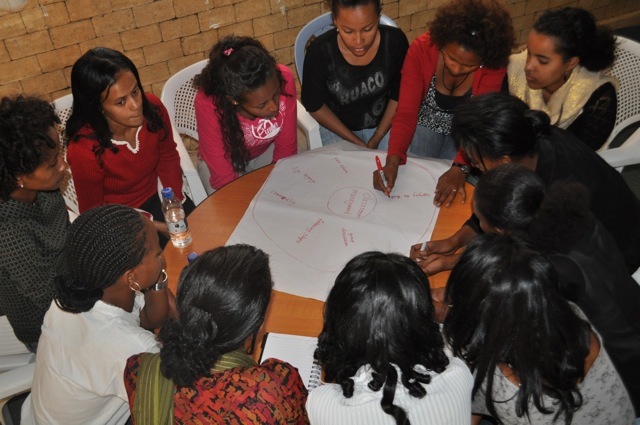 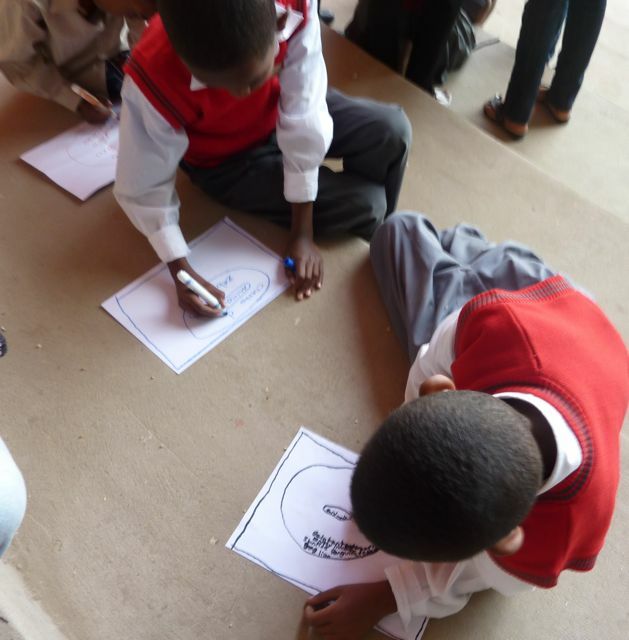 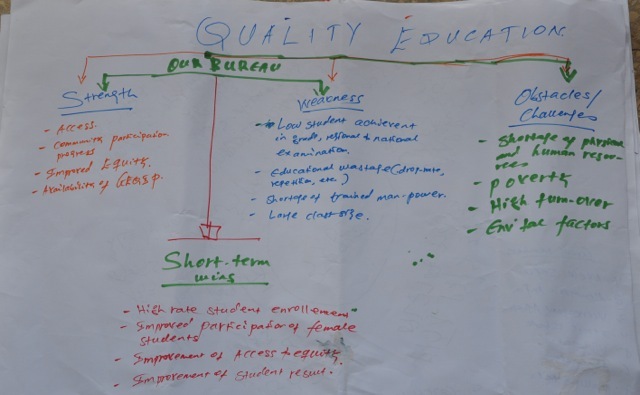 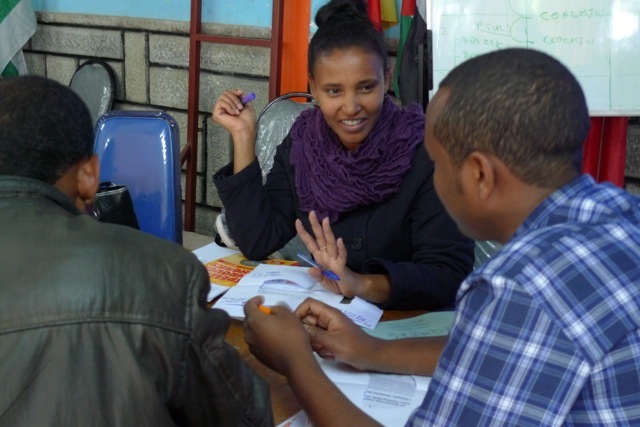 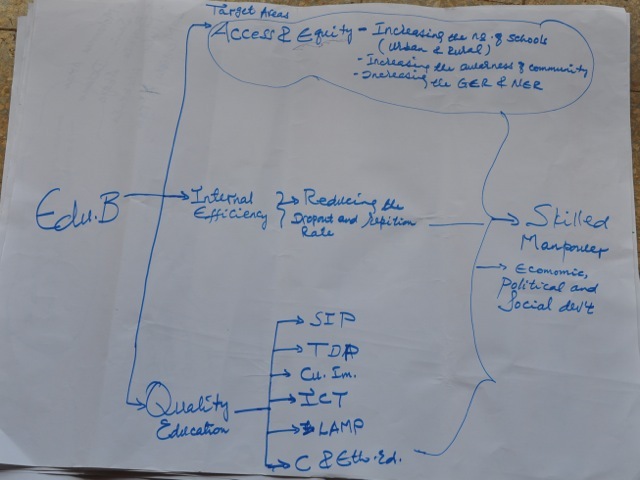 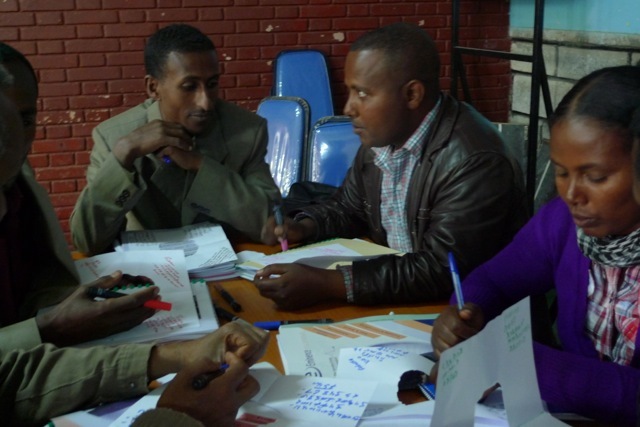 The process of Thinking Schools Ethiopia engages the vision of whole school change, not simply improving questioning, or focusing on certain thinking skills, or implementing a single program. 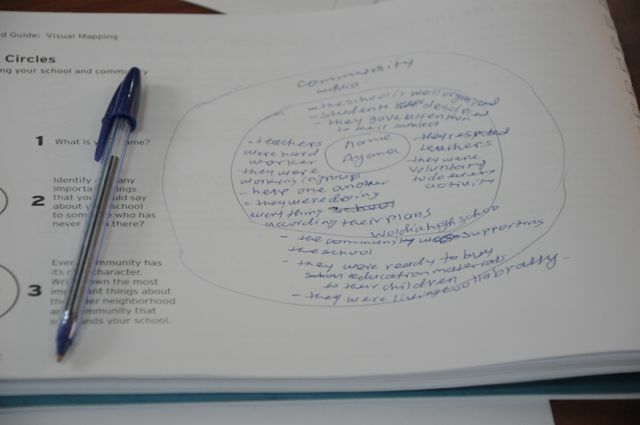 It is not just about students, or teachers, or senior management: it is about engaging in the transformation of an interdependent community. 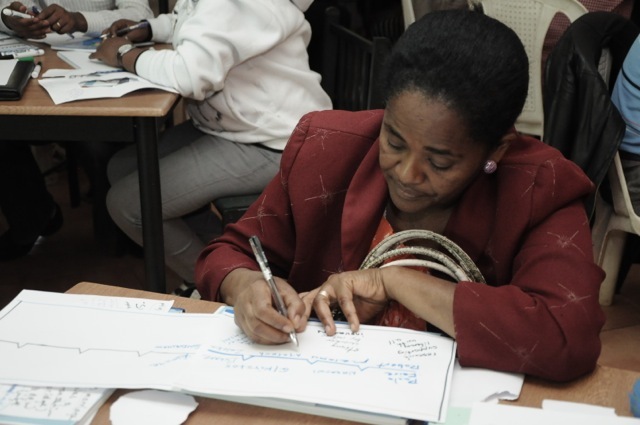 Everyone becomes a learner, teacher, and leader through this process of focusing on the co-development of thinking, young and old. 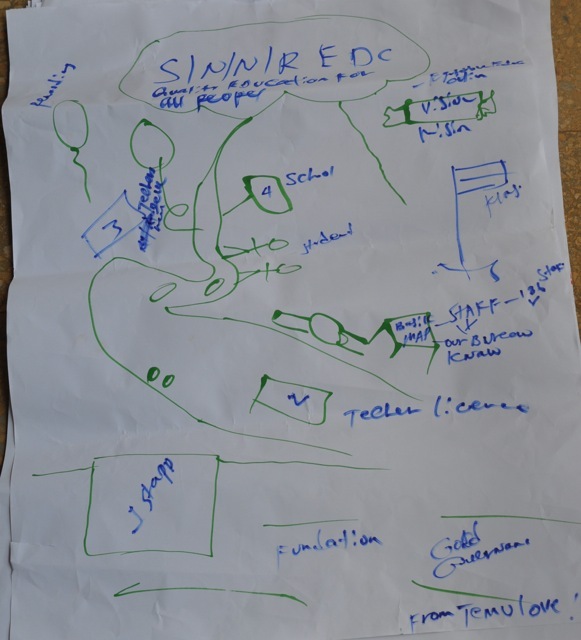 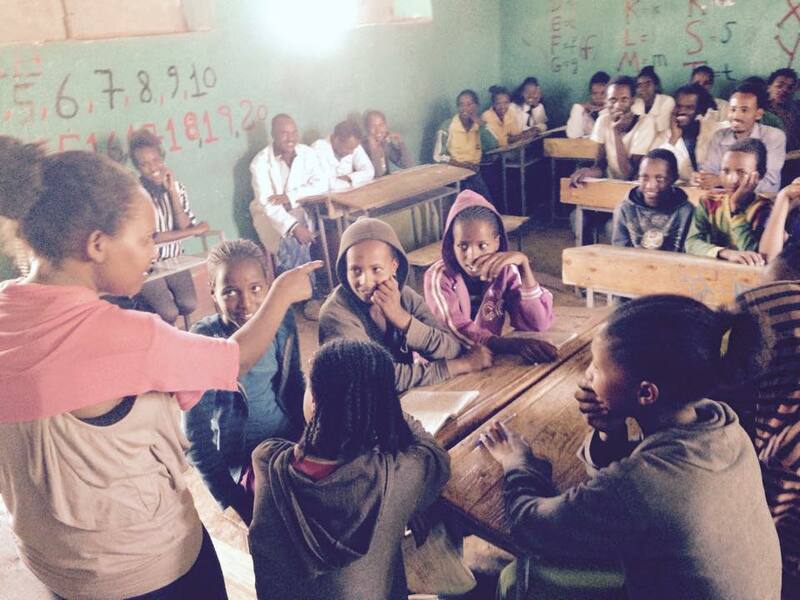 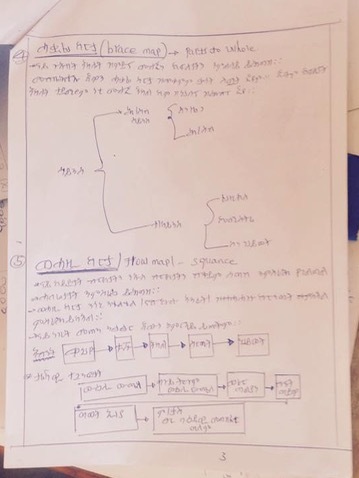 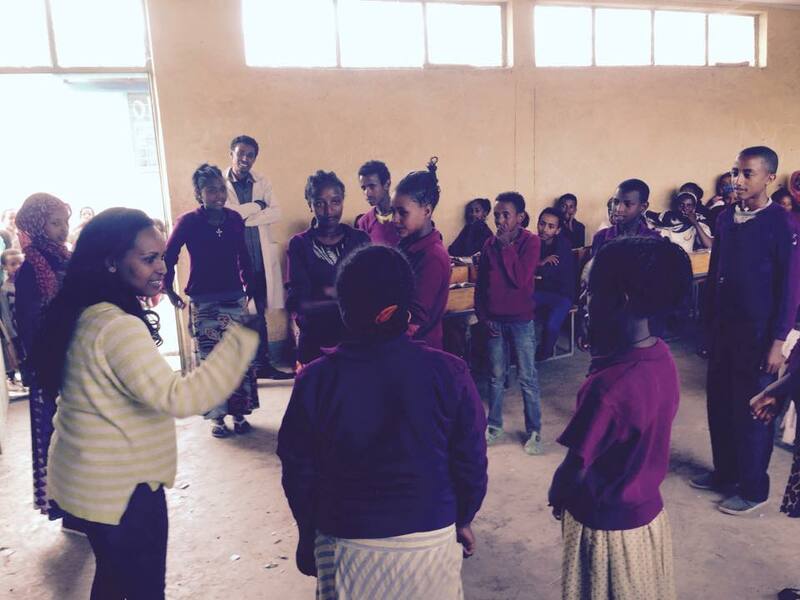 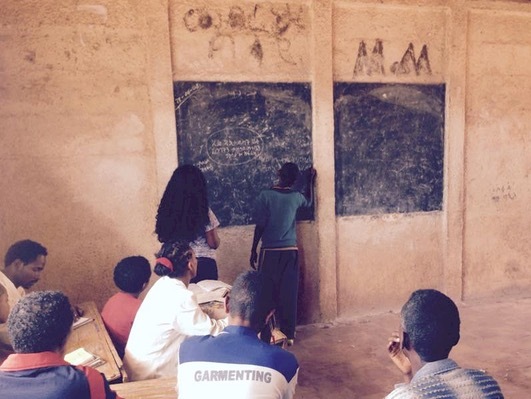 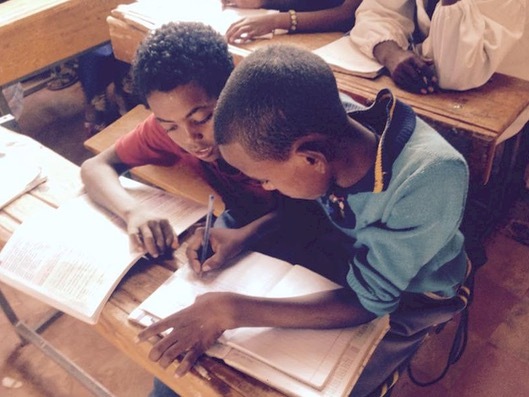 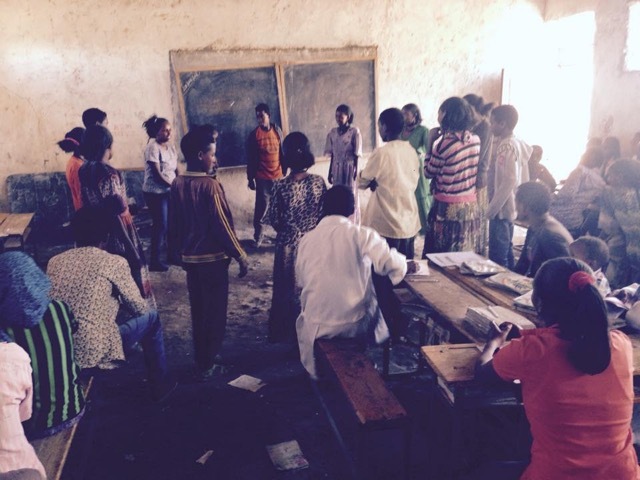 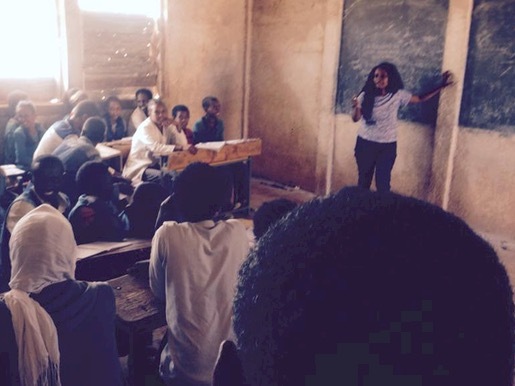 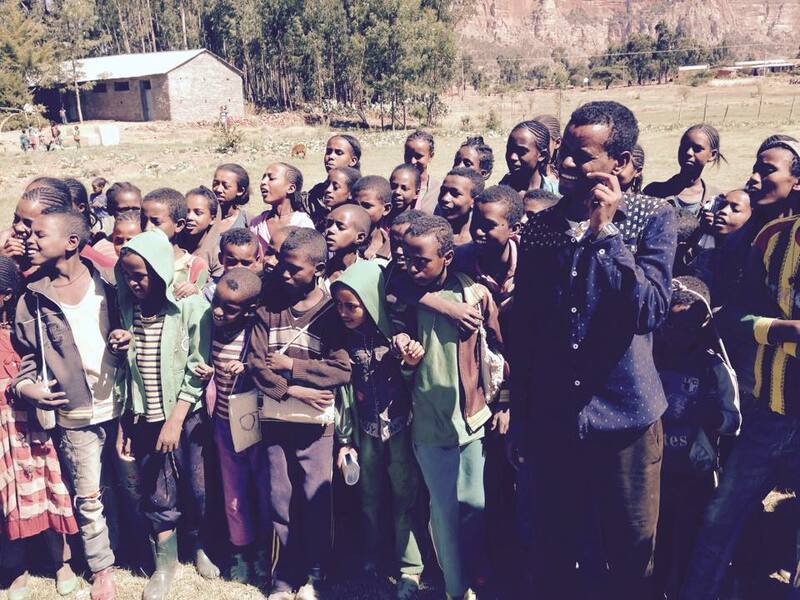 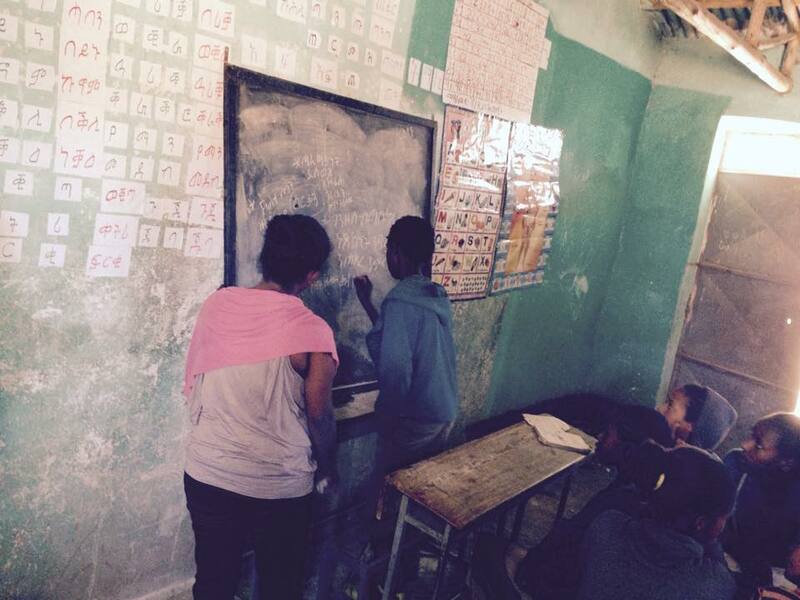 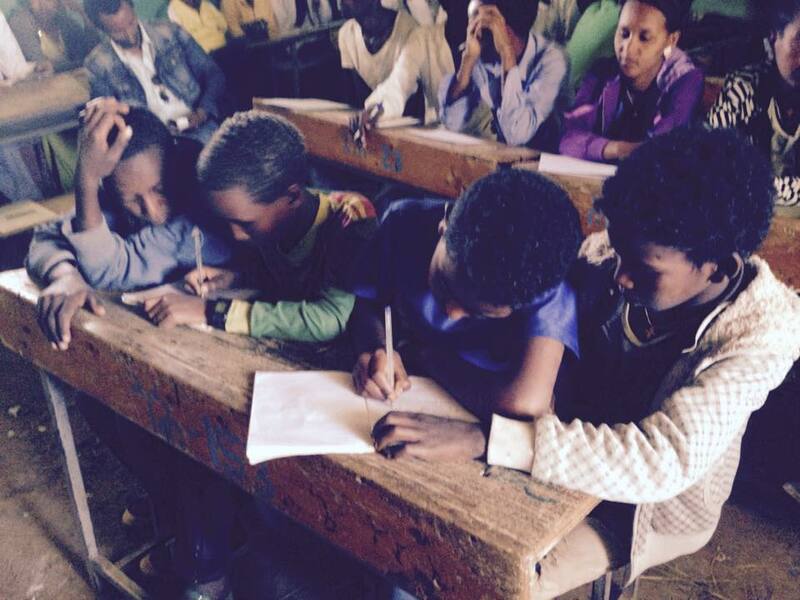 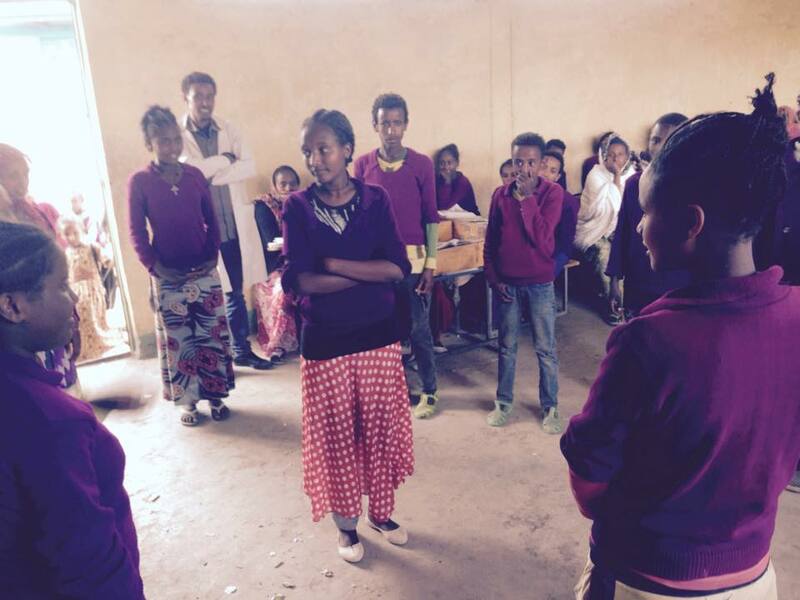 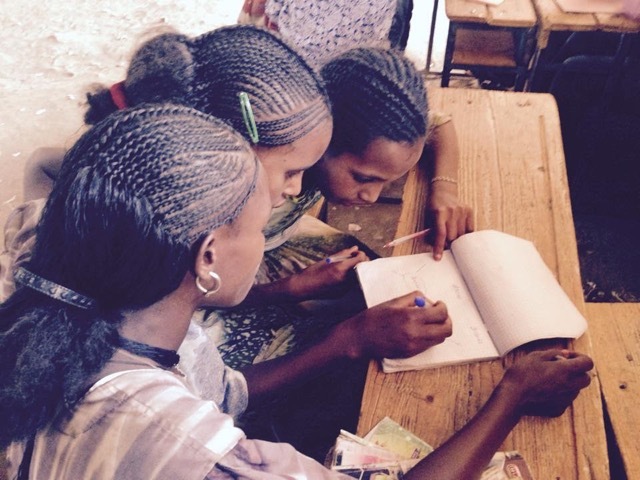 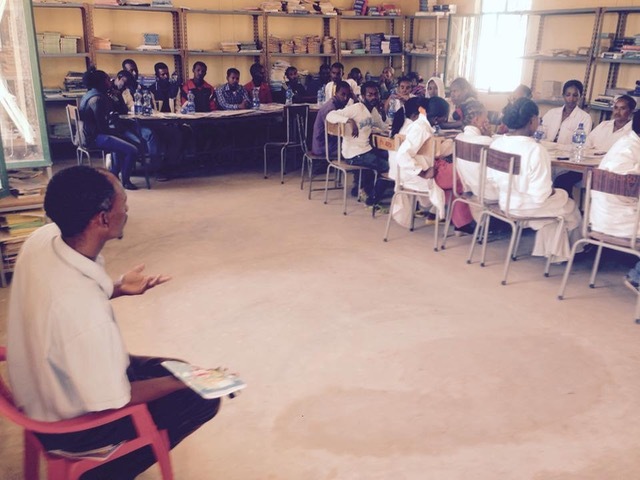 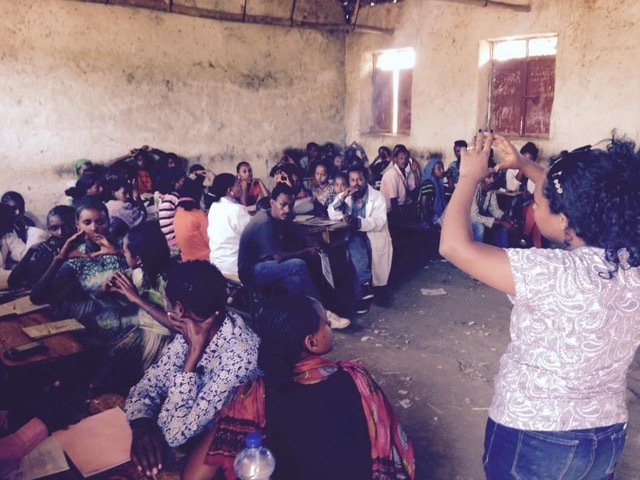 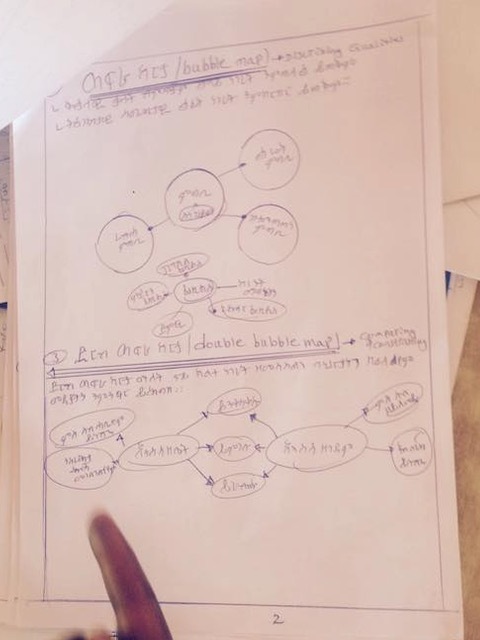 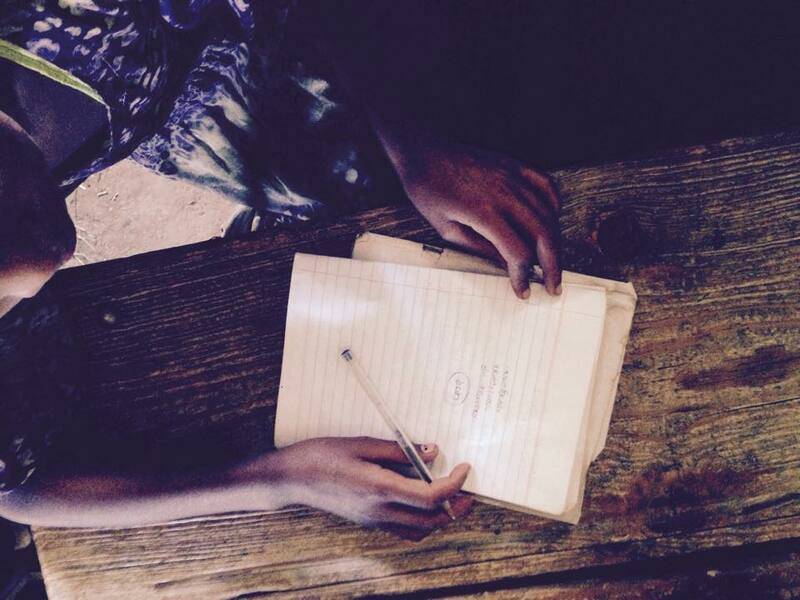 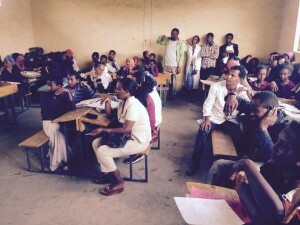 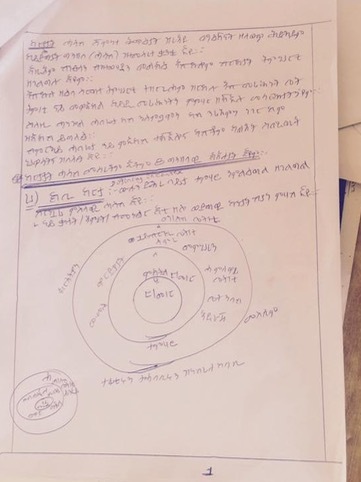 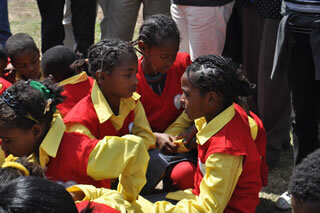 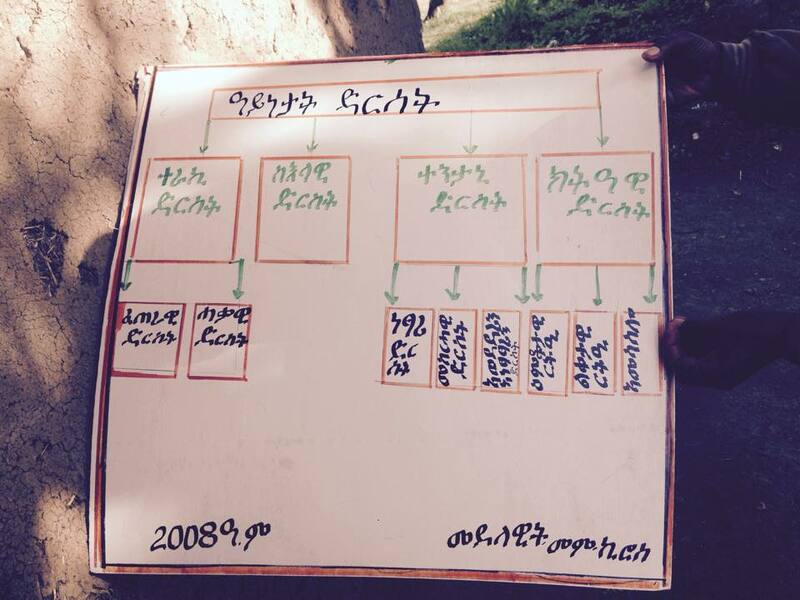 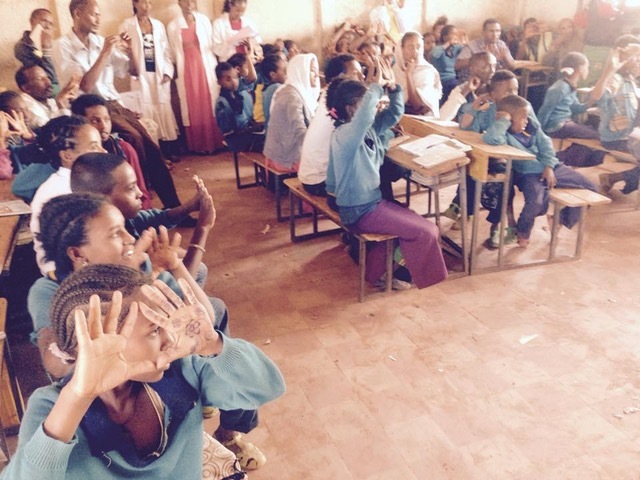 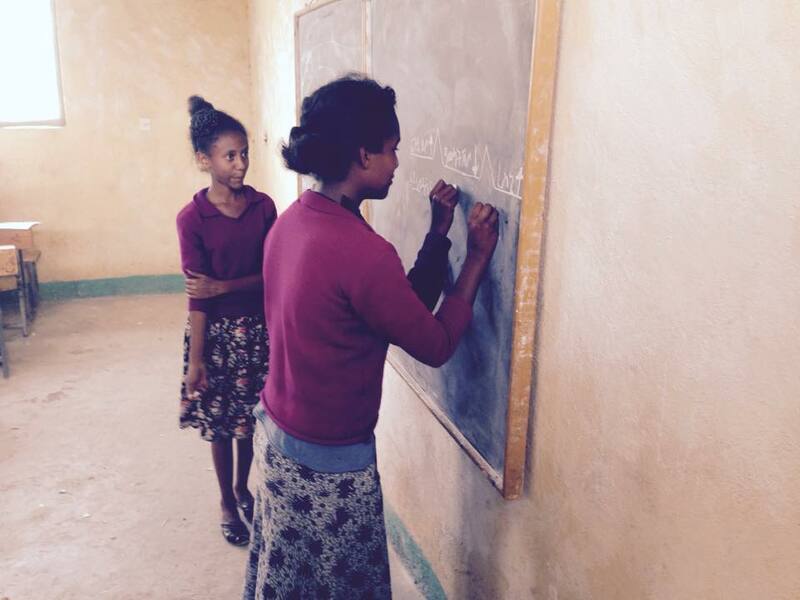 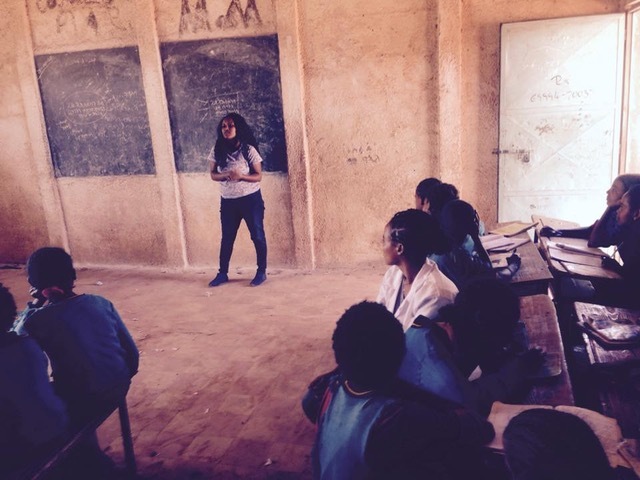 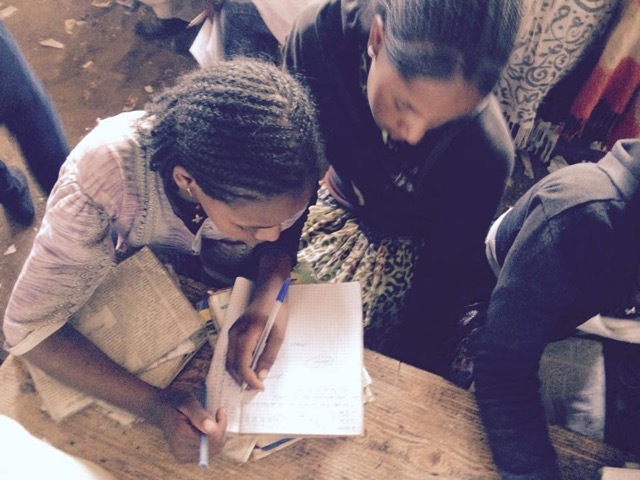 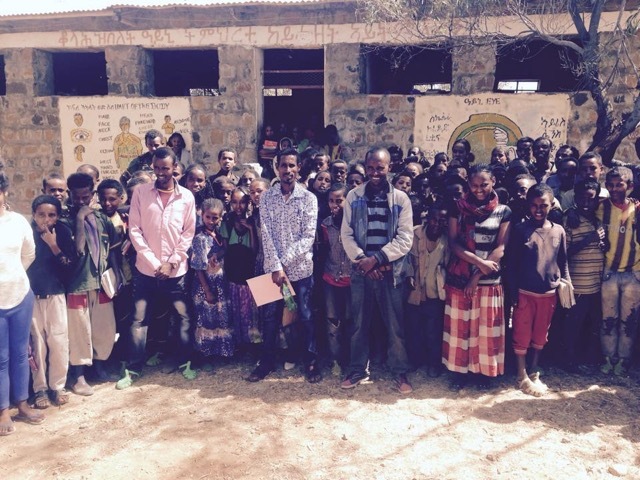 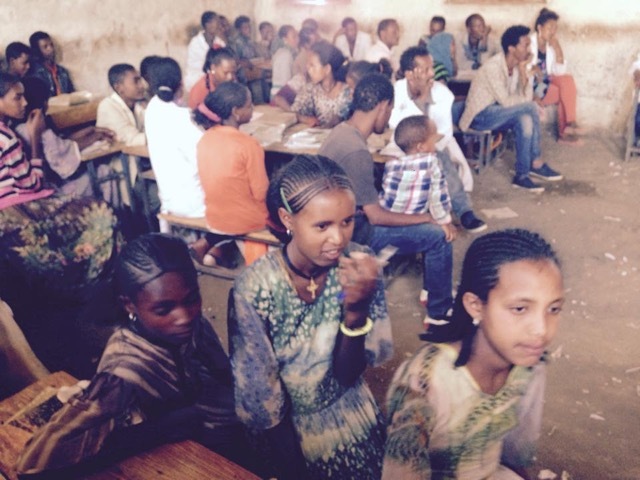 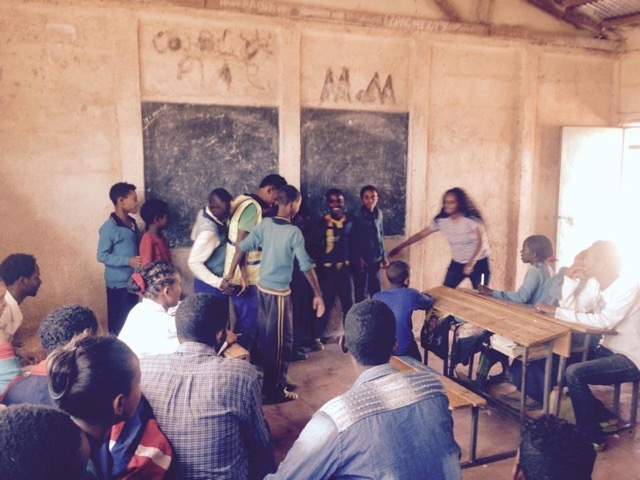 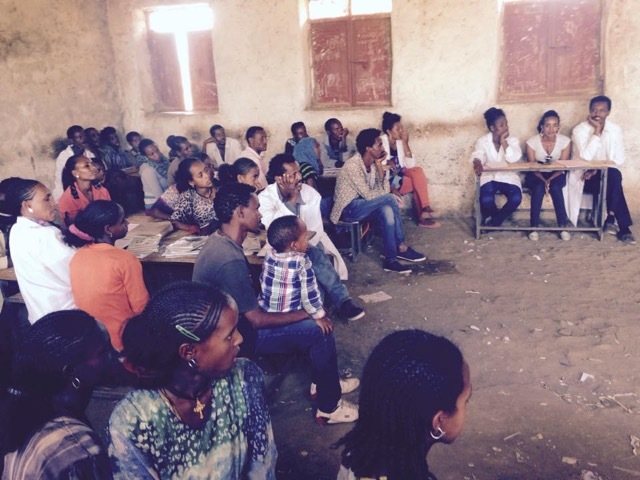 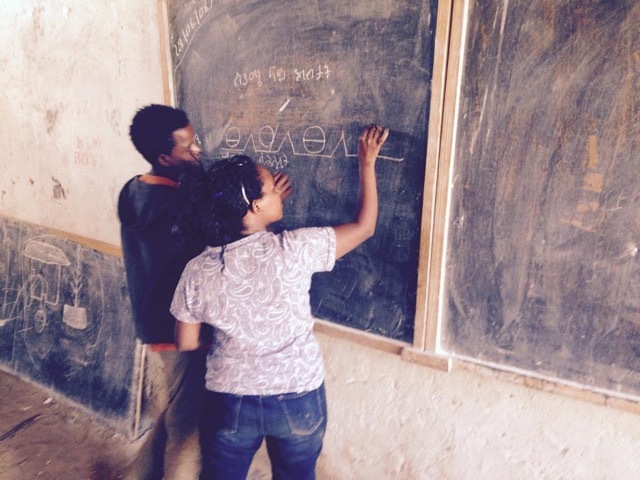 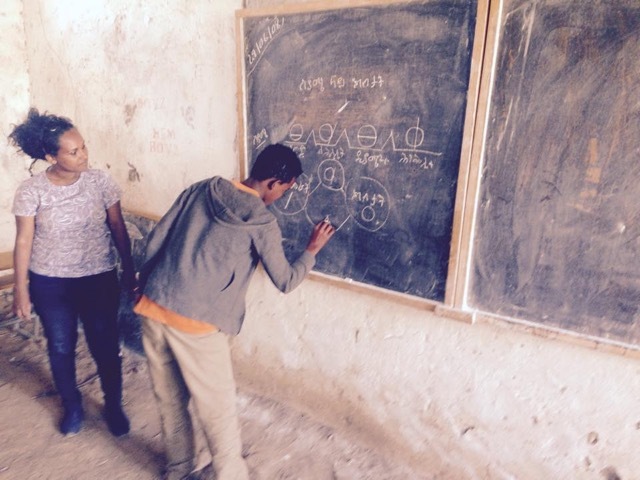 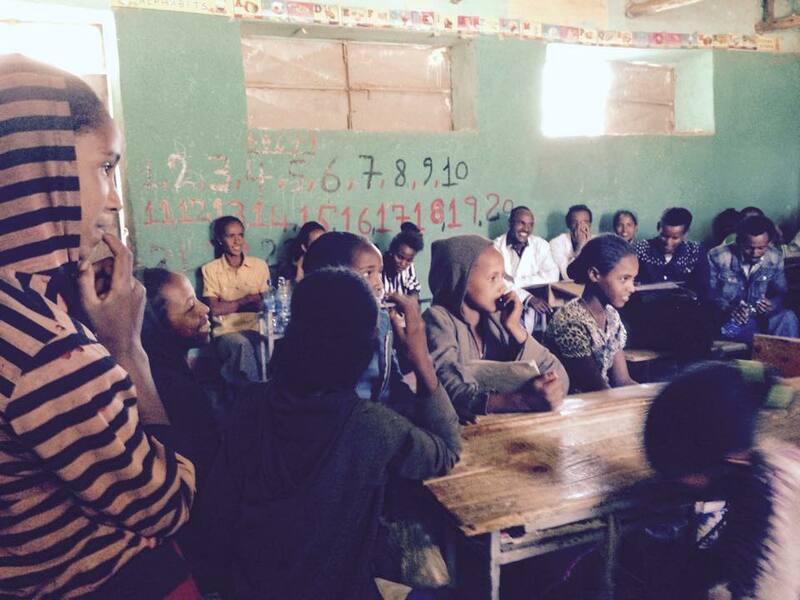 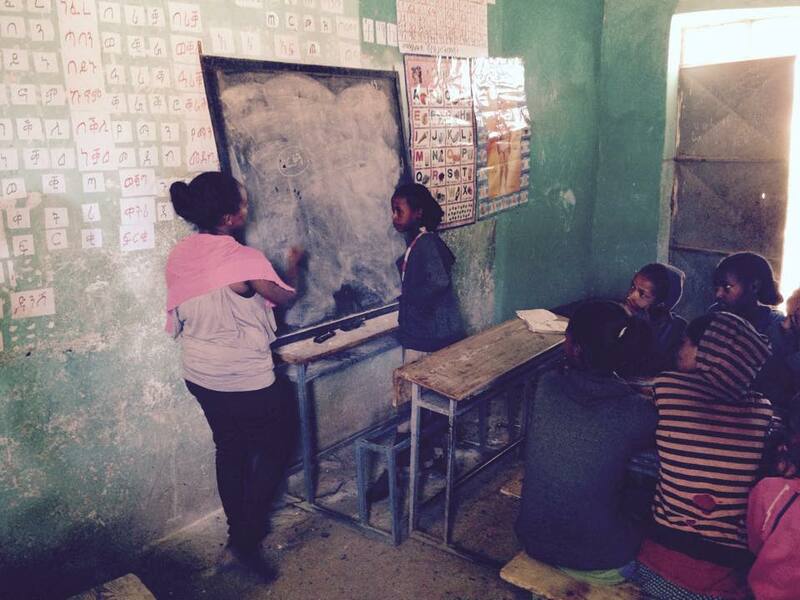 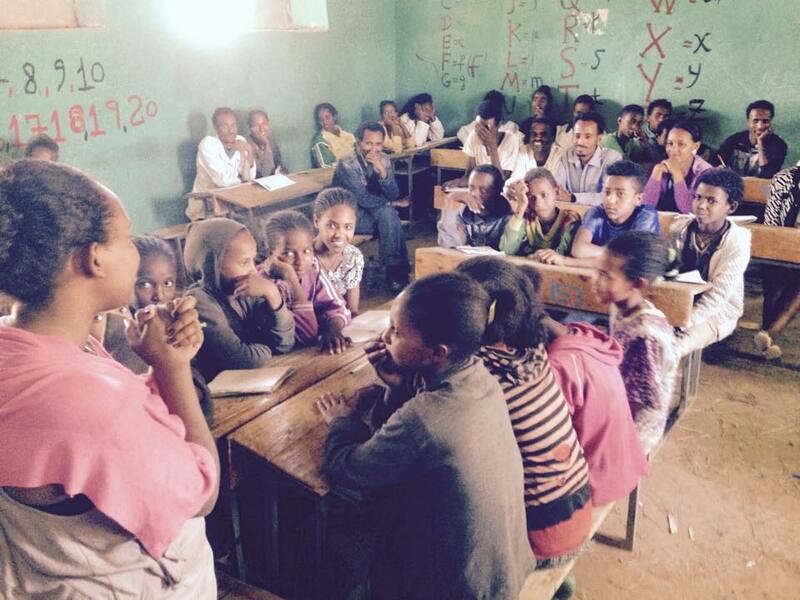 The process is learner/student-centered is throughout each school, between schools throughout each Wereda and between schools throughout Ethiopia. 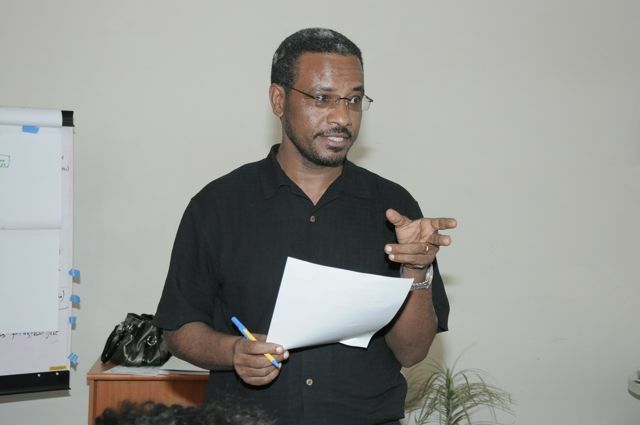 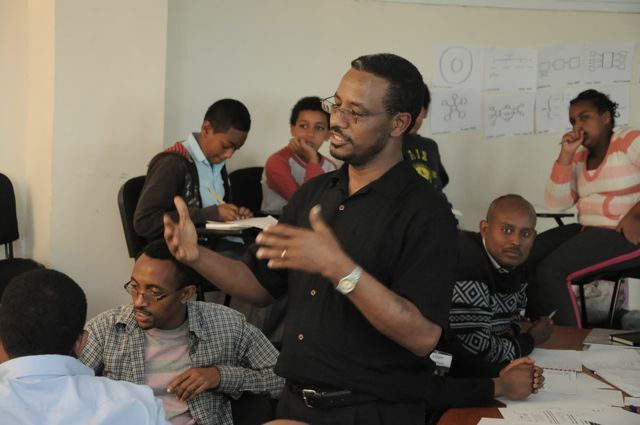 This includes pre-k, elementary, secondary and university teacher training. 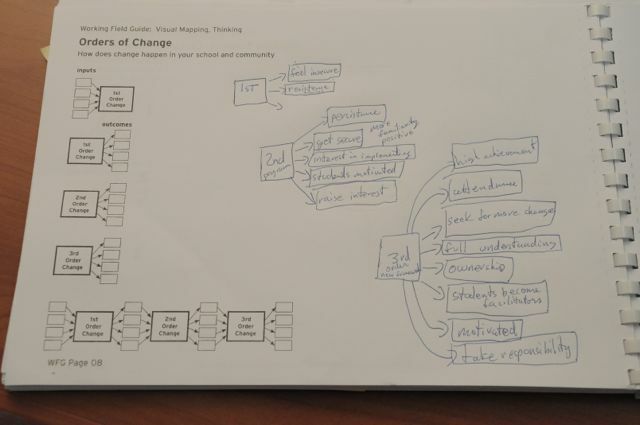 It is important, then, that the leadership/drive team develop a plan that is not reactive, but that is adaptive and transformative so that as a school you remain generative and open minded. 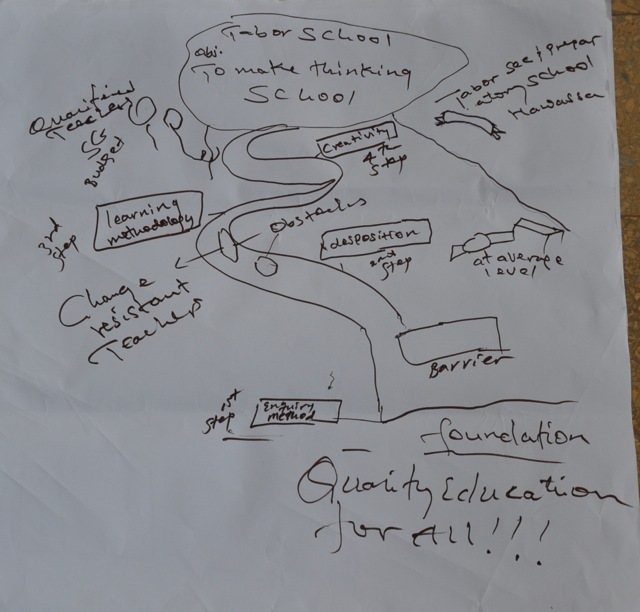 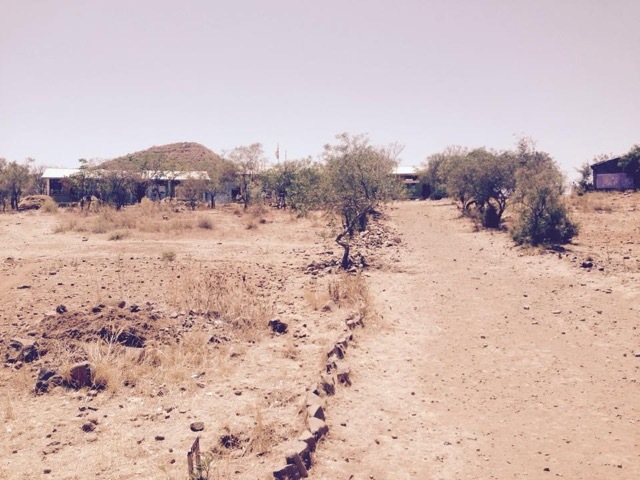 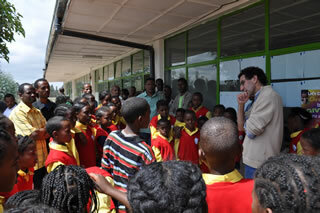 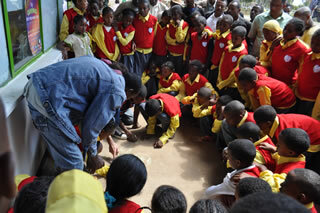 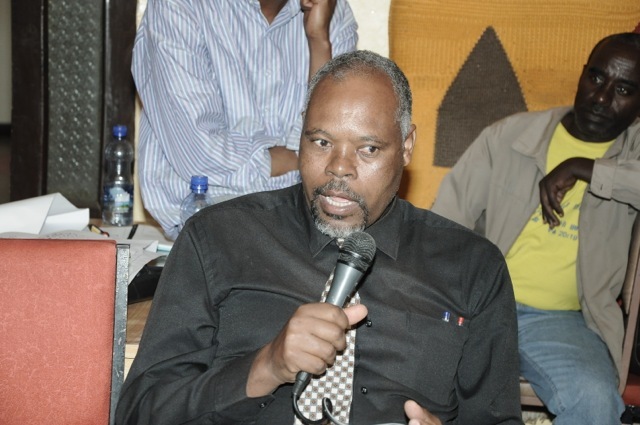 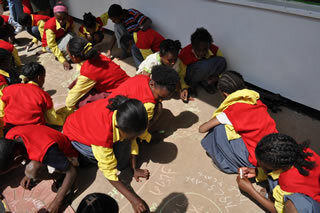 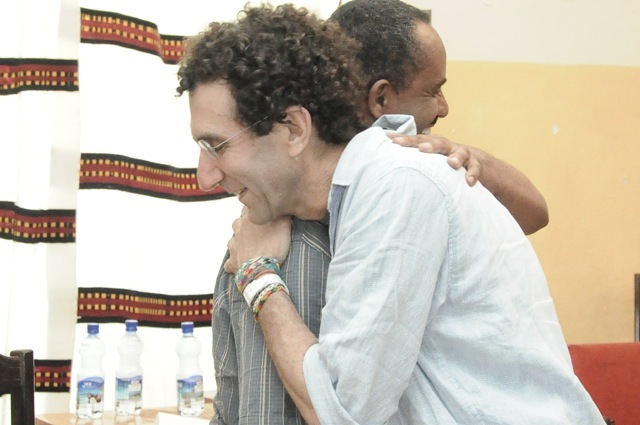 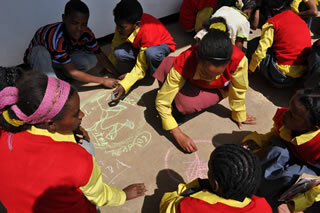 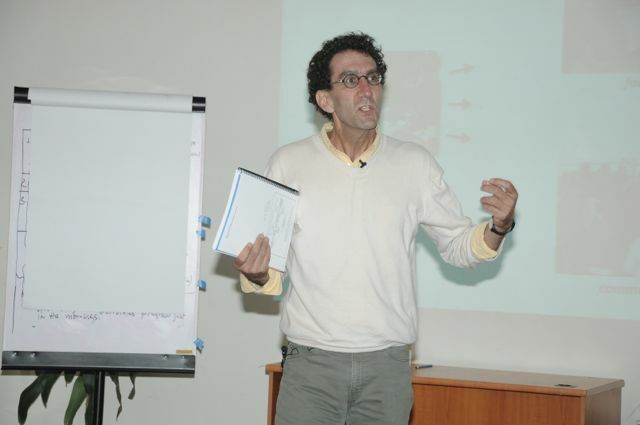 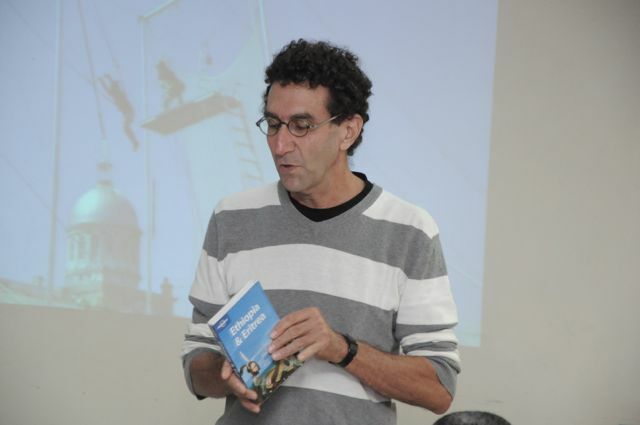 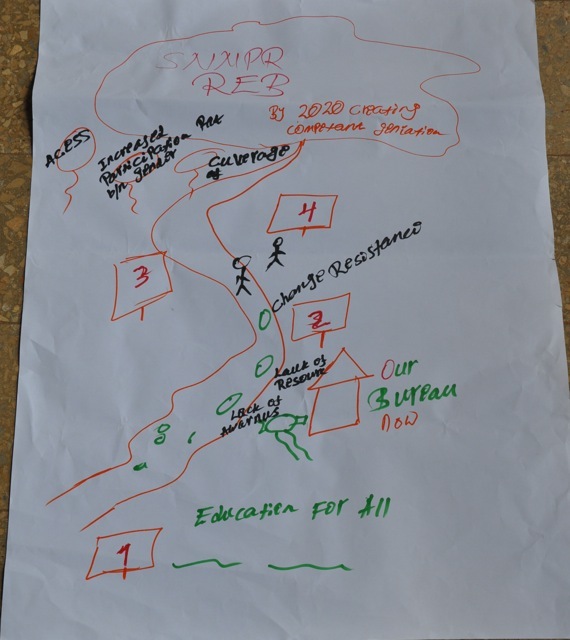 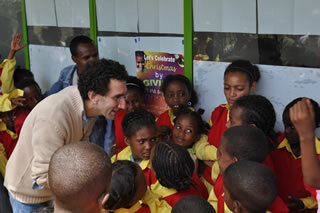 The essence of building a transformative design is to create a vision, a long term plan, and also design high quality ways of communicating across the whole school, and the community the school serves within the Wereda and throughout the country. 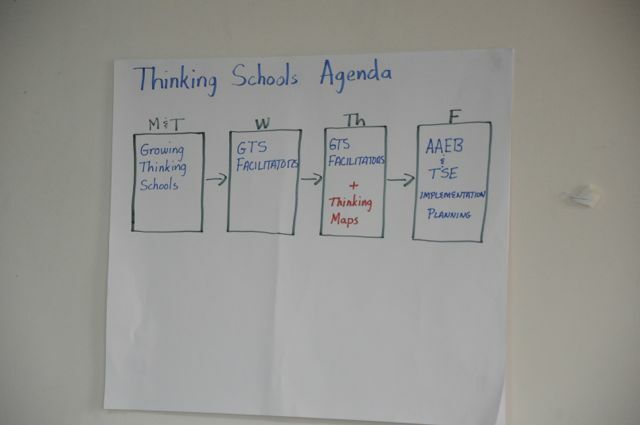 Thinking Schools Ethiopia and Thinking Schools International collaborate globally through multi-directional development with schools internationally. 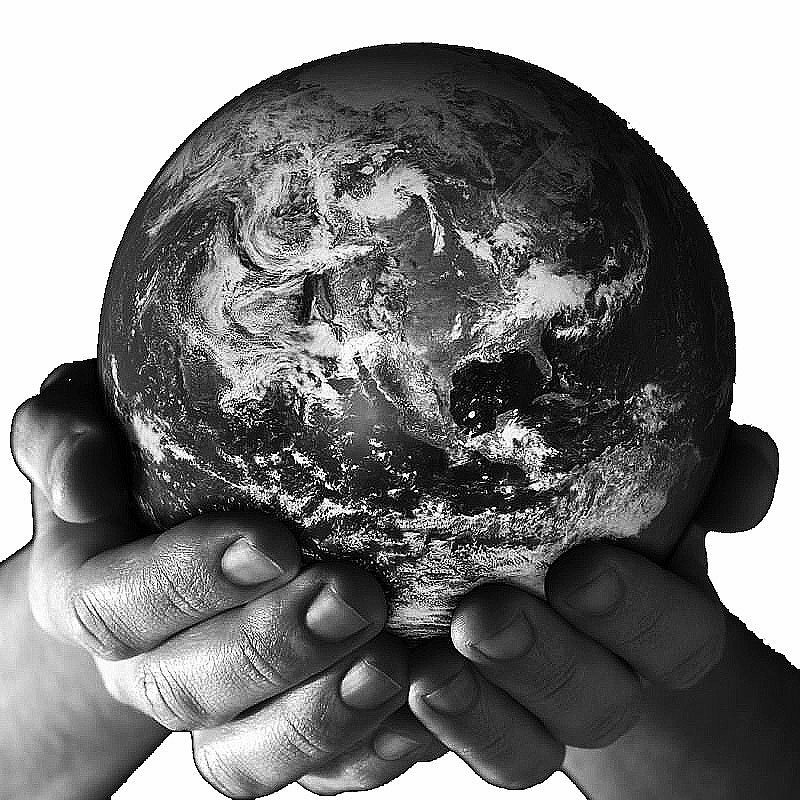 International development conventionally involves 1st world countries extending various forms of support to 3rd world countries in a unilateral relationship. 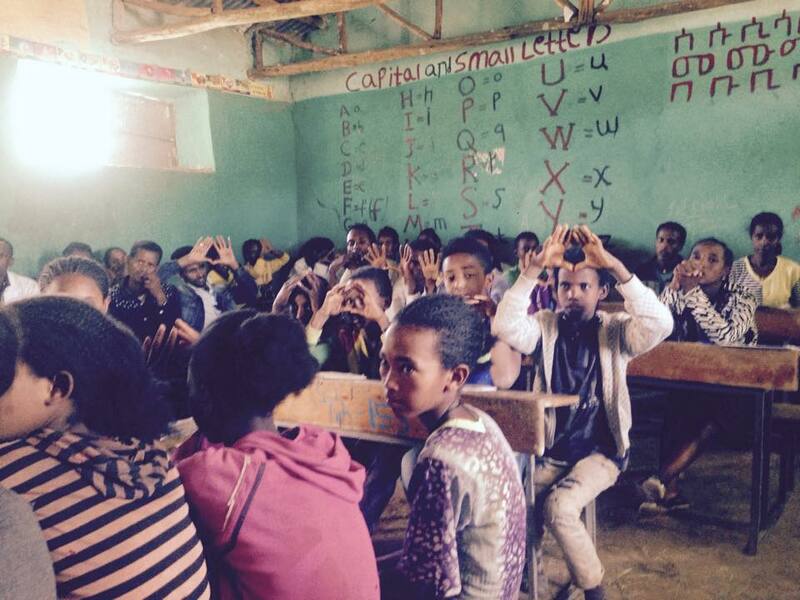 Aid flows in one direction only. 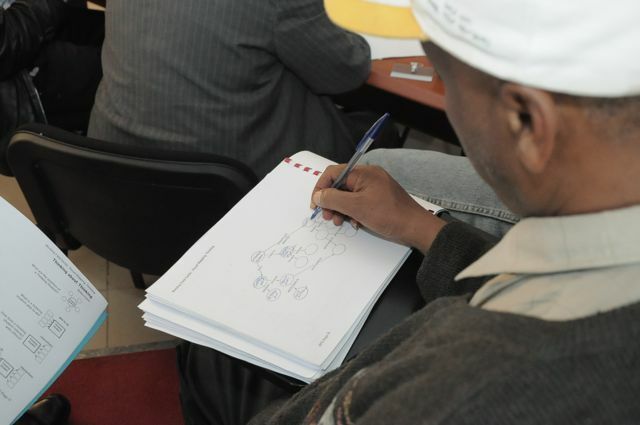 Resources and capacity in development are understood within existing structures as being only in the hands of industrialized nations. 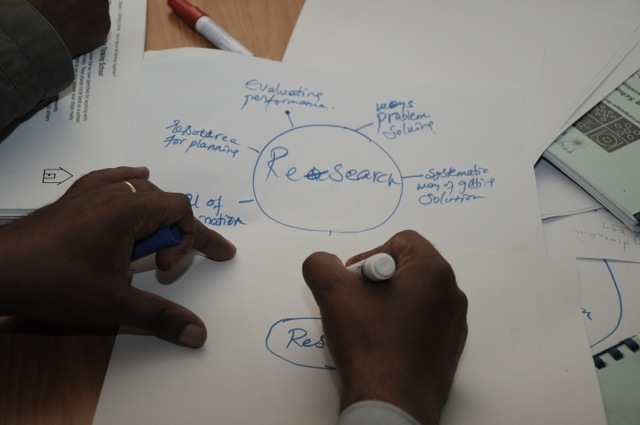 Human capacity for innovation and other human resources are overlooked or devalued. 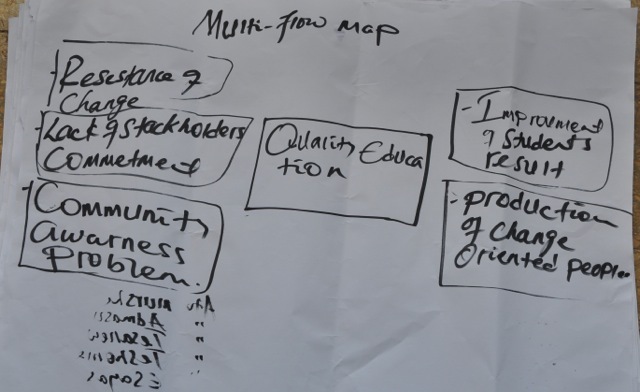 Multi-directional development shifts this assumption to one where all participants recognize their own capacity for aiding the others. 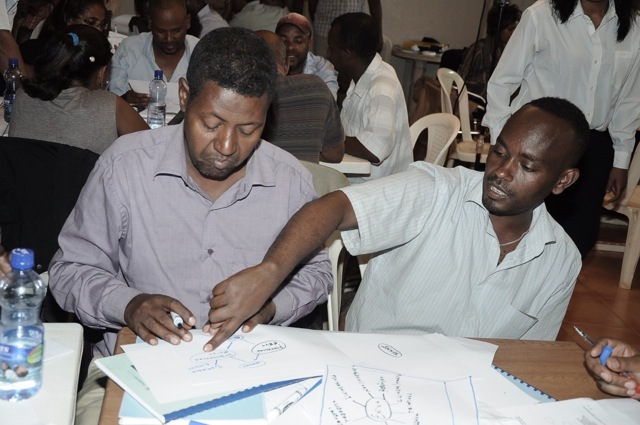 Expertise is surfaced, shared and translated to other contexts for each partner to use as they determine is appropriate. 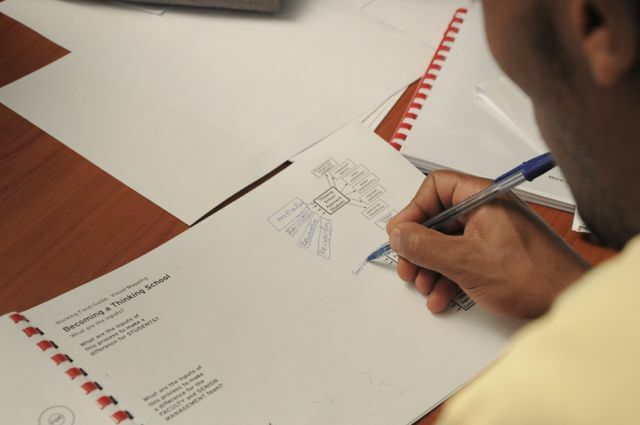 Examples might be environments, sustainability and leadership. 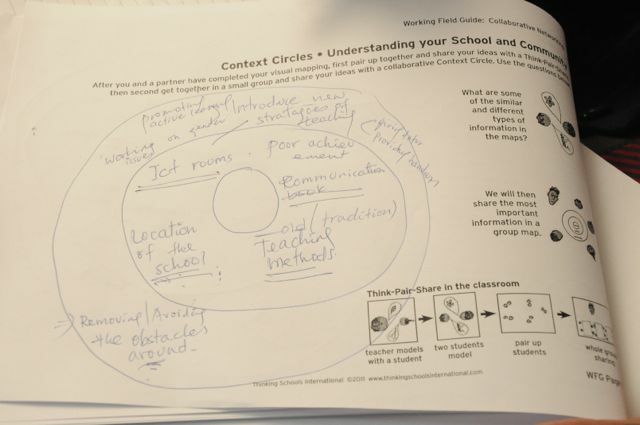 Creating Thinking Schools to improve how thinking happens within a school building for every student, teacher and leader. 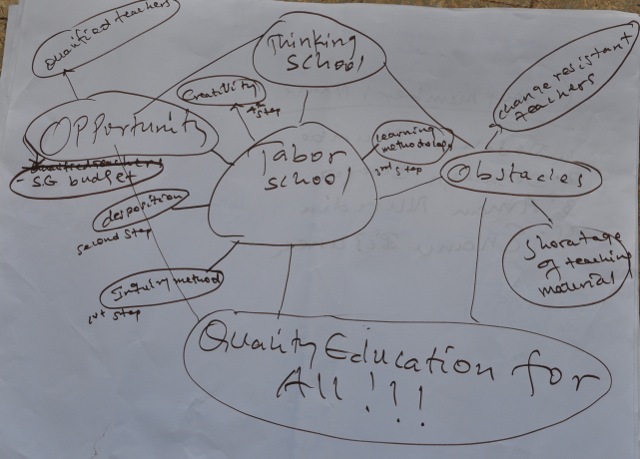 Thinking Schools Ethiopia will become a model in Ethiopia, and a framework for other countries to learn from and collaborate with. 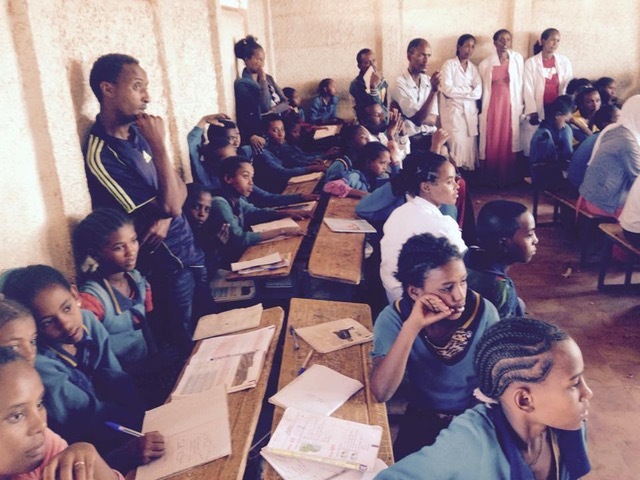 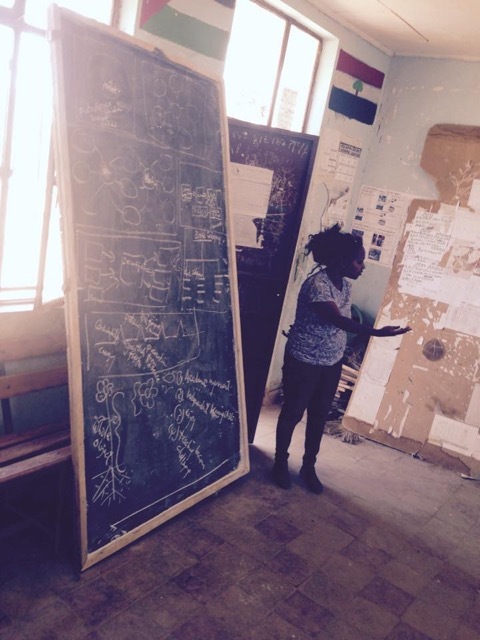 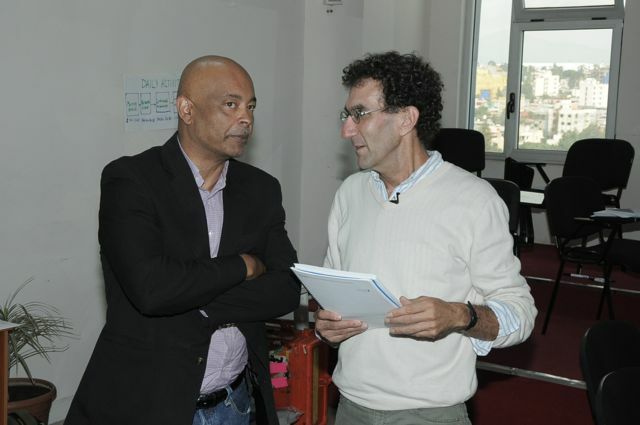 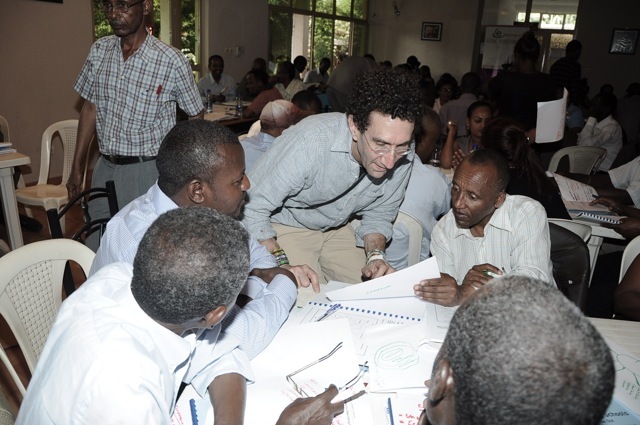 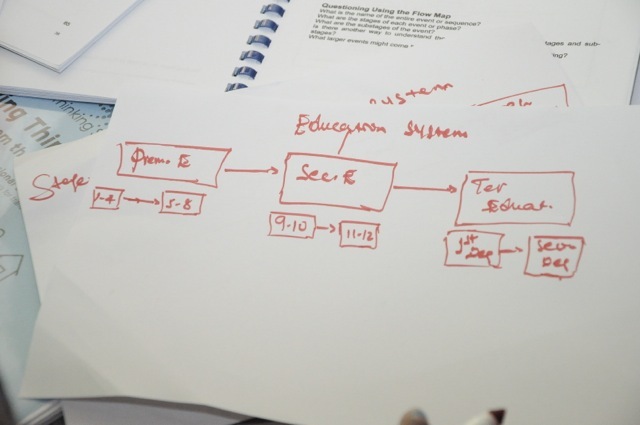 A major outcome is changing how we think about schools so we begin to see that designing Thinking Schools is within reach, and Ethiopia is a change agent for education reform. 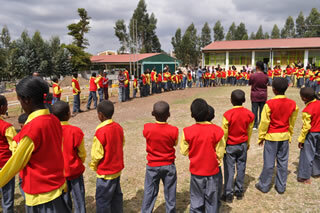 Impact Ethiopia with its unique place historically as a non-colonized African nation, changing views with increased investment on education, and current growing economy, is poised to be a model of educational change in a large country. 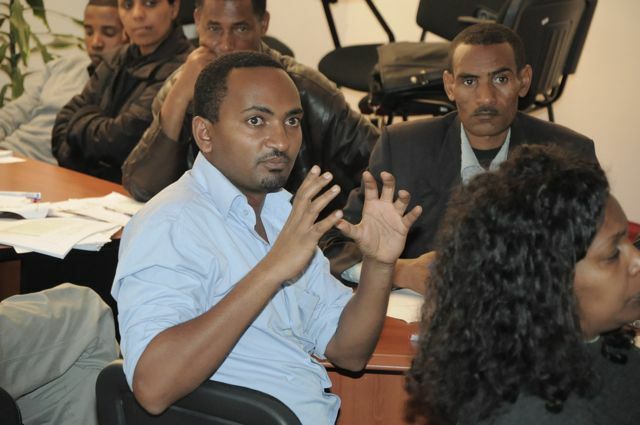 Far Reaching In our growing global economy, Ethiopia can connect and excel in the world as a collaborative model within Ethiopia and beyond its borders. 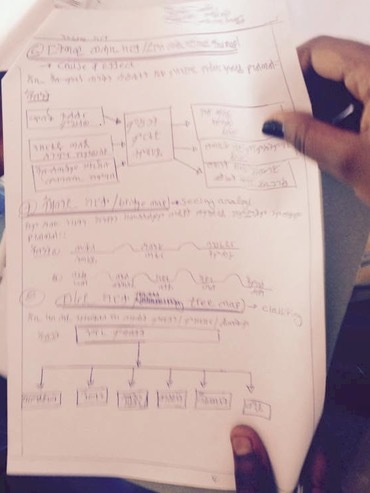 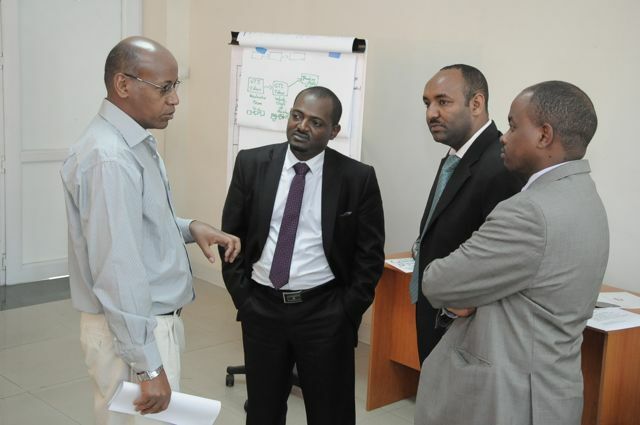 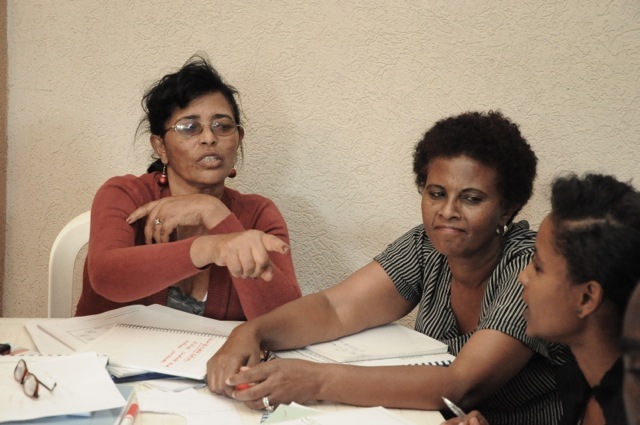 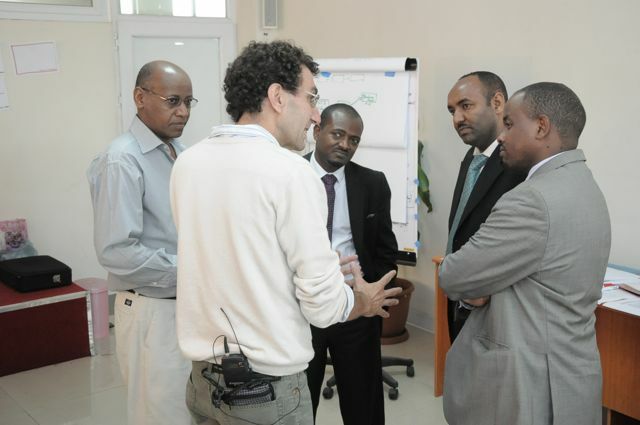 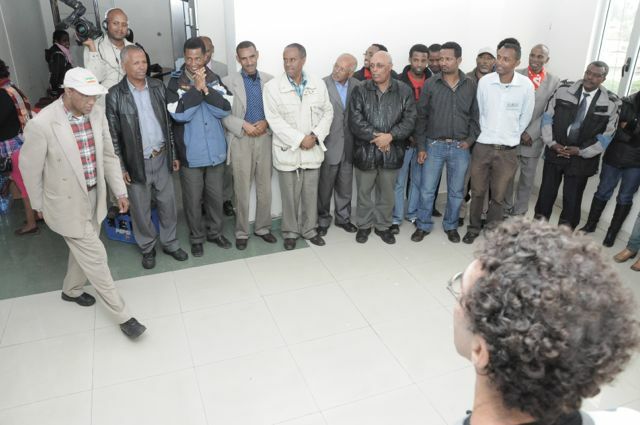 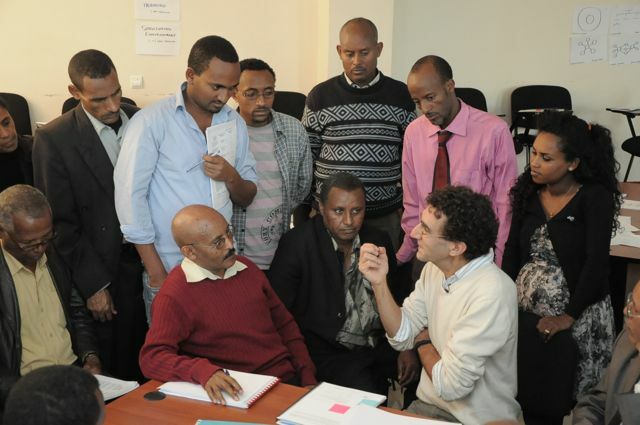 Ethiopian teachers can use model technologies that support collaborations with Thinking Schools including initiatives in Brazil, UK, South Africa, India, USA, Norway and other countries. 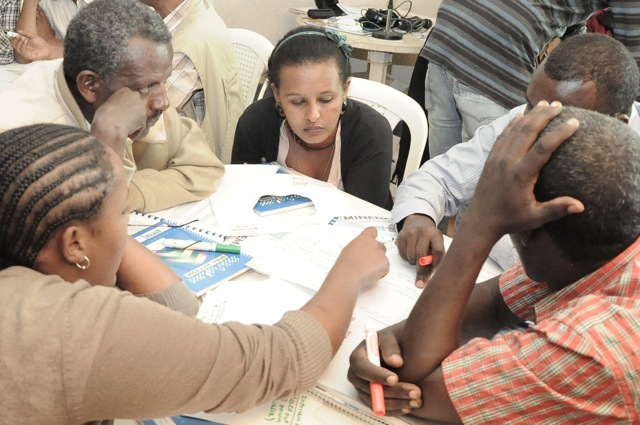 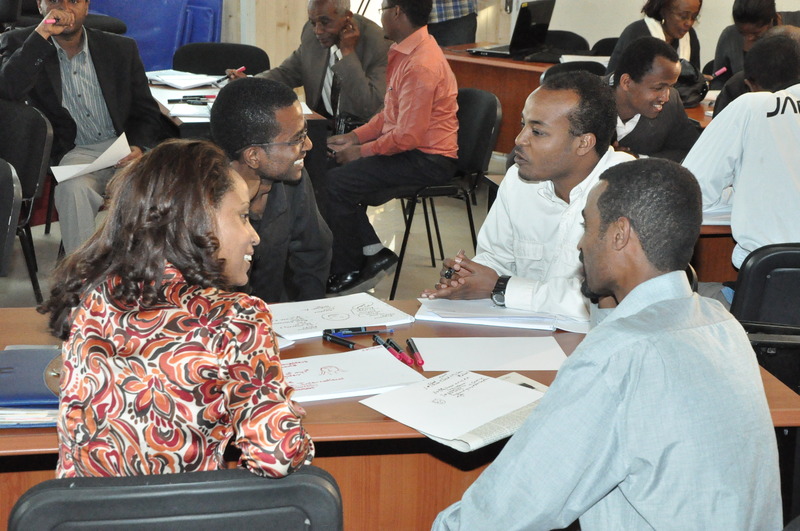 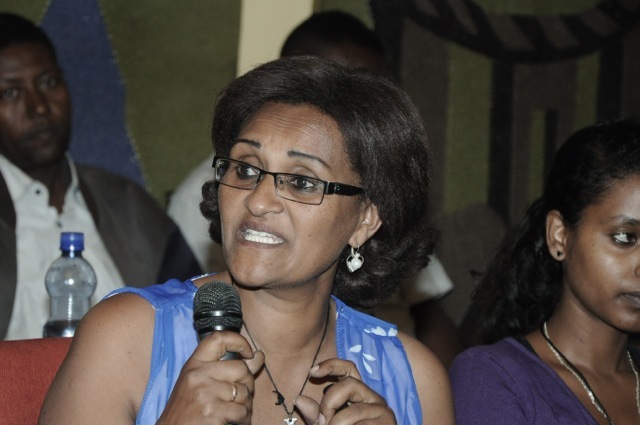 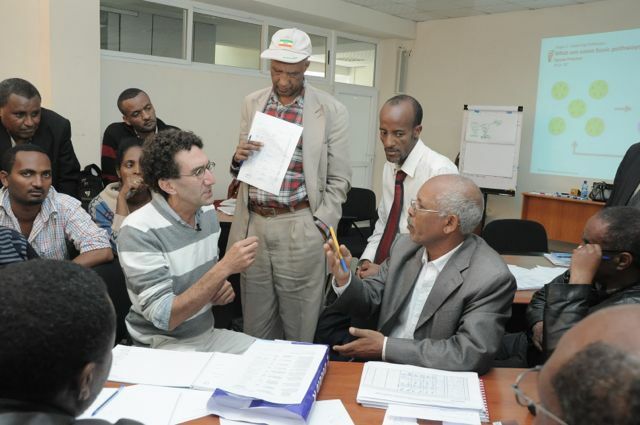 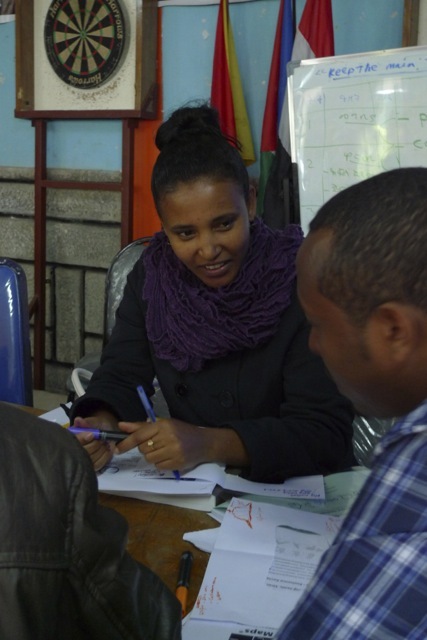 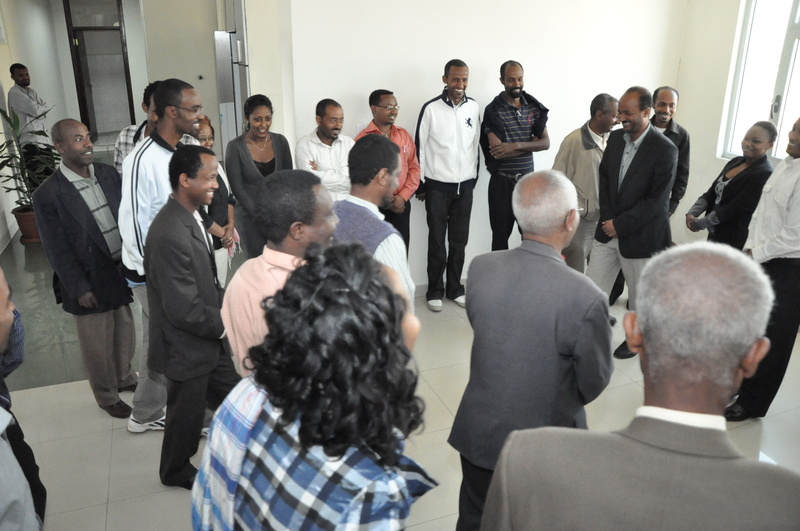 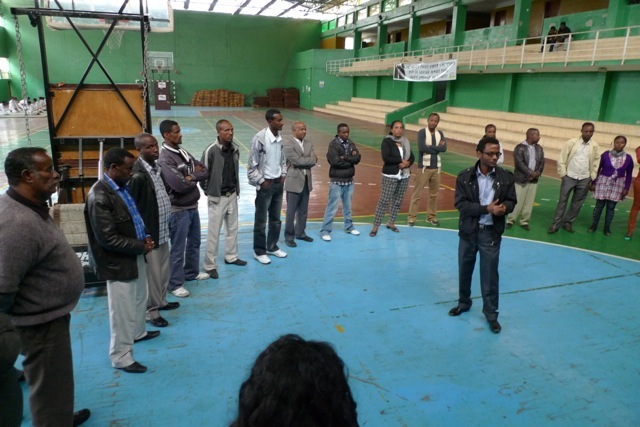 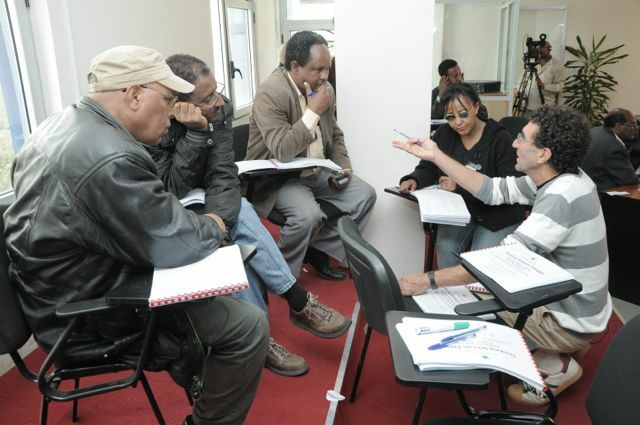 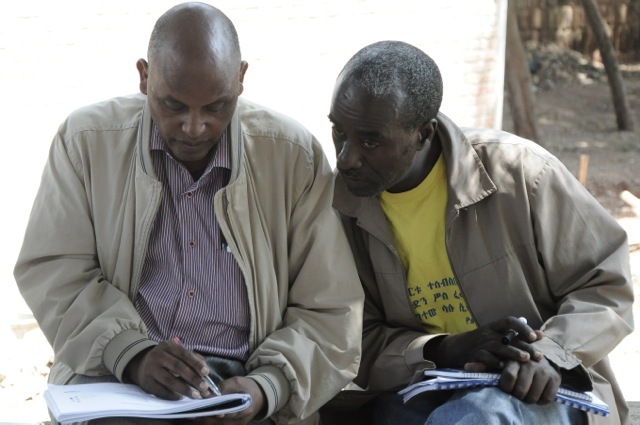 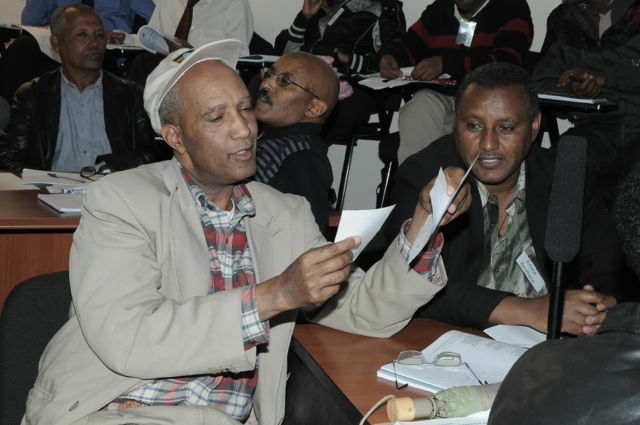 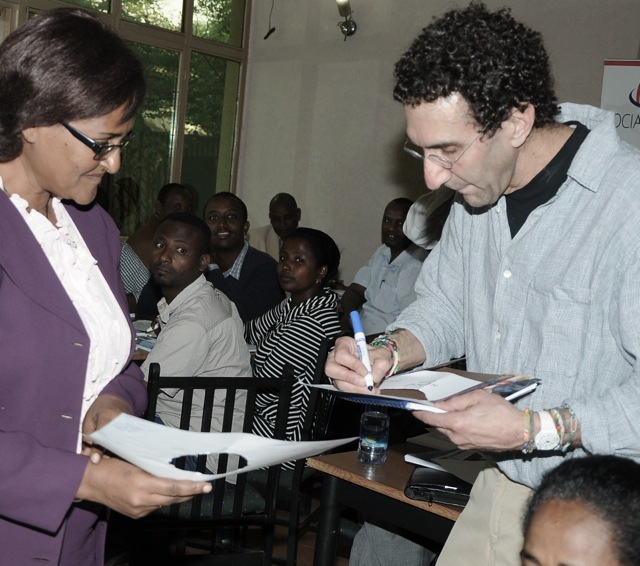 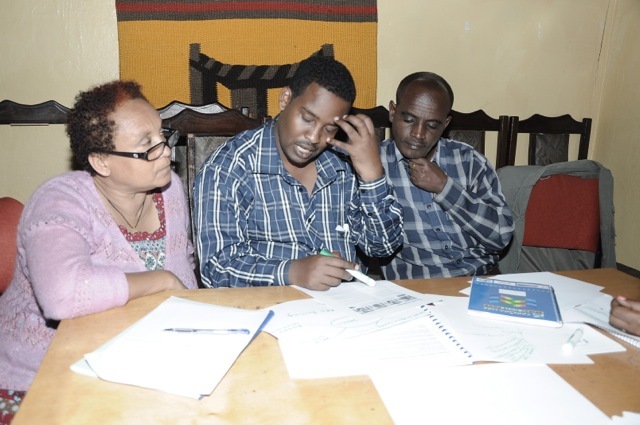 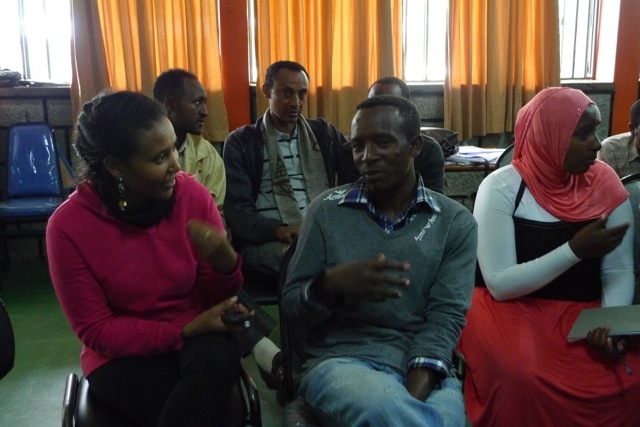 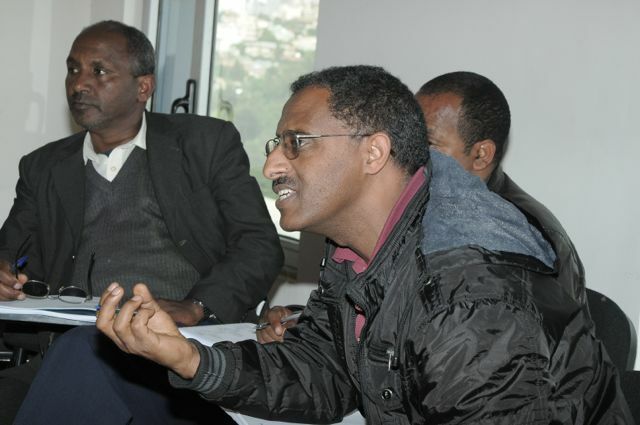 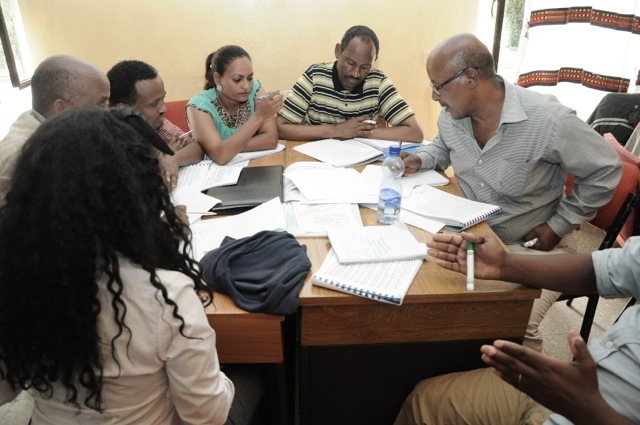 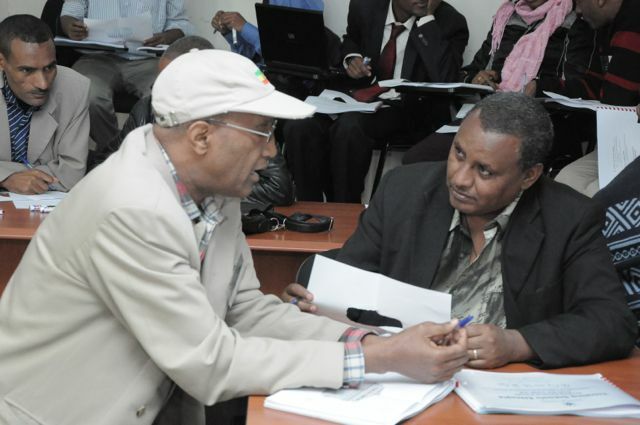 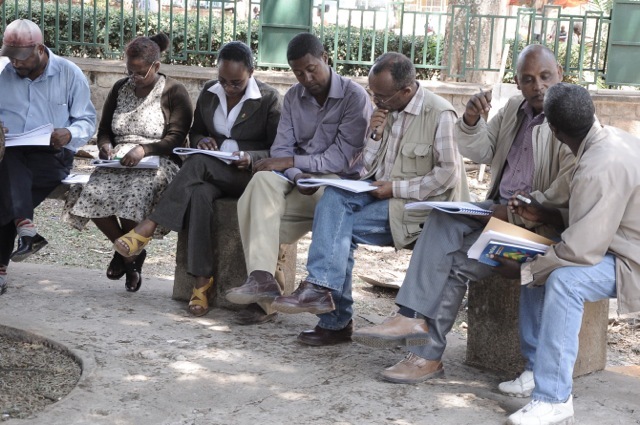 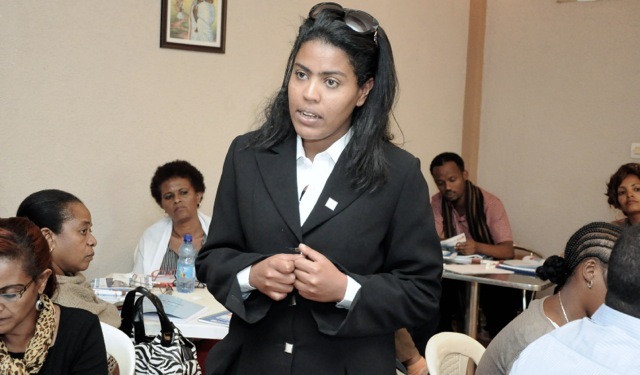 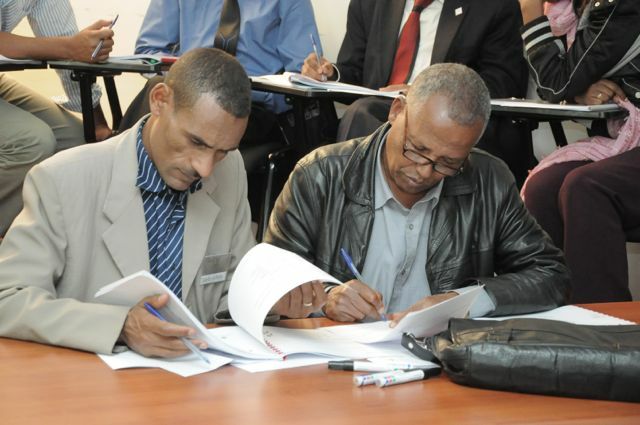 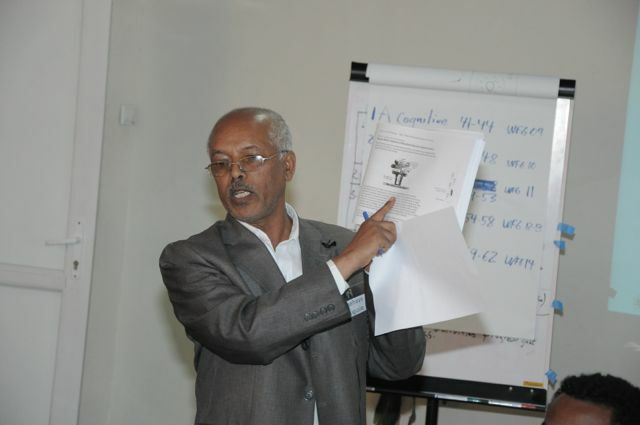 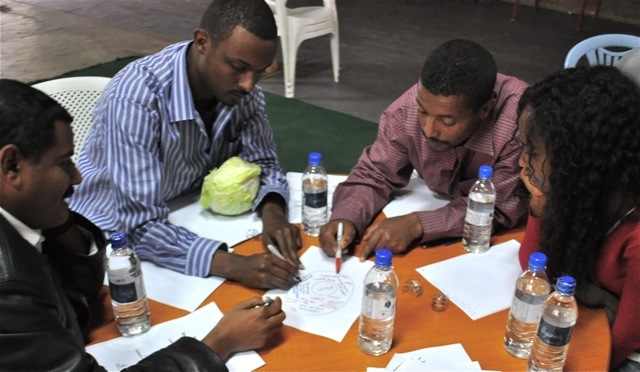 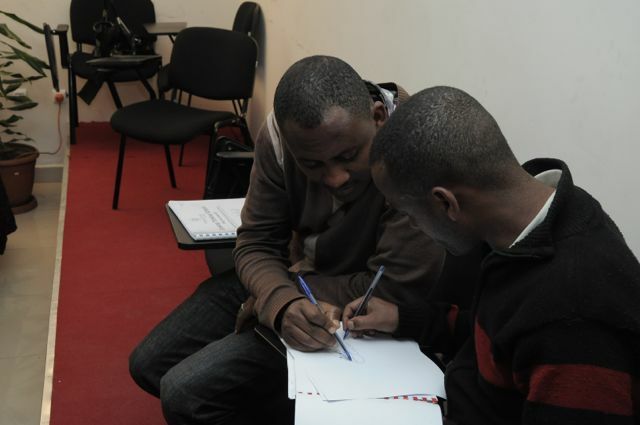 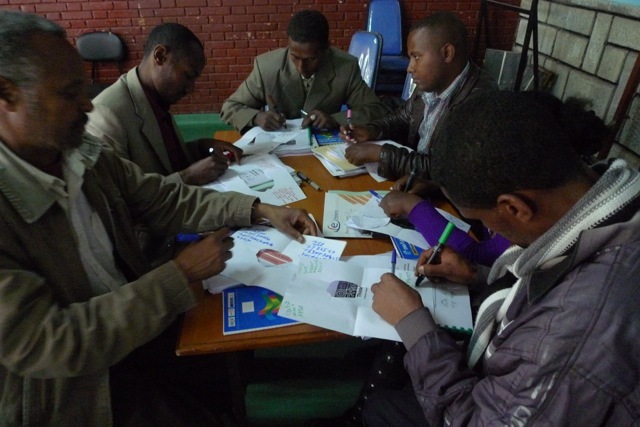 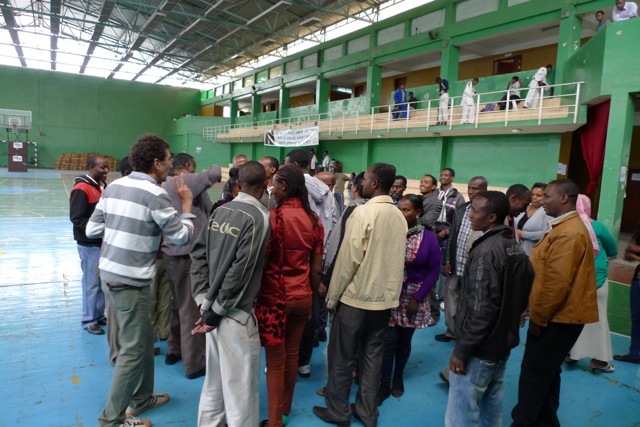 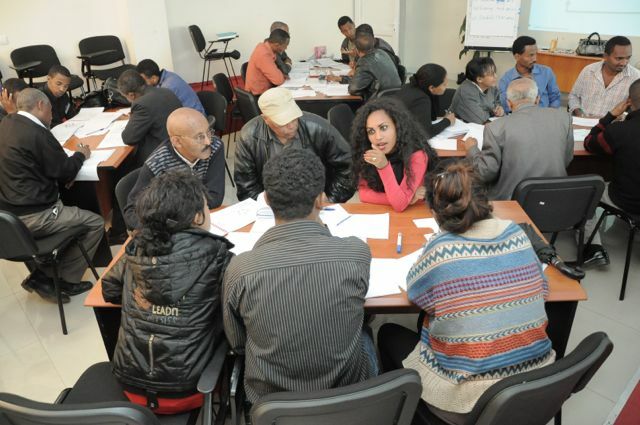 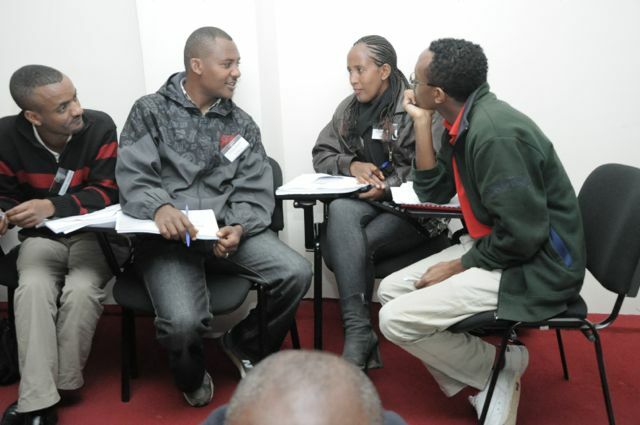 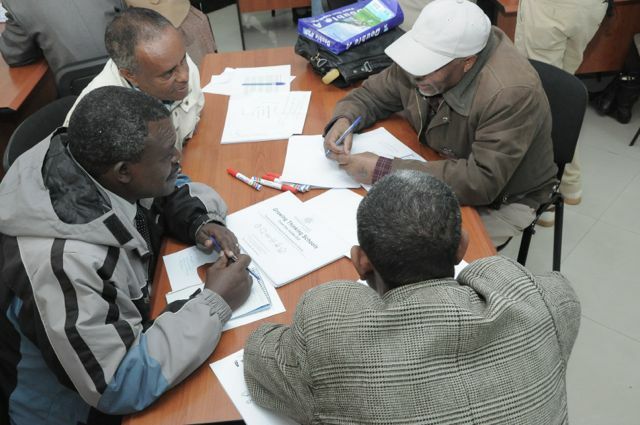 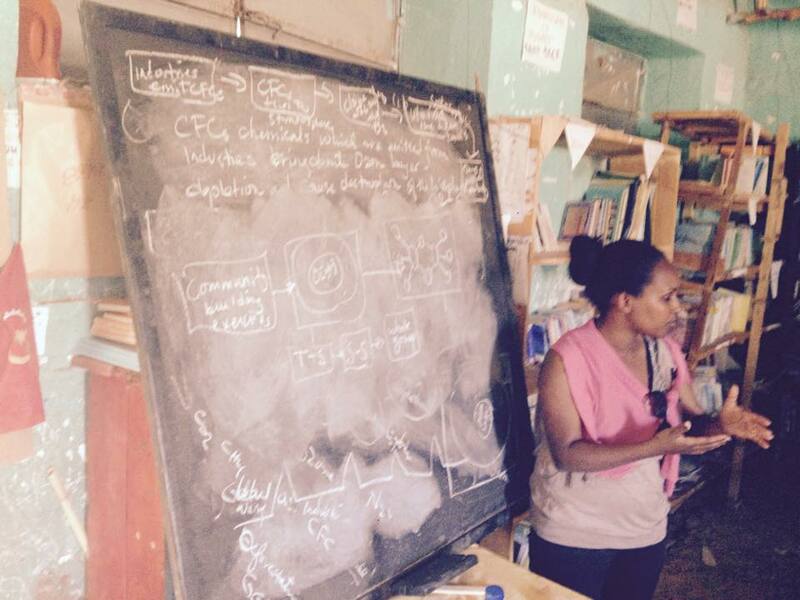 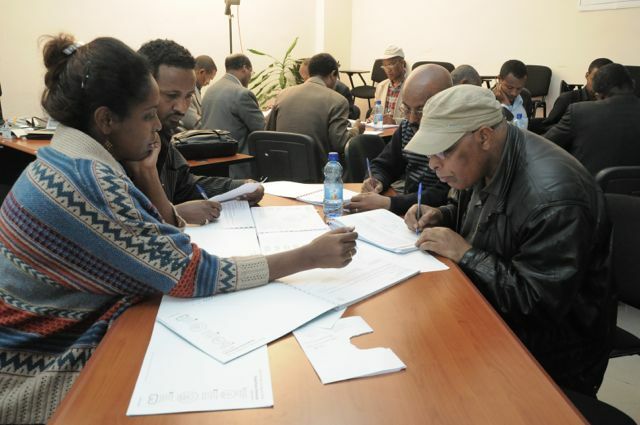 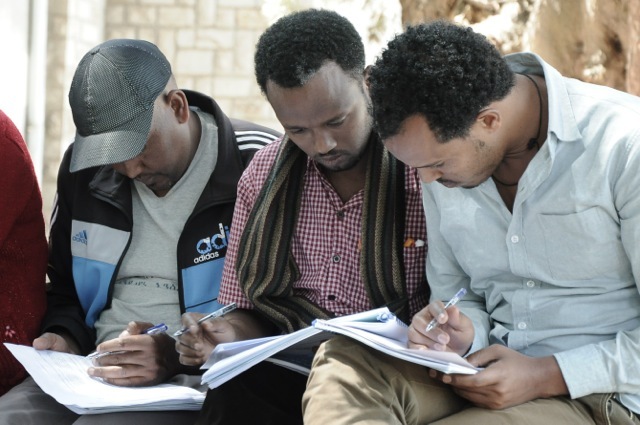 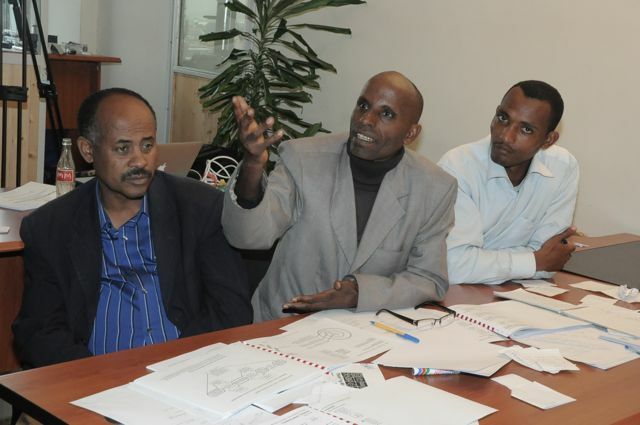 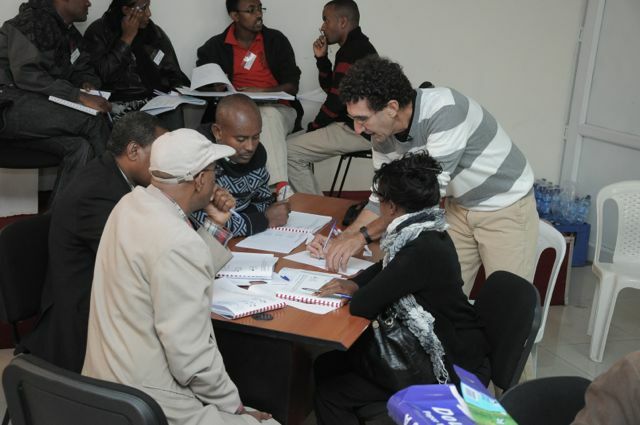 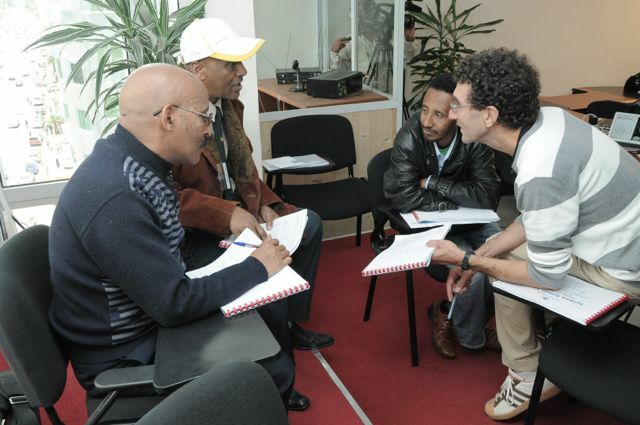 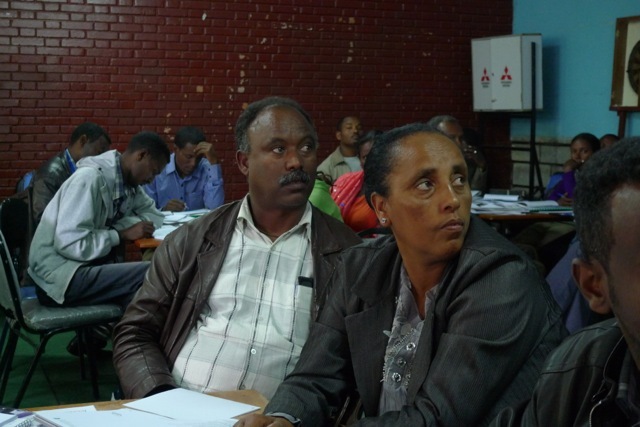 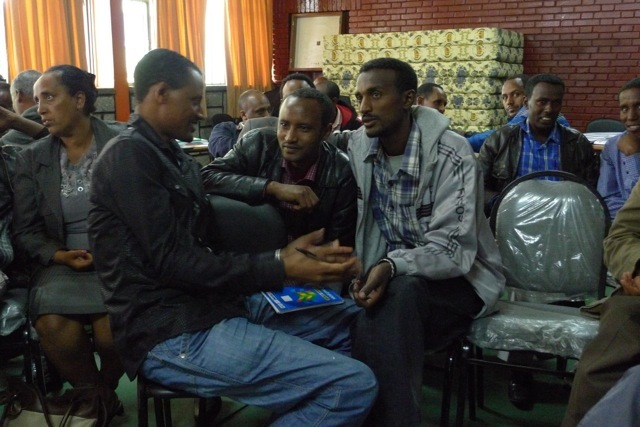 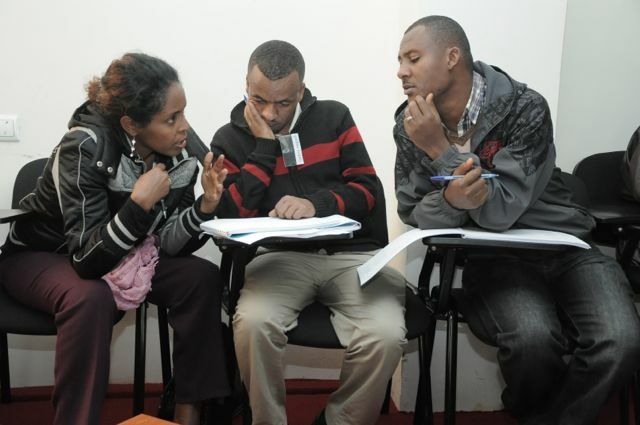 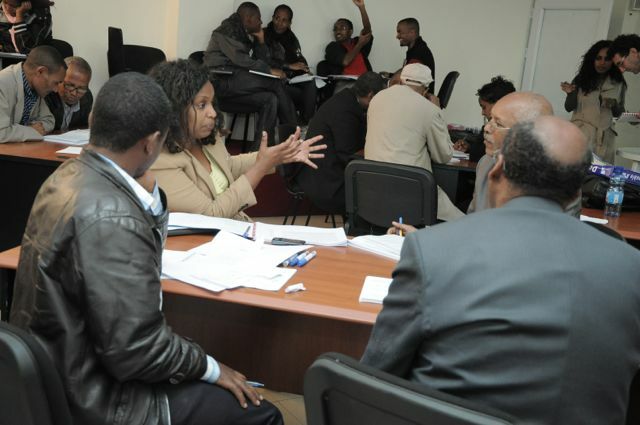 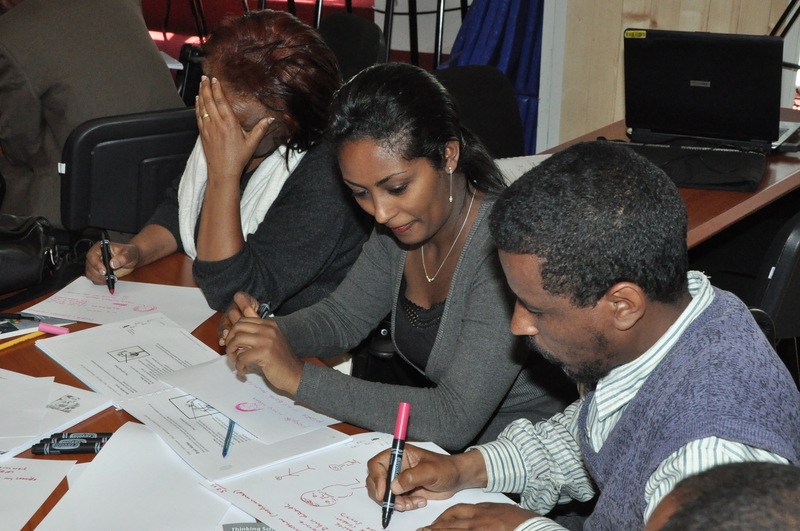 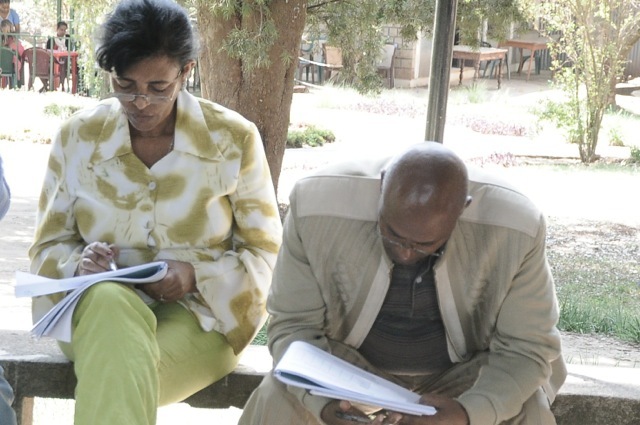 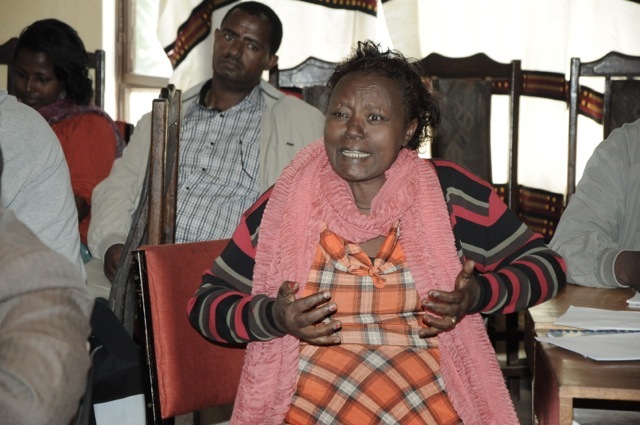 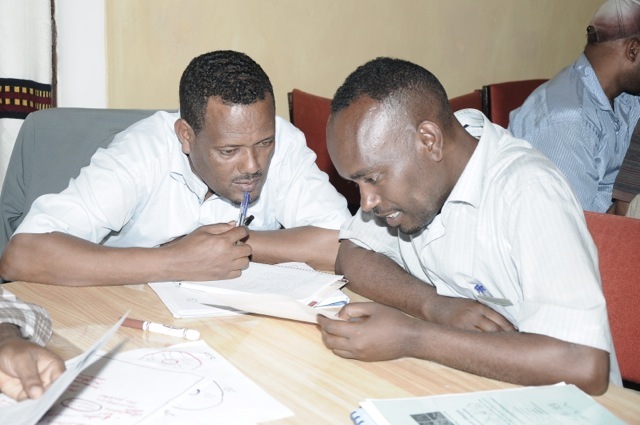 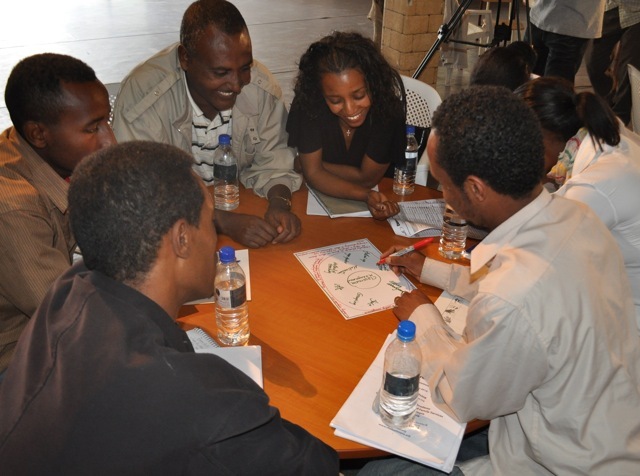 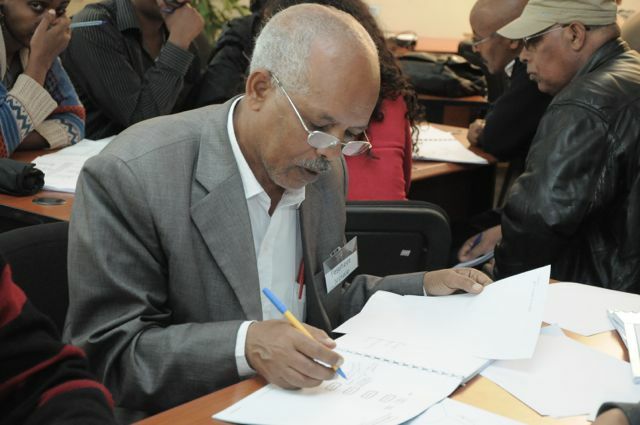 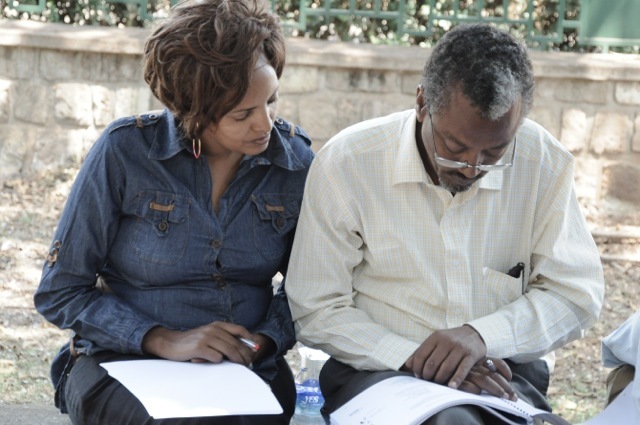 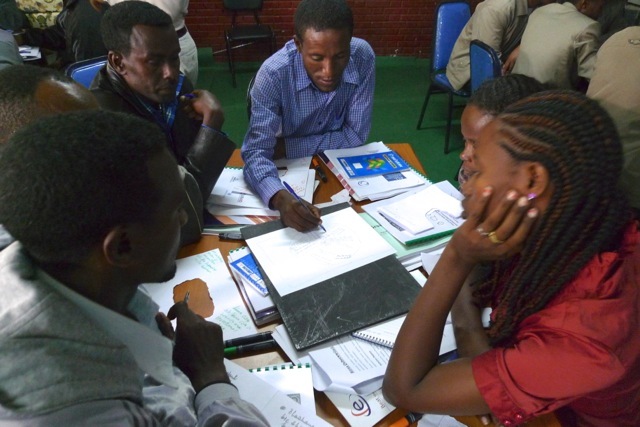 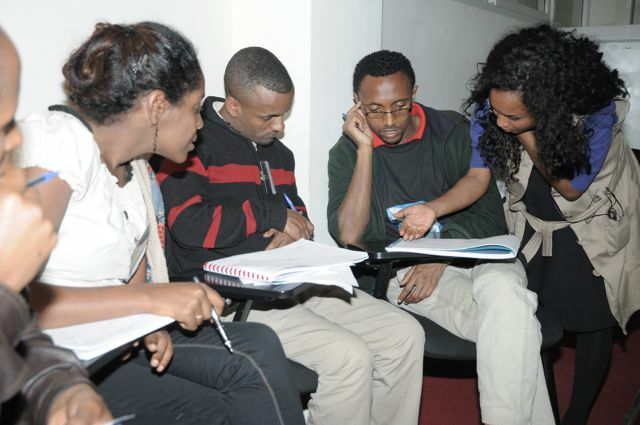 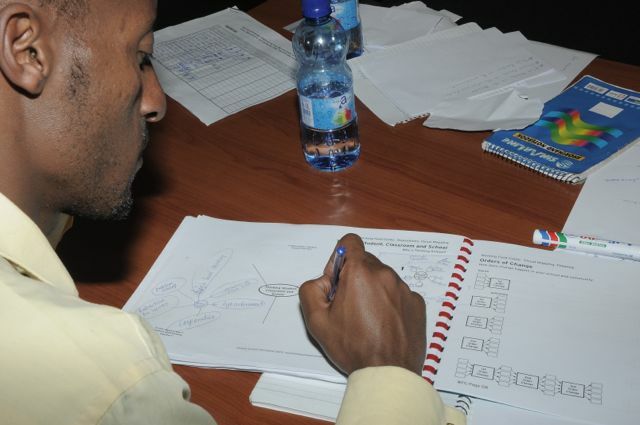 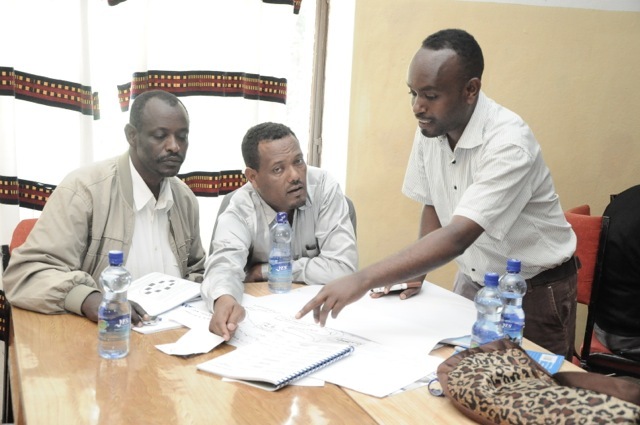 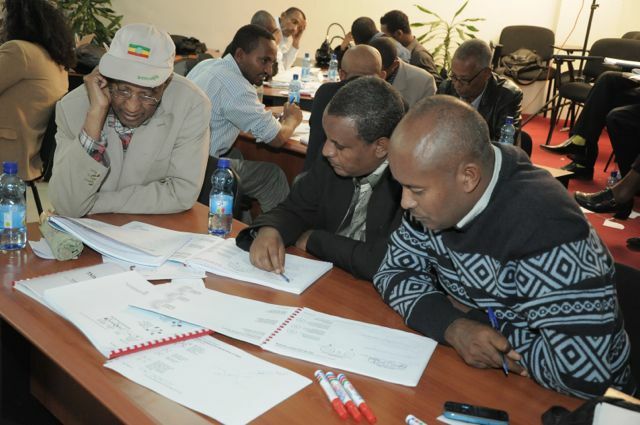 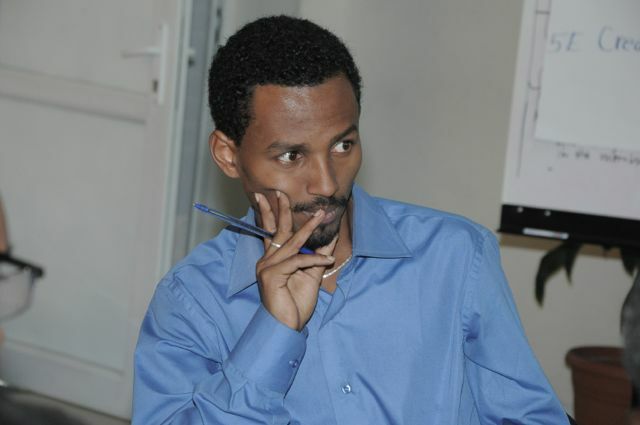 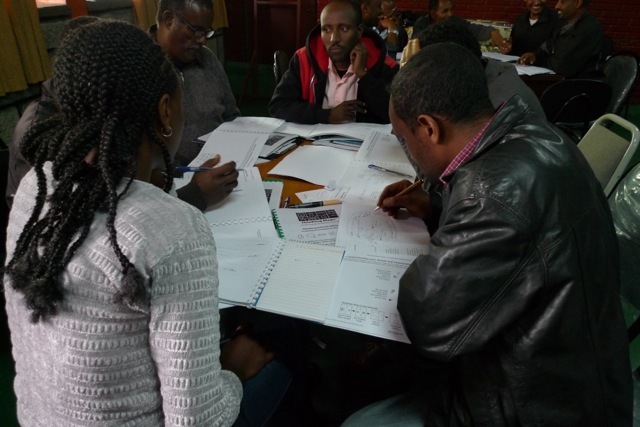 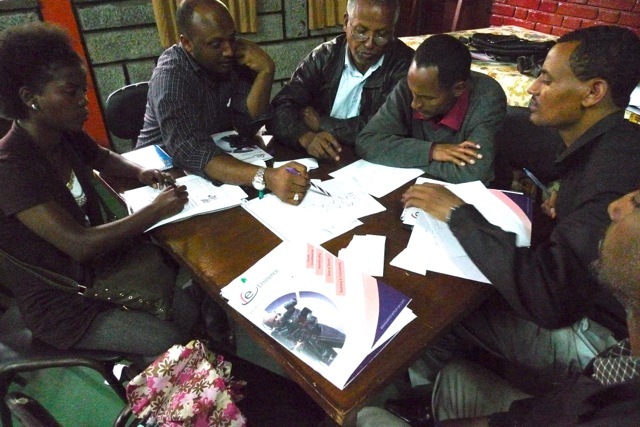 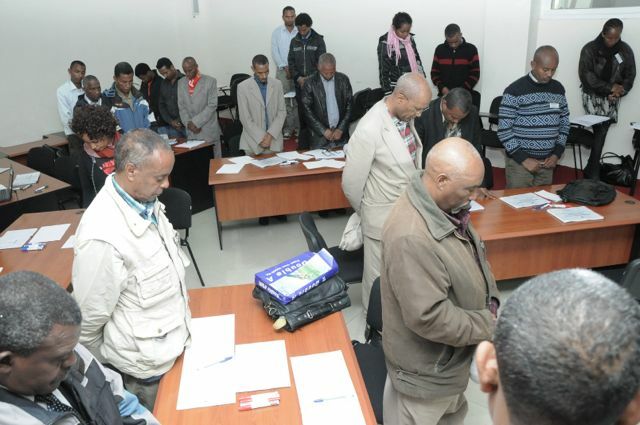 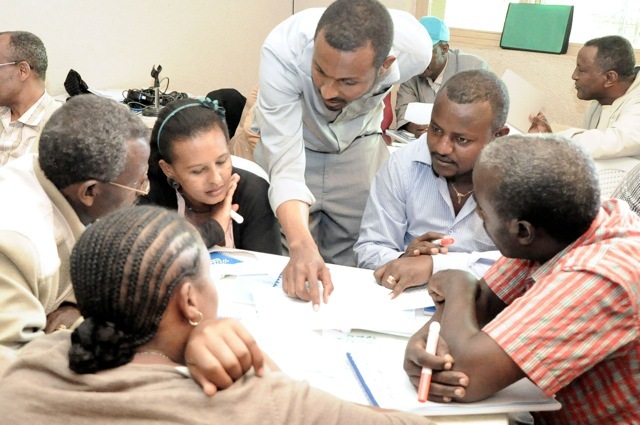 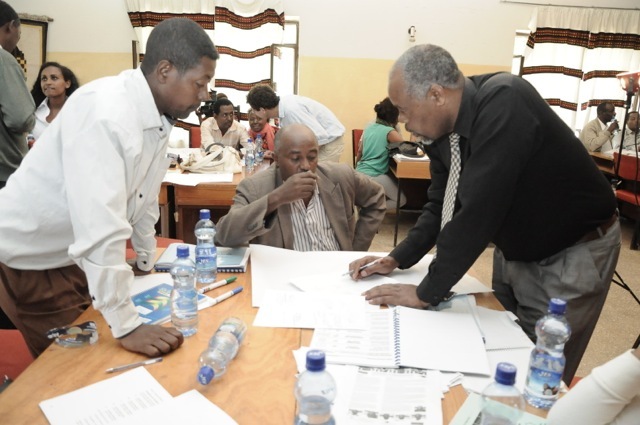 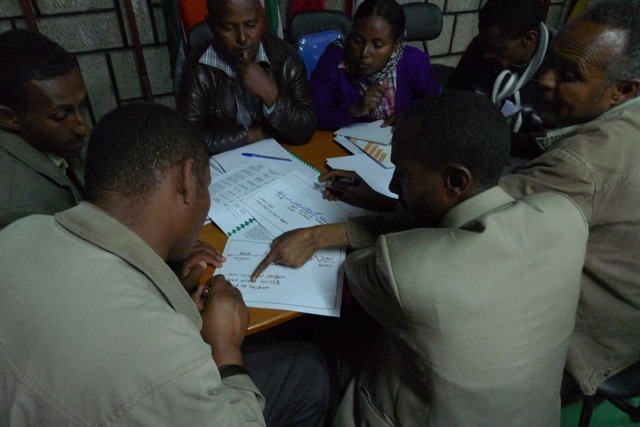 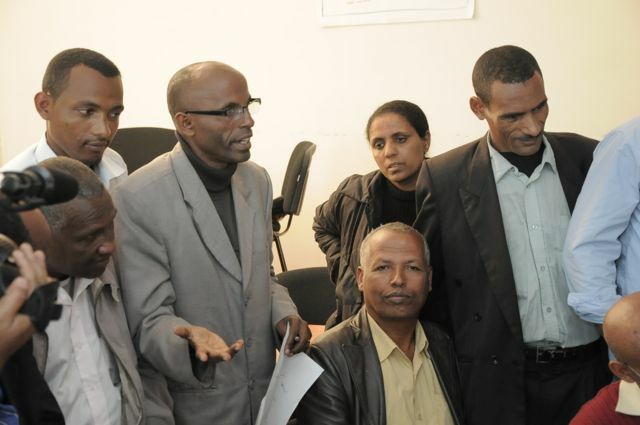 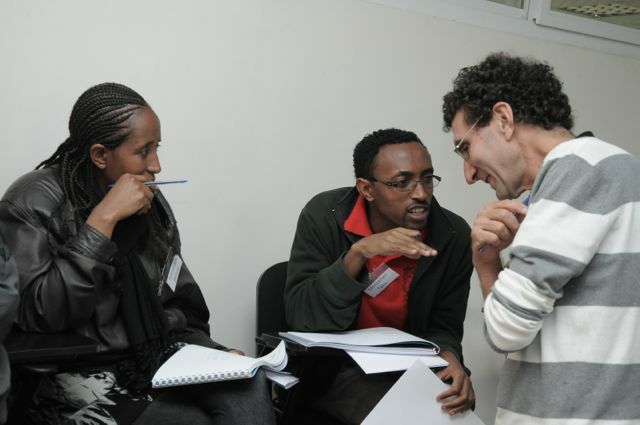 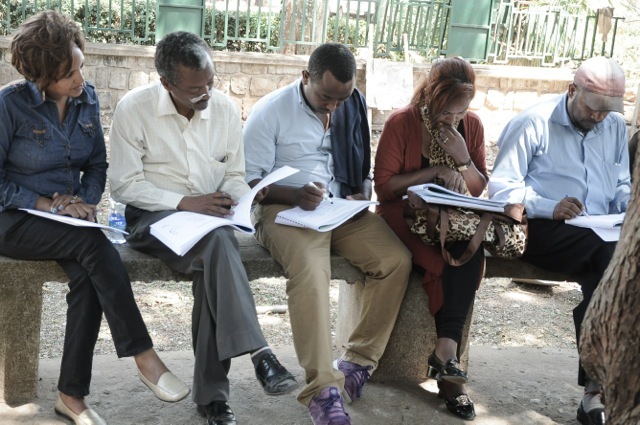 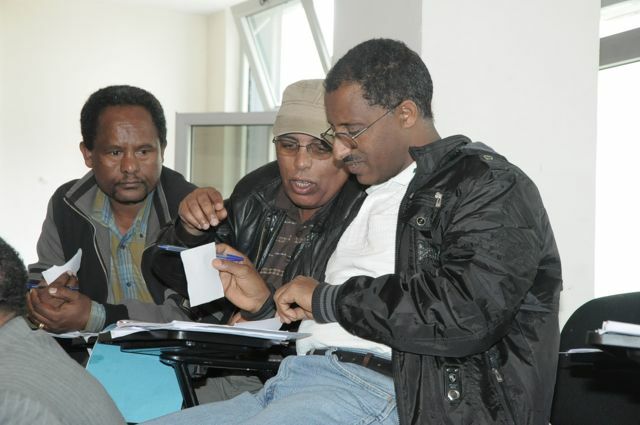 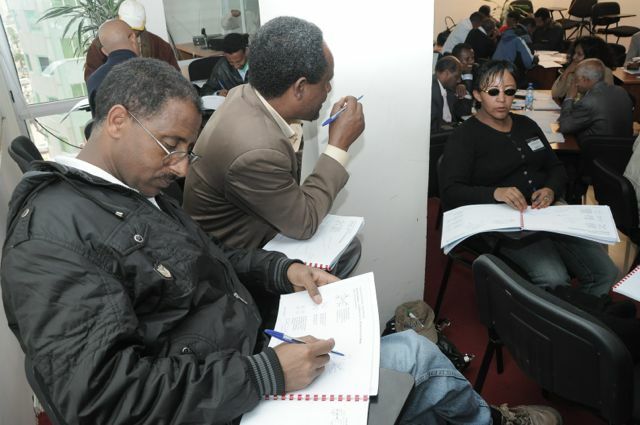 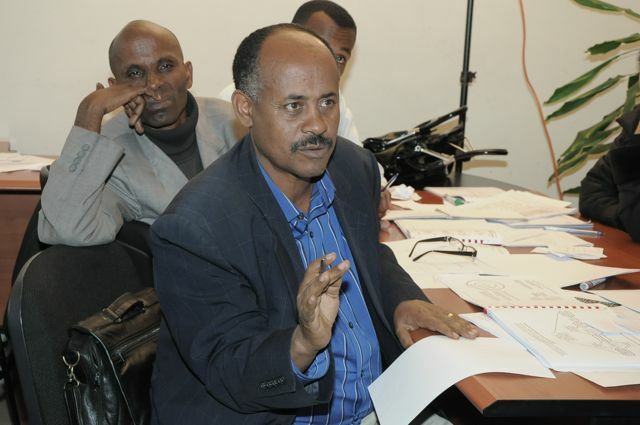 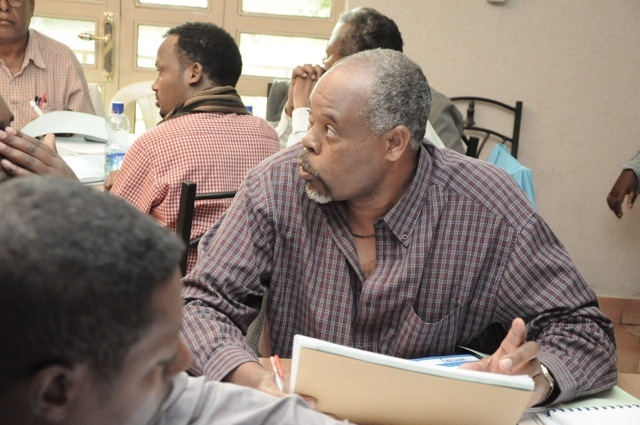 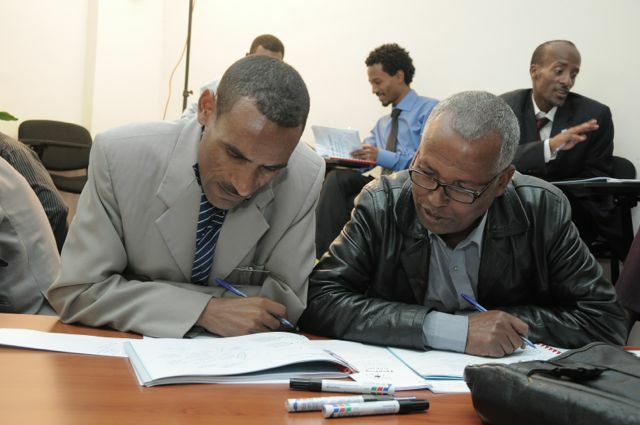 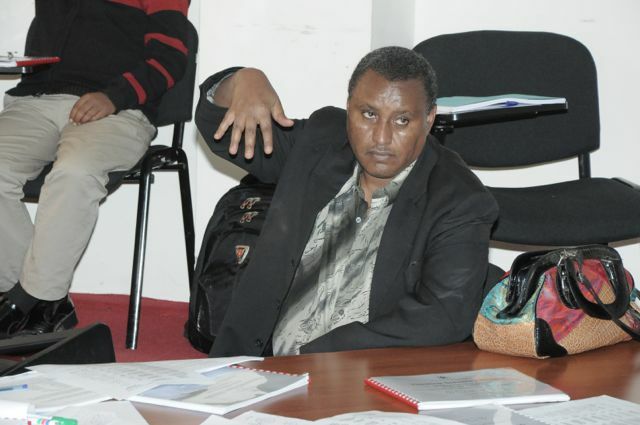 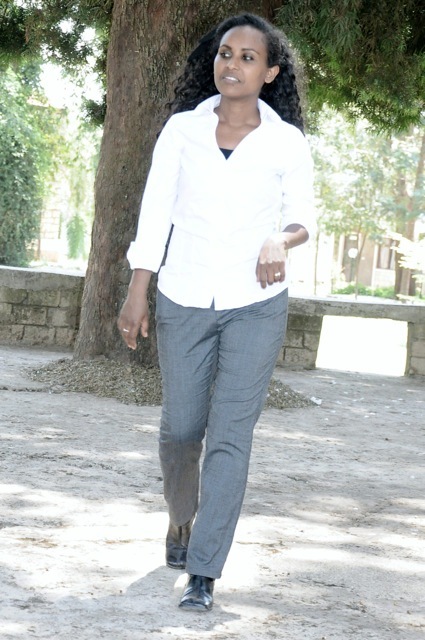 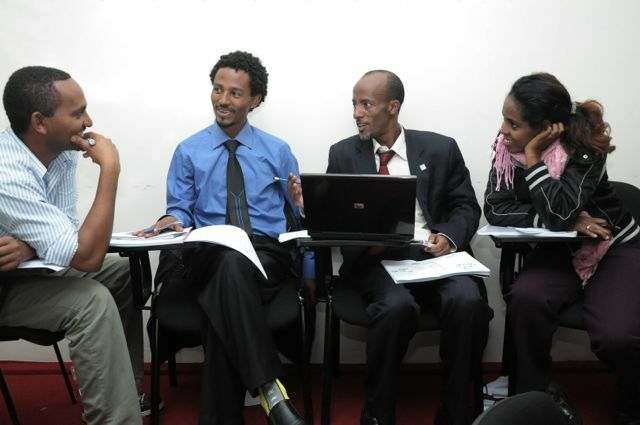 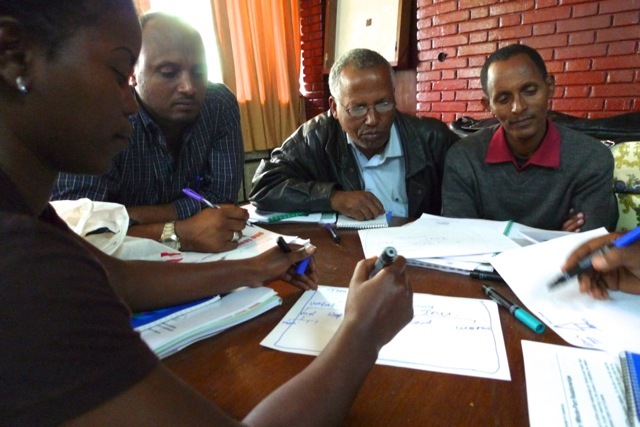 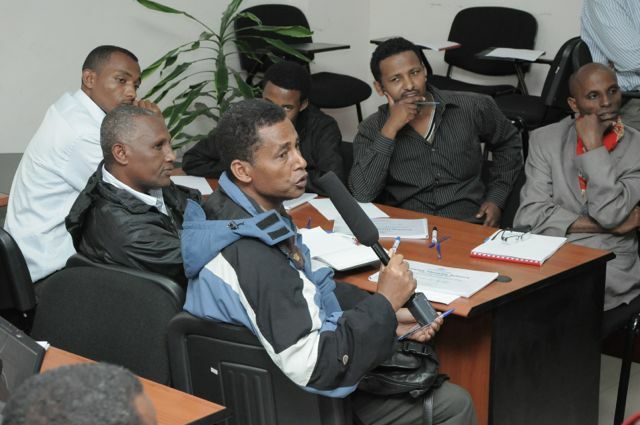 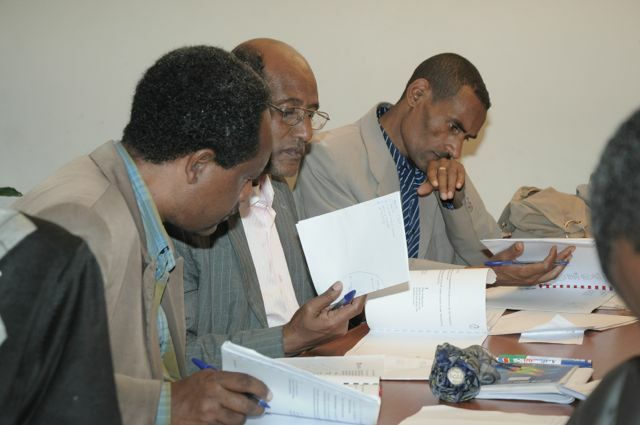 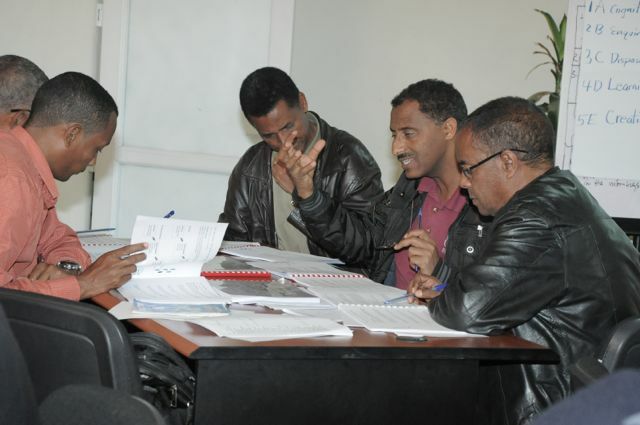 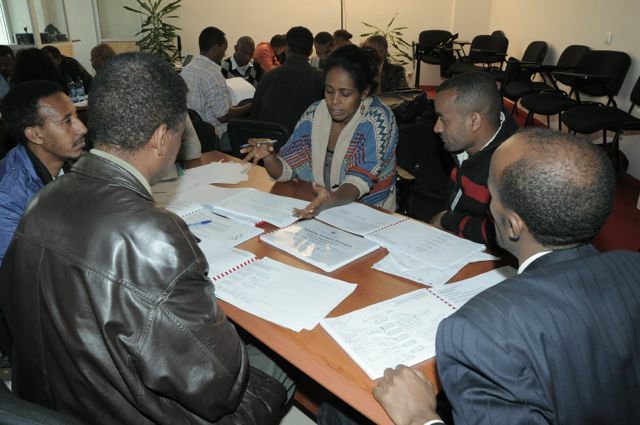 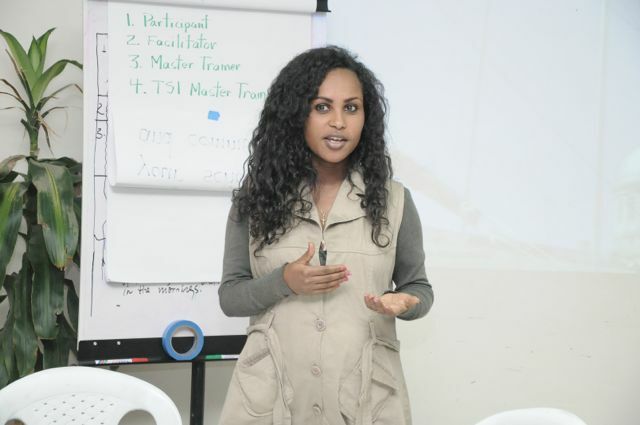 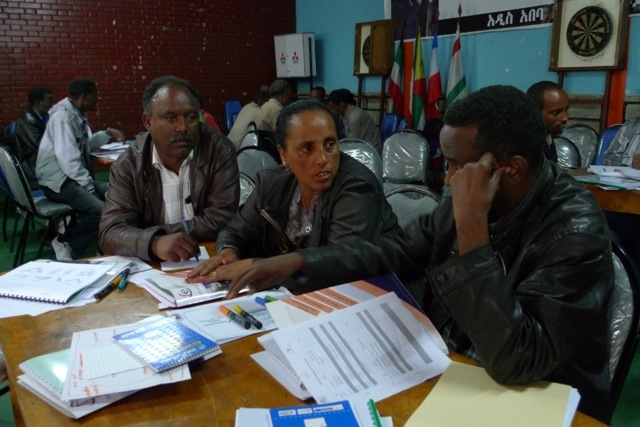 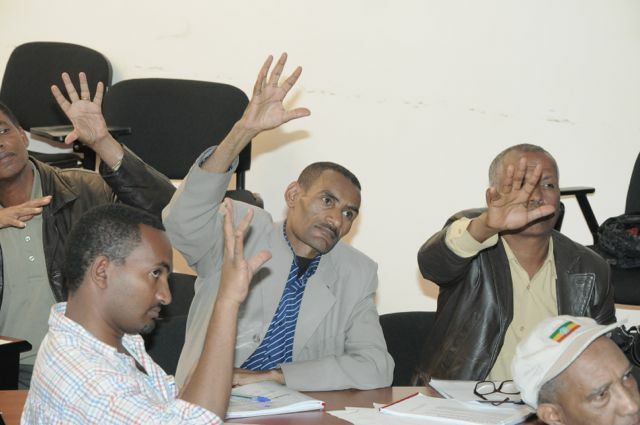 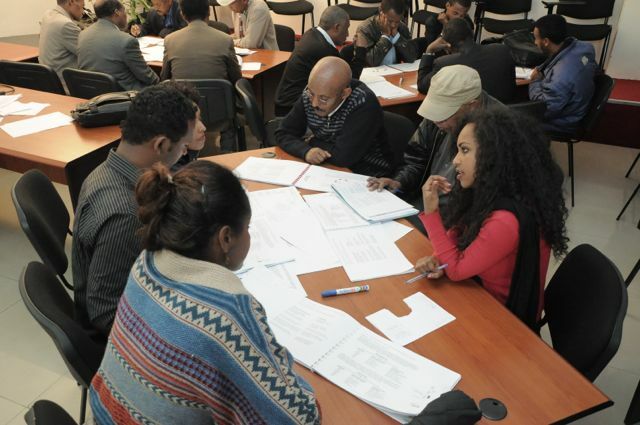 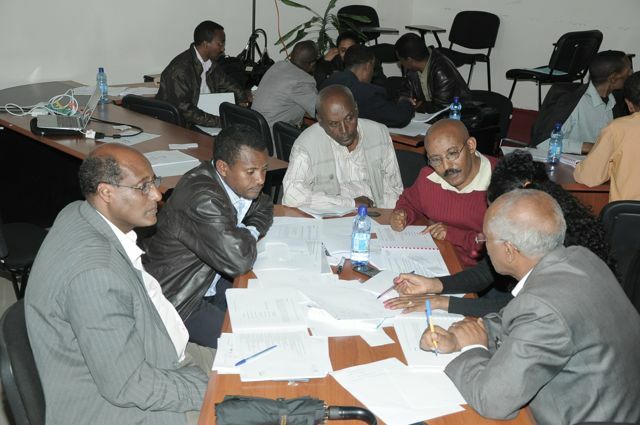 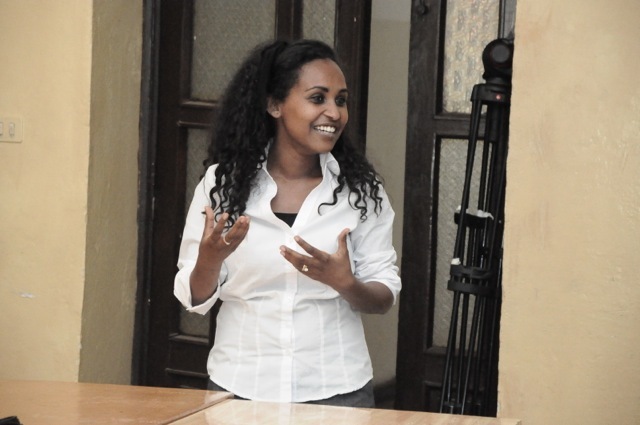 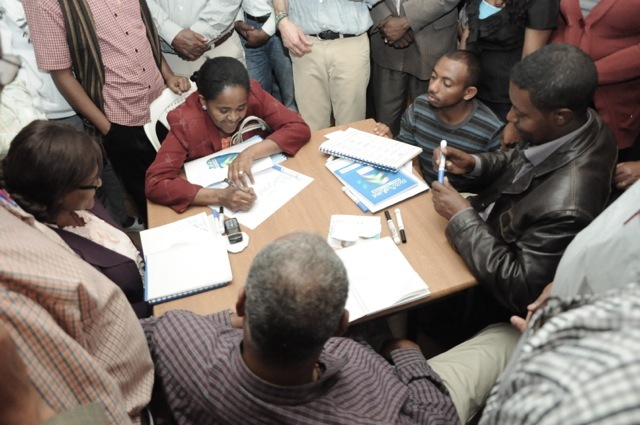 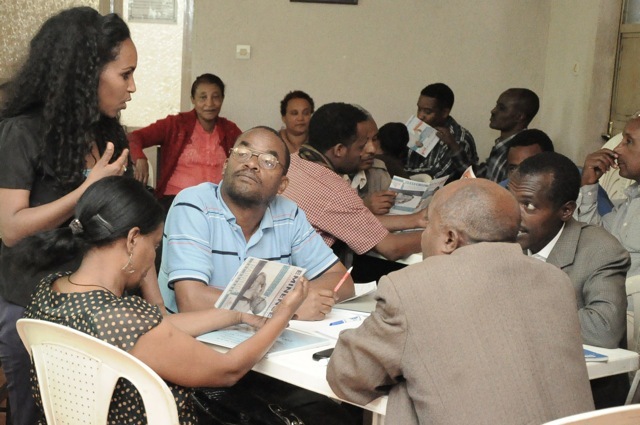 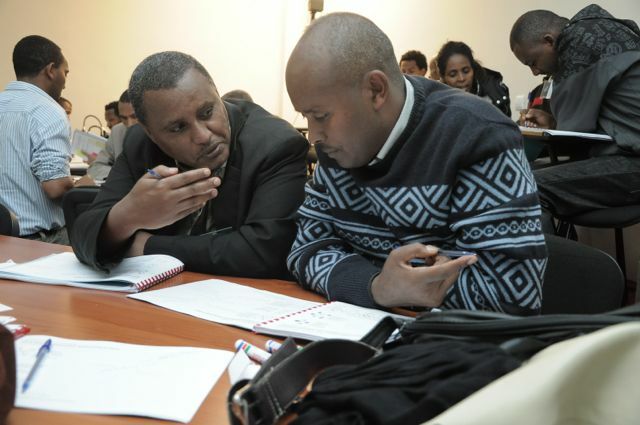 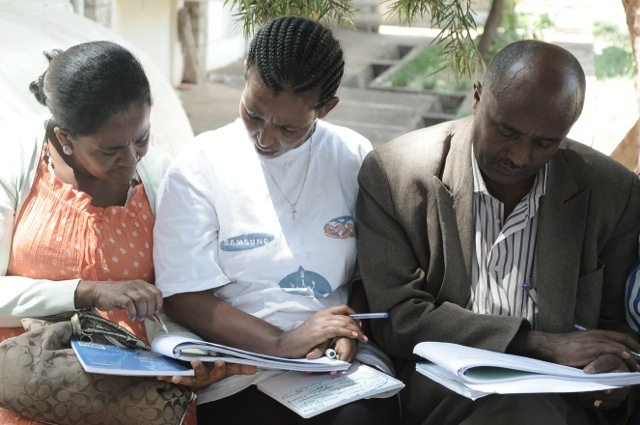 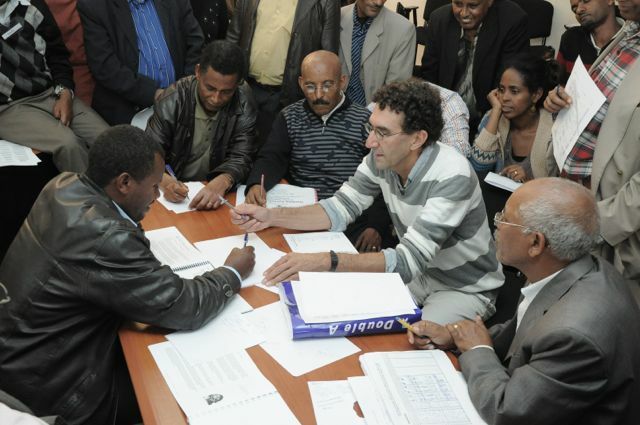 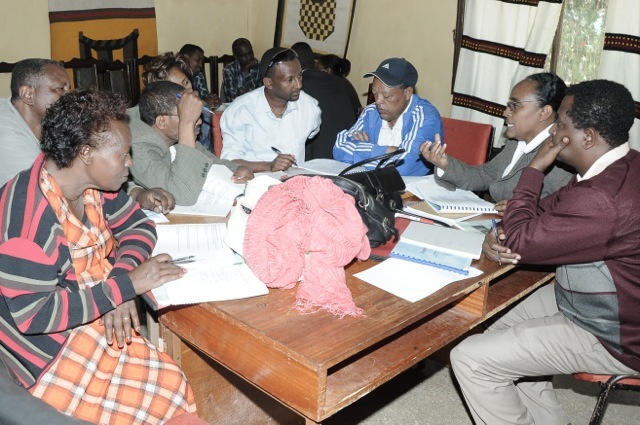 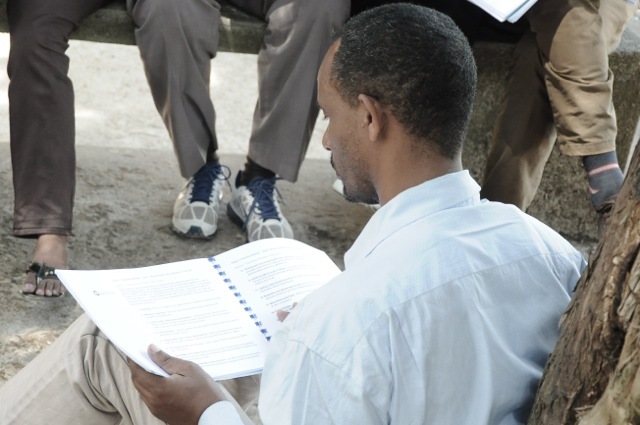 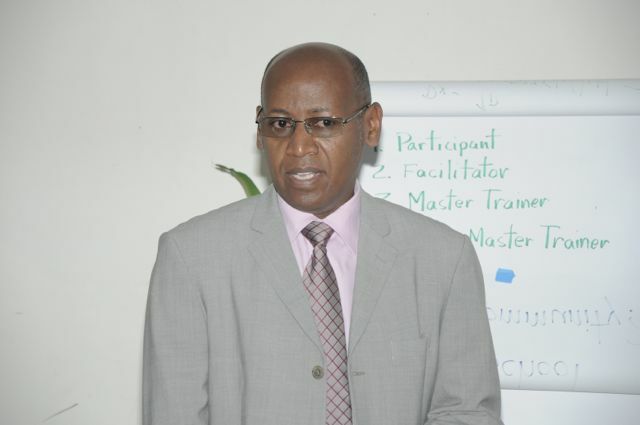 Sustainable The trainers and research will grow from educators in the Ethiopian classrooms with Ethiopian teachers the bedrock of training their peers. 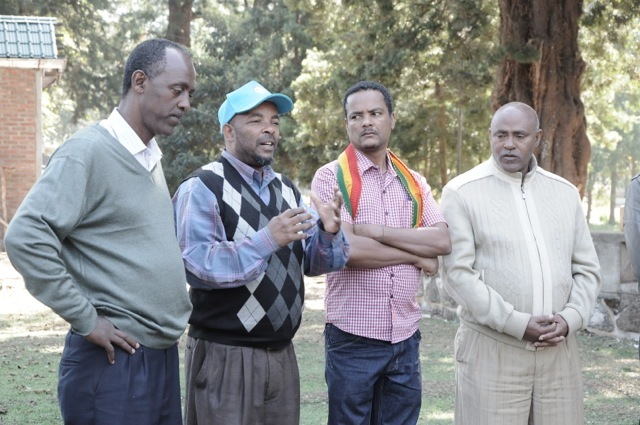 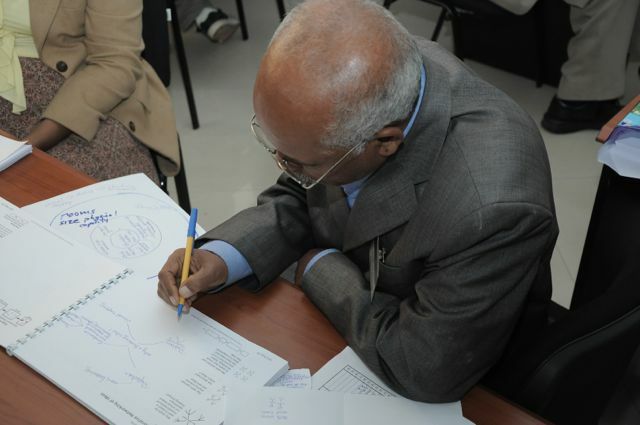 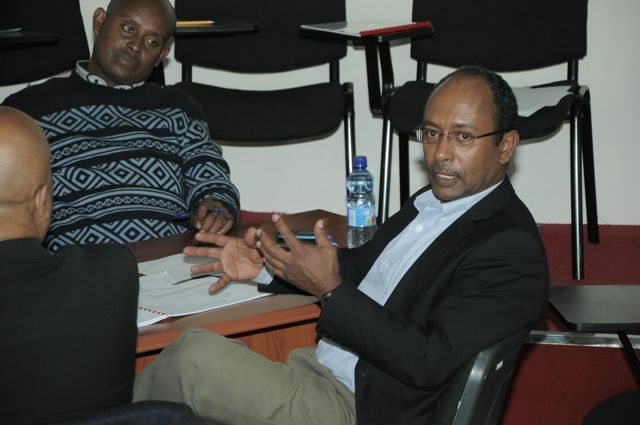 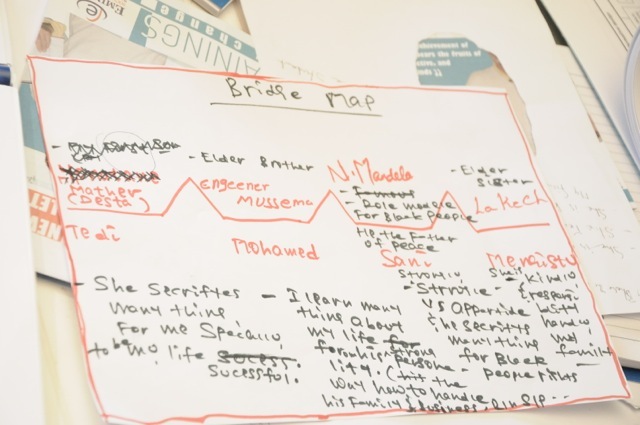 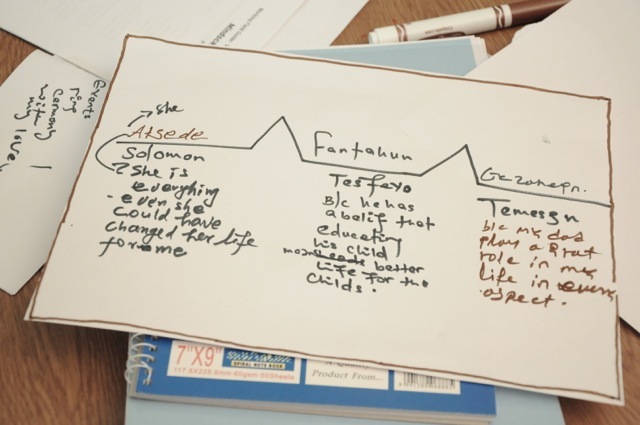 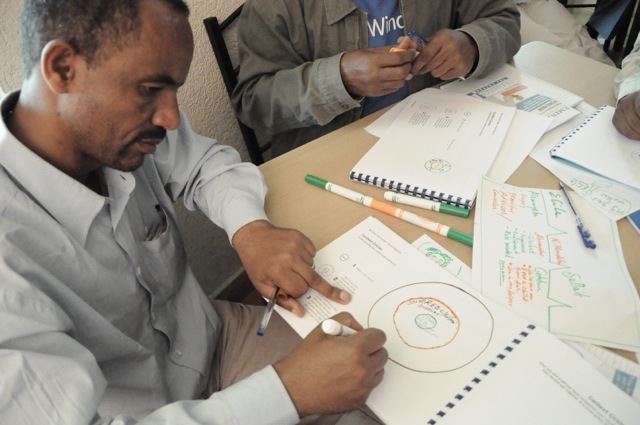 The Thinking Schools model will ultimately embrace how humans think cognitively within an Ethiopian cultural context led by teachers and leaders in Ethiopia. 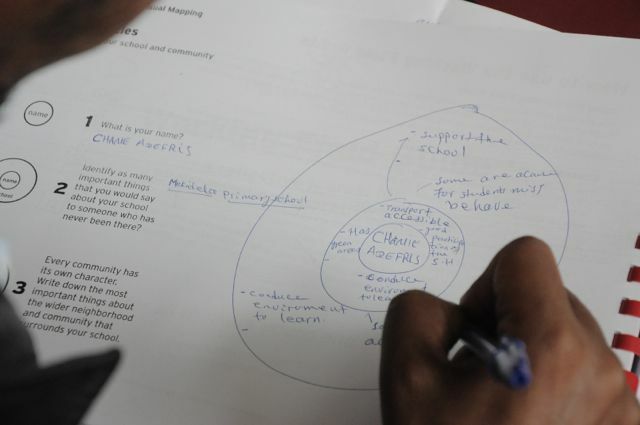 Assessment There will be four key areas of assessment including: ethnographic observation; interviews with students, teachers, and leaders; evaluation of student work; and test scores. 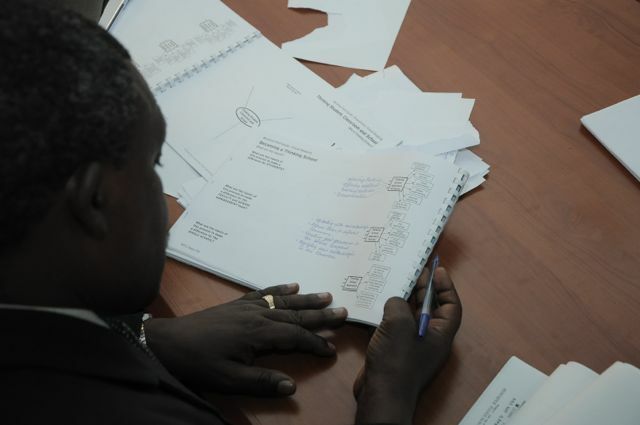 The four areas of assessment are monitored quarterly to reflect short term needs, and yearly to assess trends and impact. 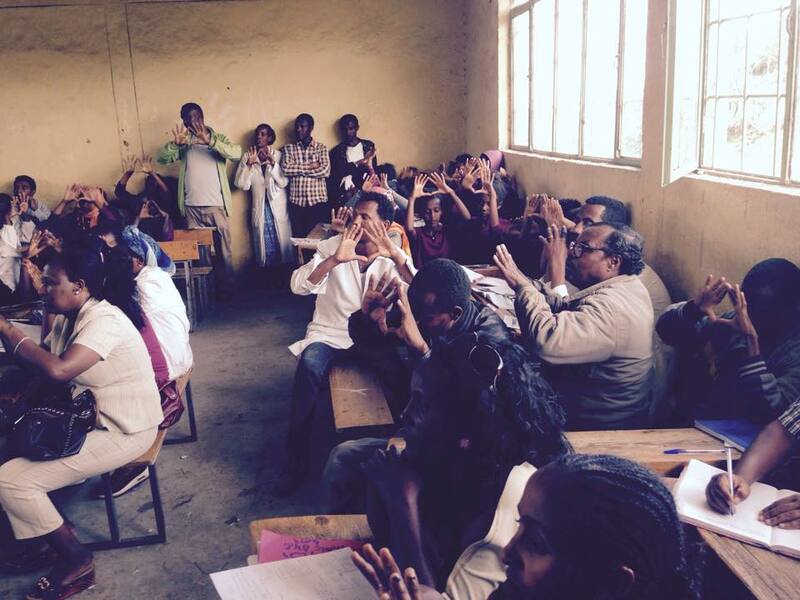 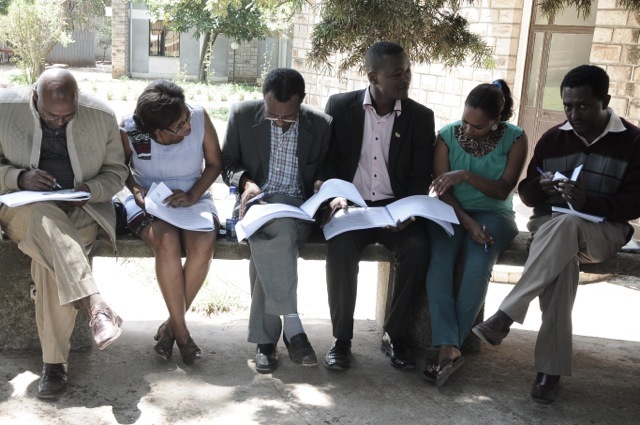 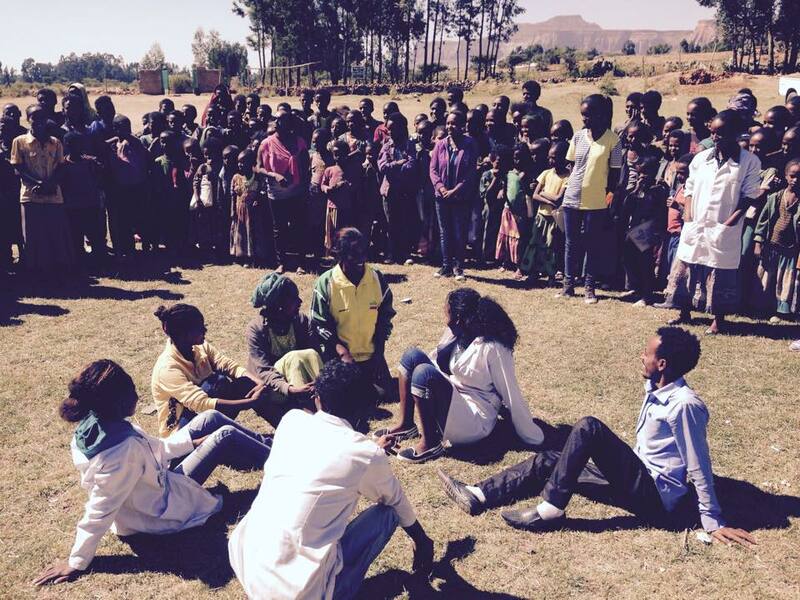 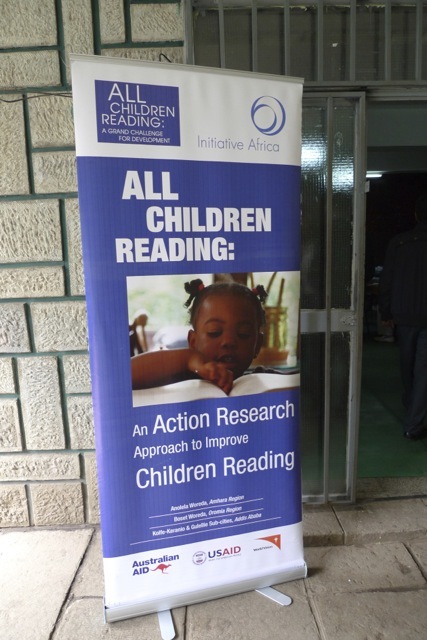 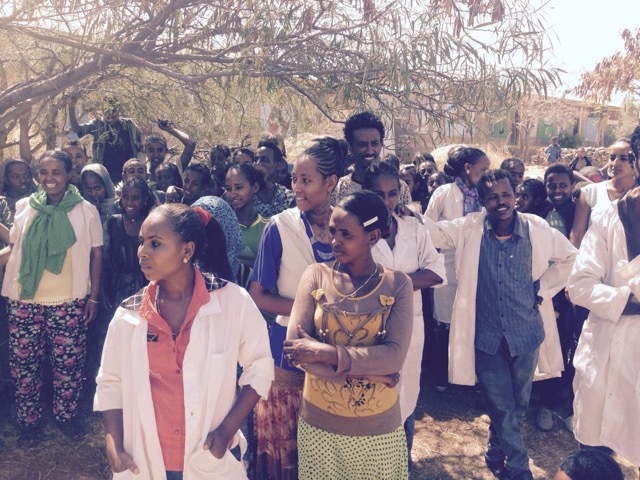 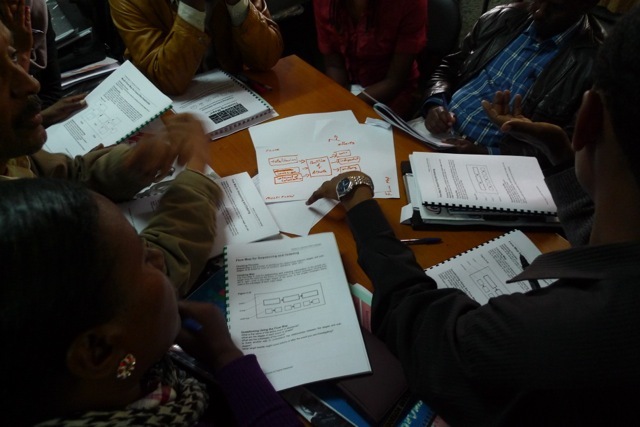 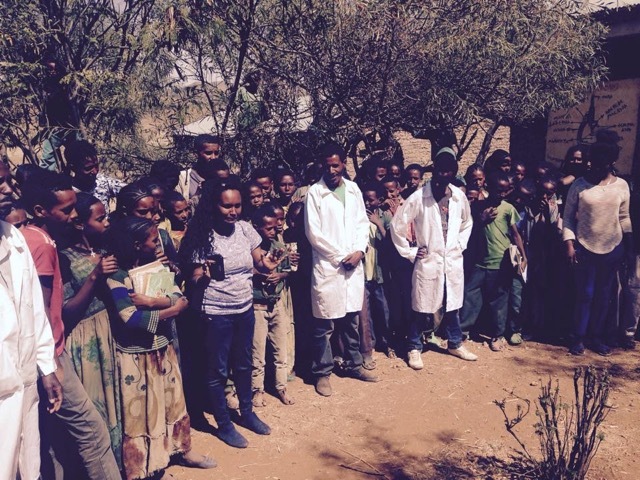 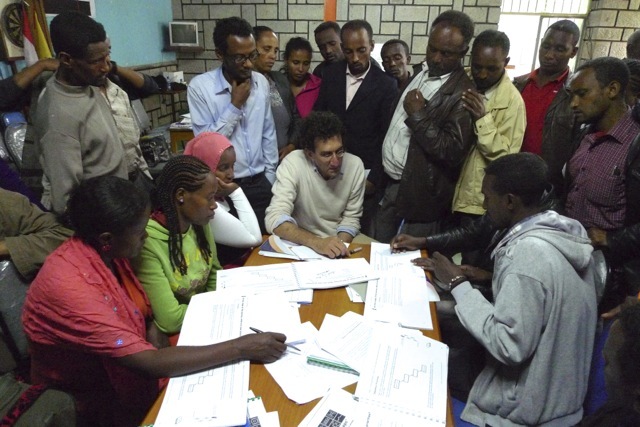 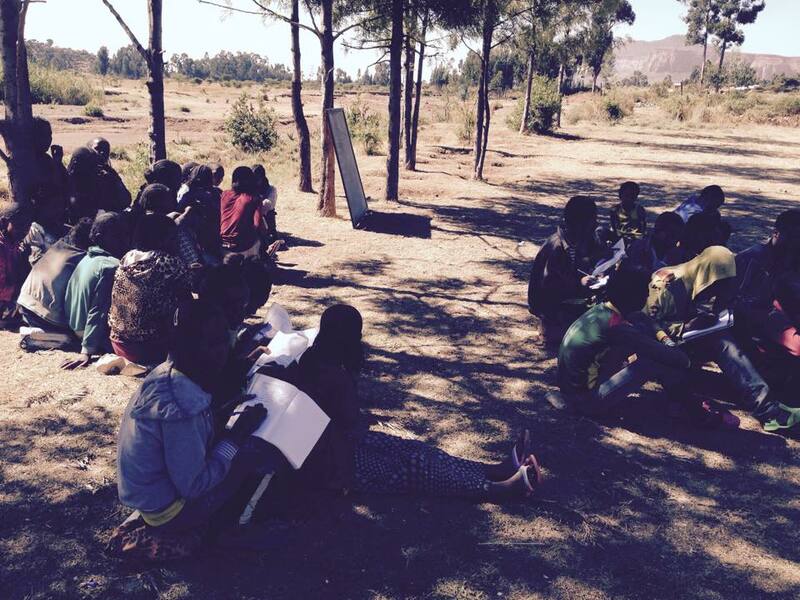 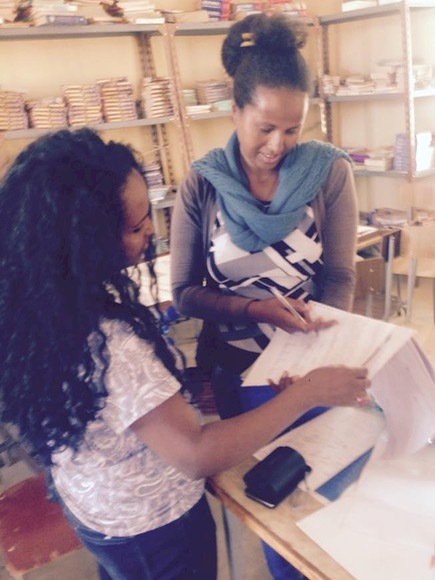 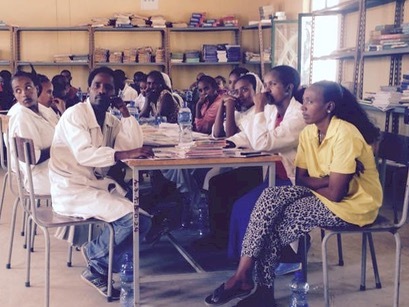 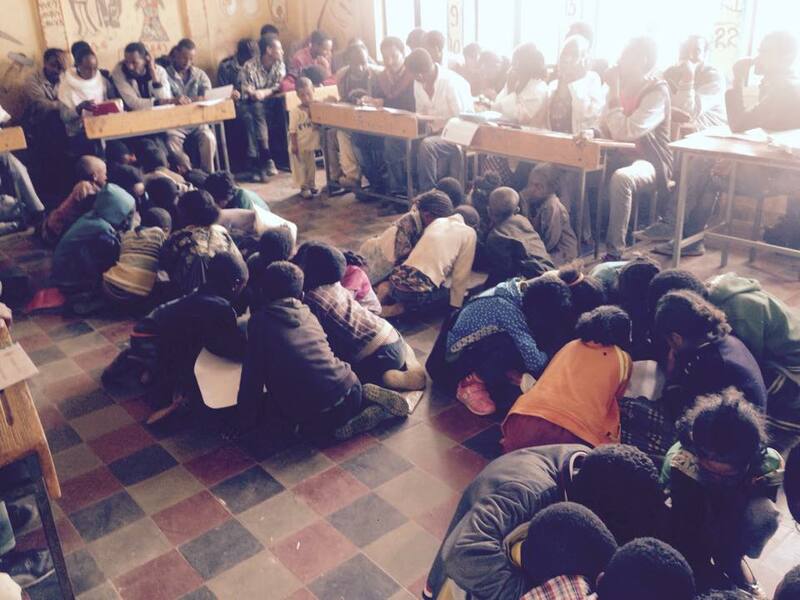 Several large-scale student evaluation studies are currently in progress in Ethiopia contributing to a body of baseline data. 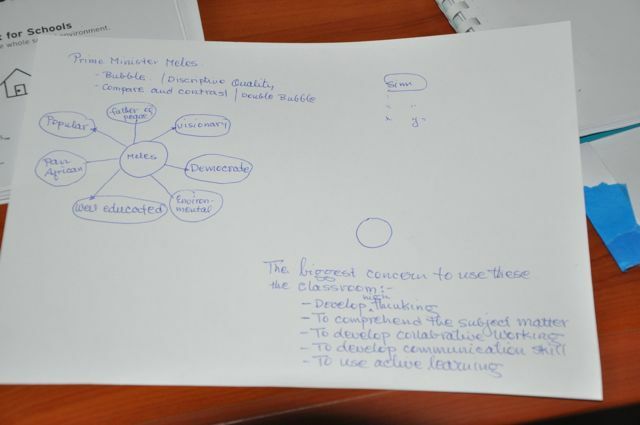 Thanks for your initiative.I got your mail from the Chamber of Commerce. 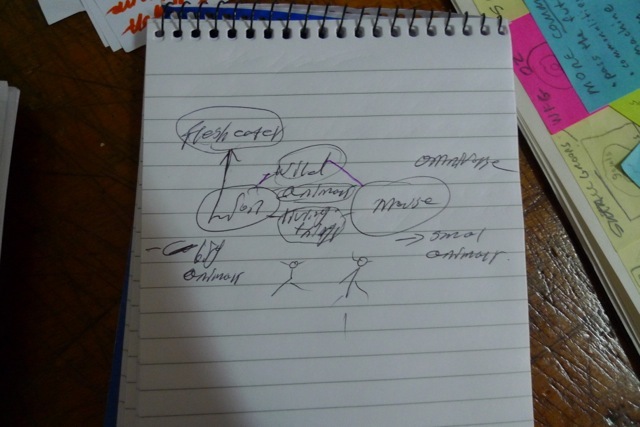 I will try to read to understand more about what you are doing.